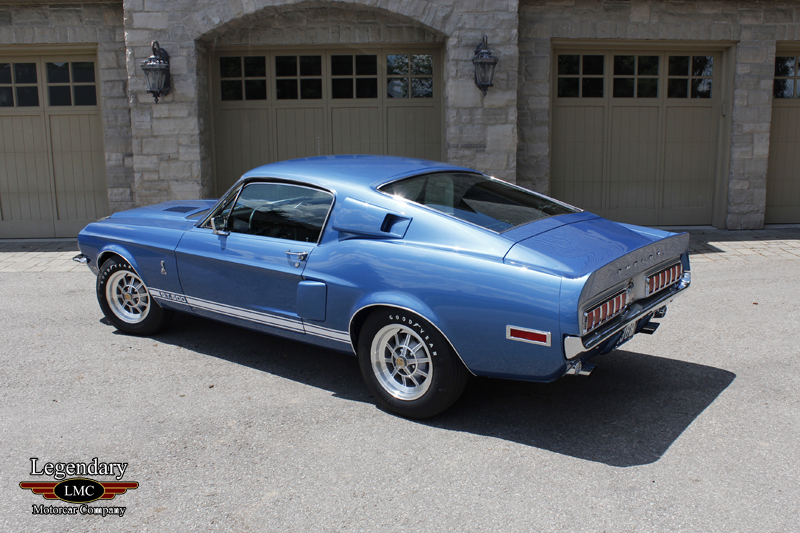 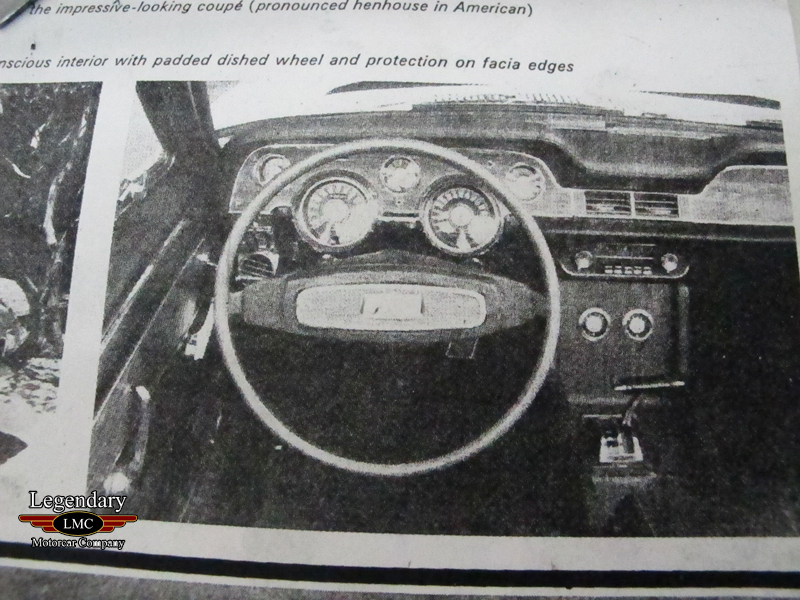 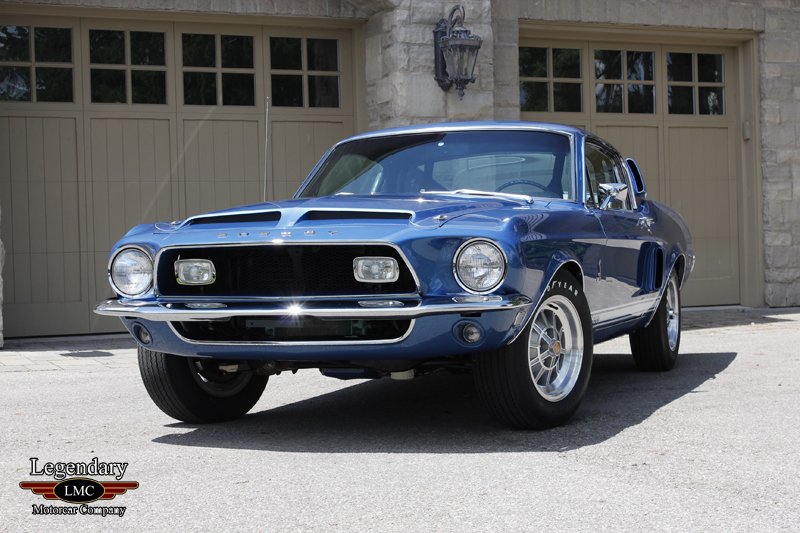 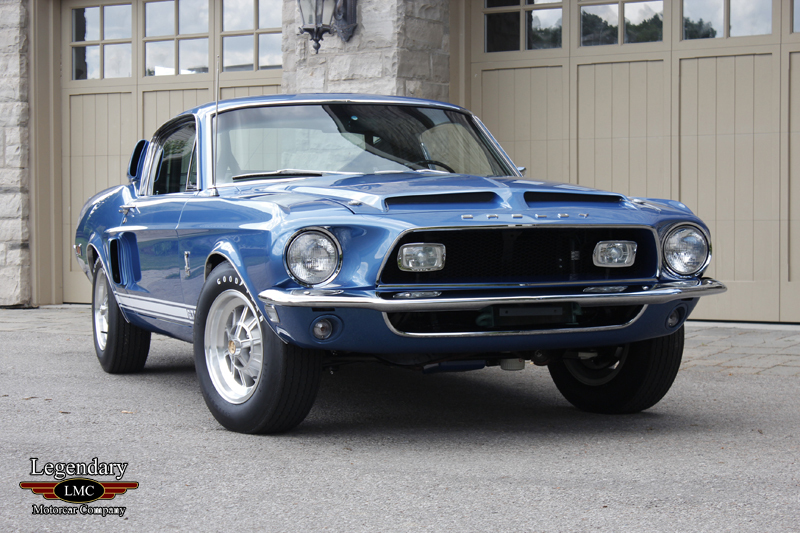 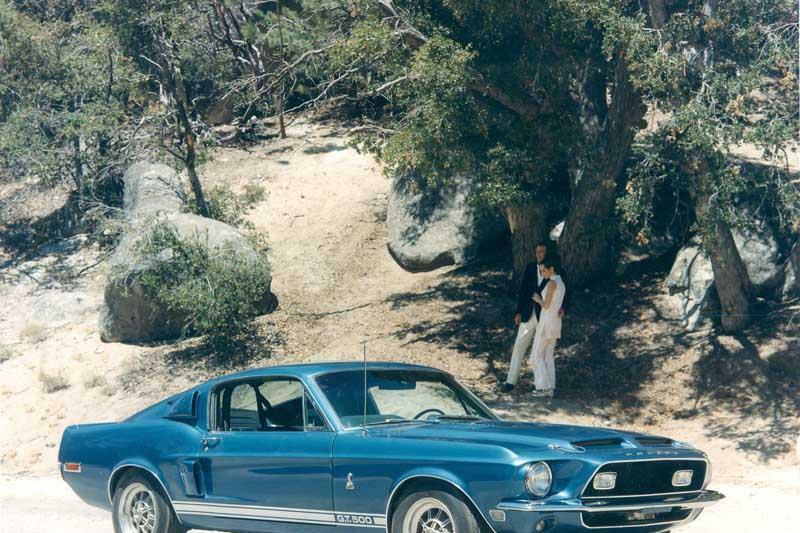 Click any thumbnail below to display the 1968 Ford Mustang Shelby GT500 Prototype slide show. 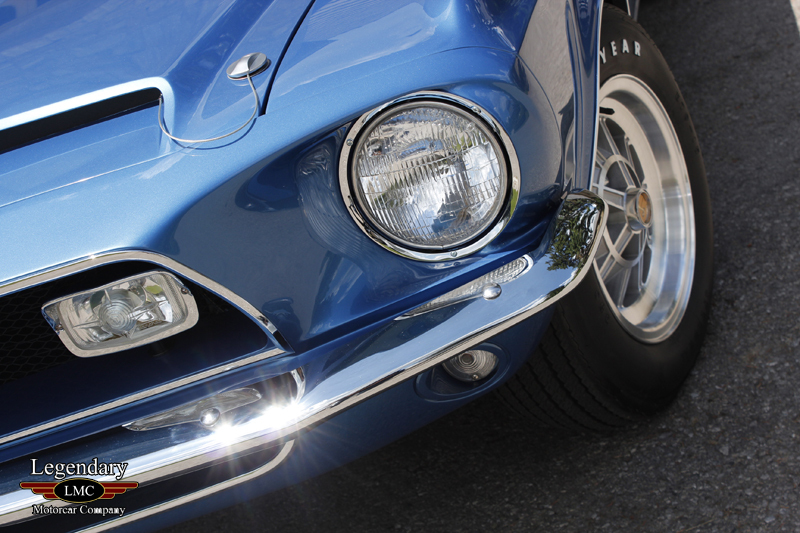 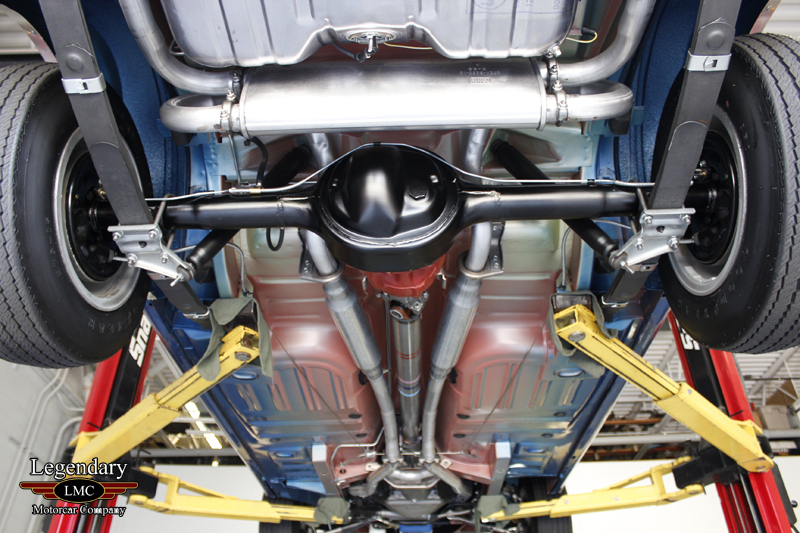 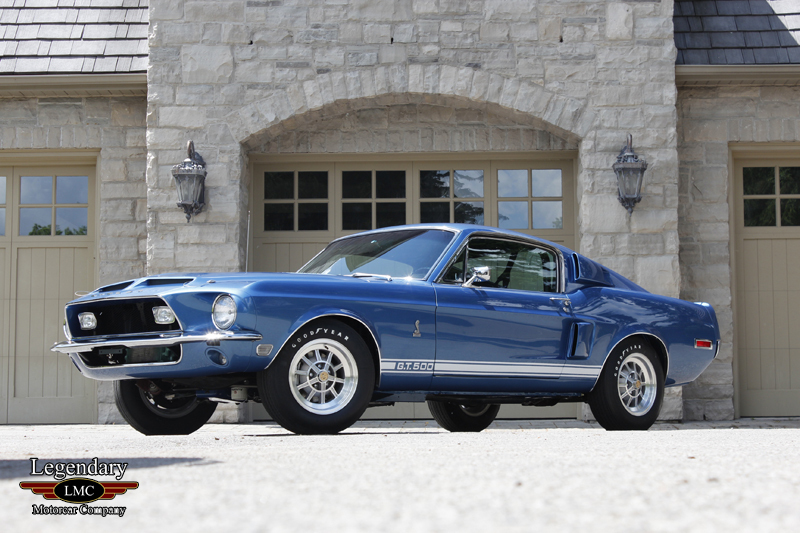 This very fascinating car began life as a 1967 Shelby GT500 engineering car. 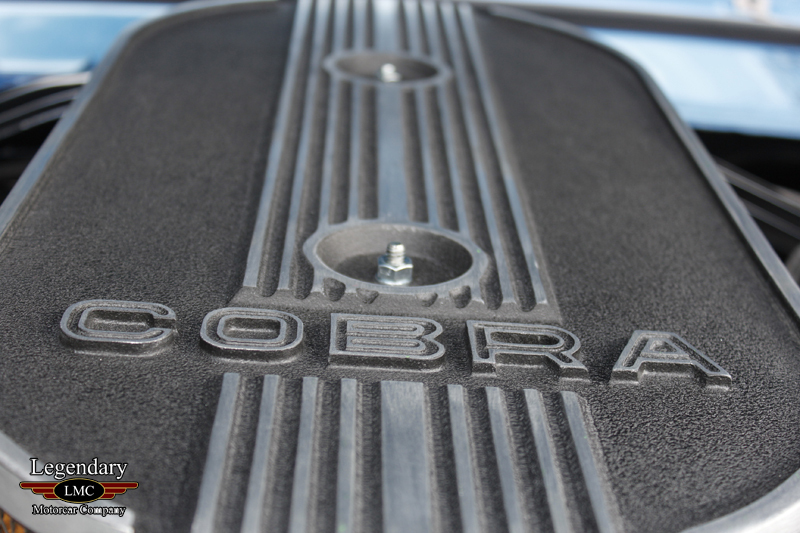 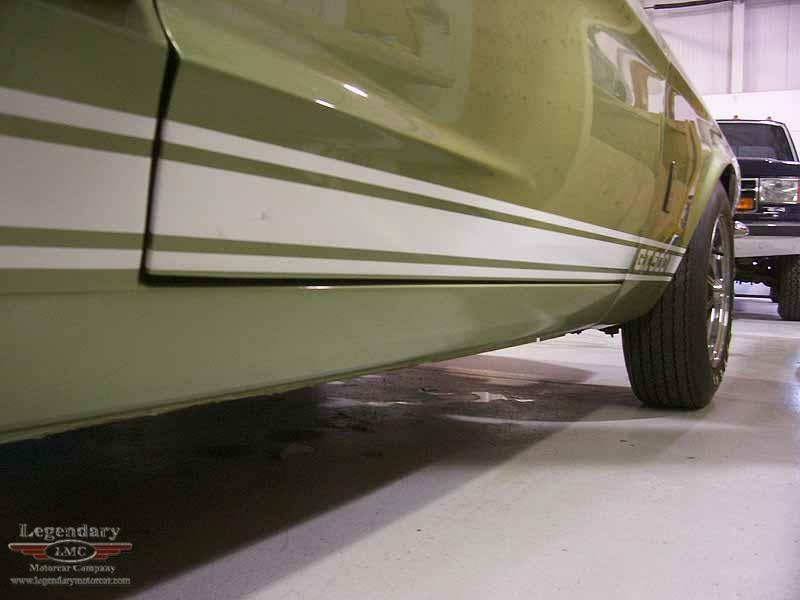 Finished in Lime Gold it was often used at testing events even making appearances with the famous Super Snake. 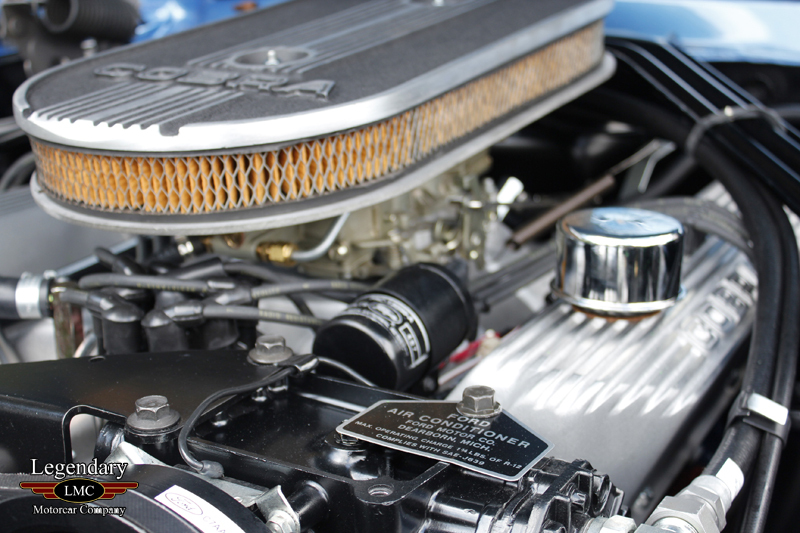 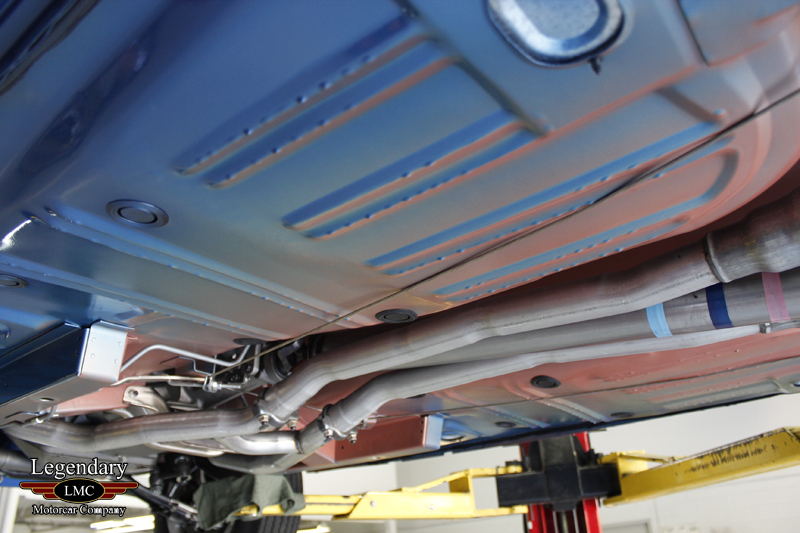 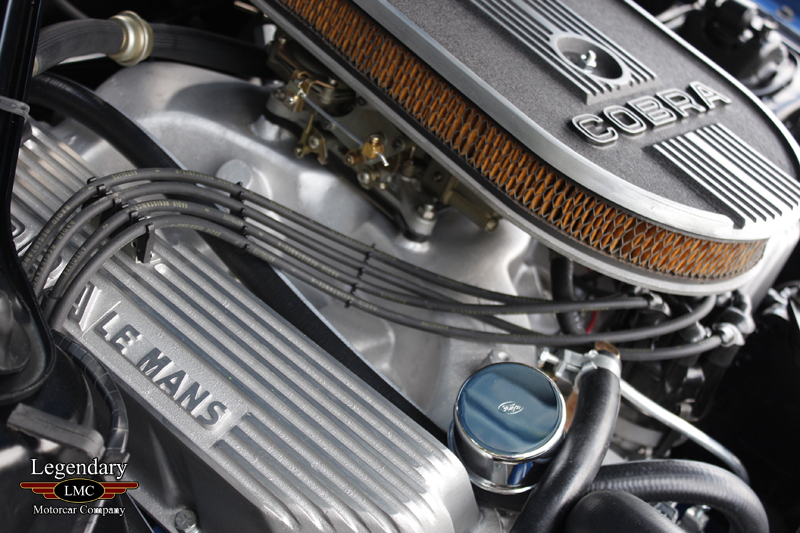 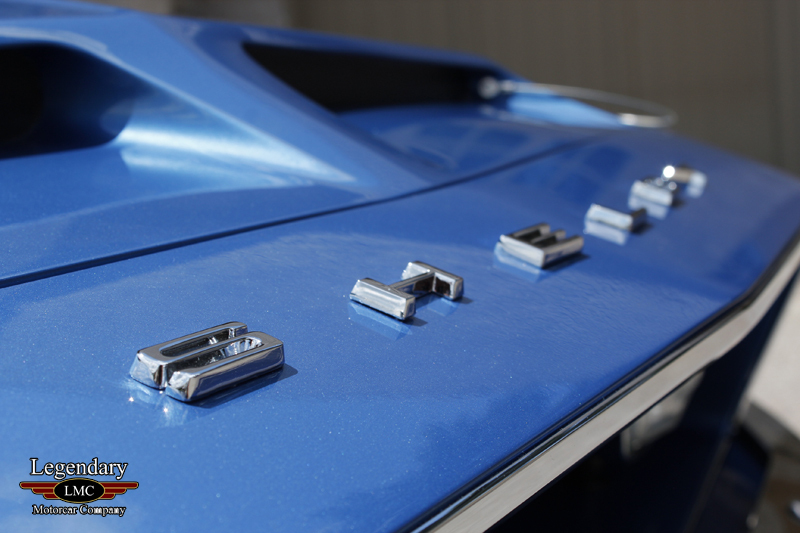 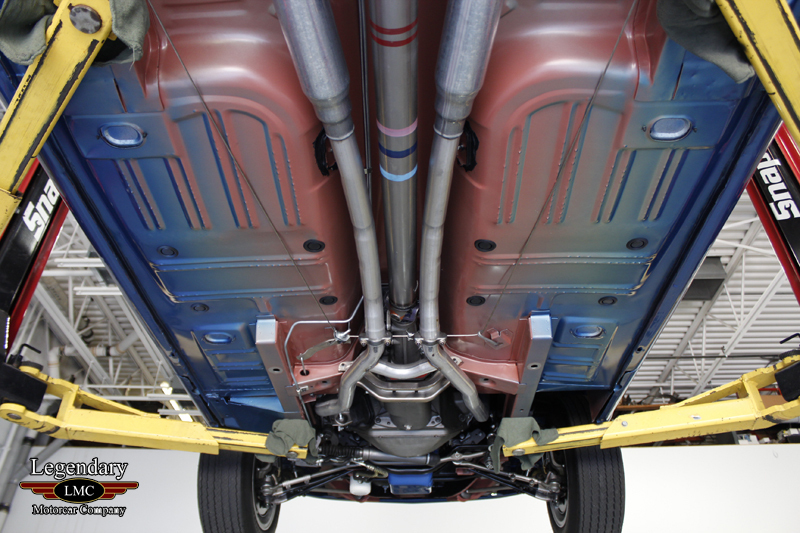 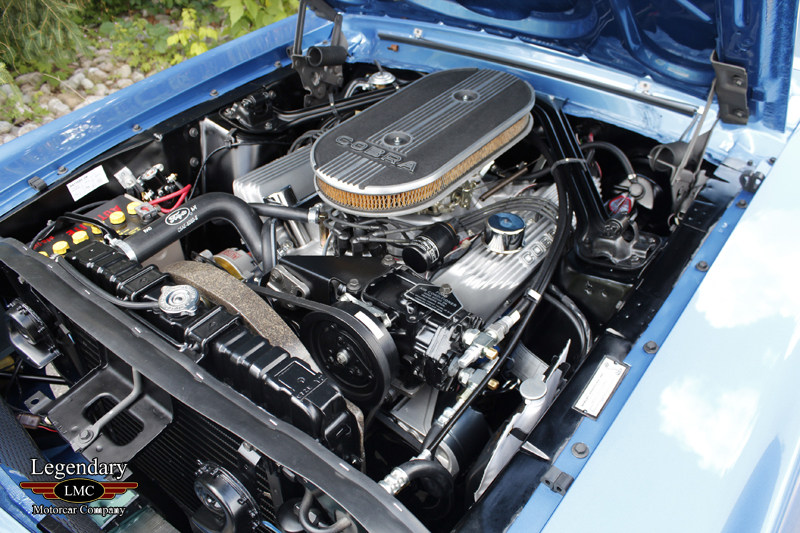 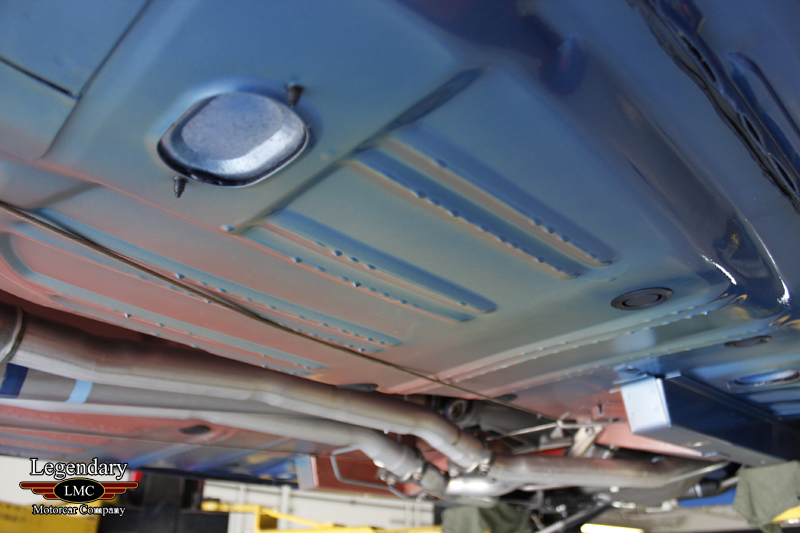 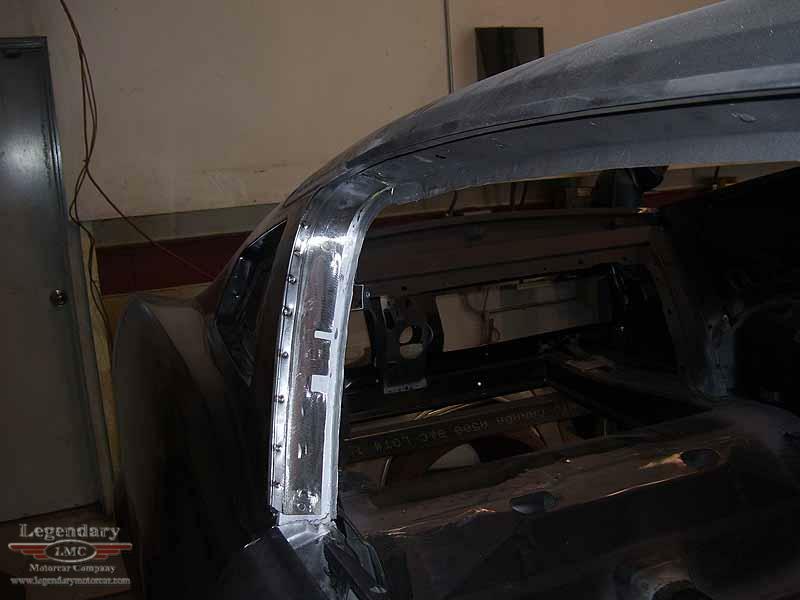 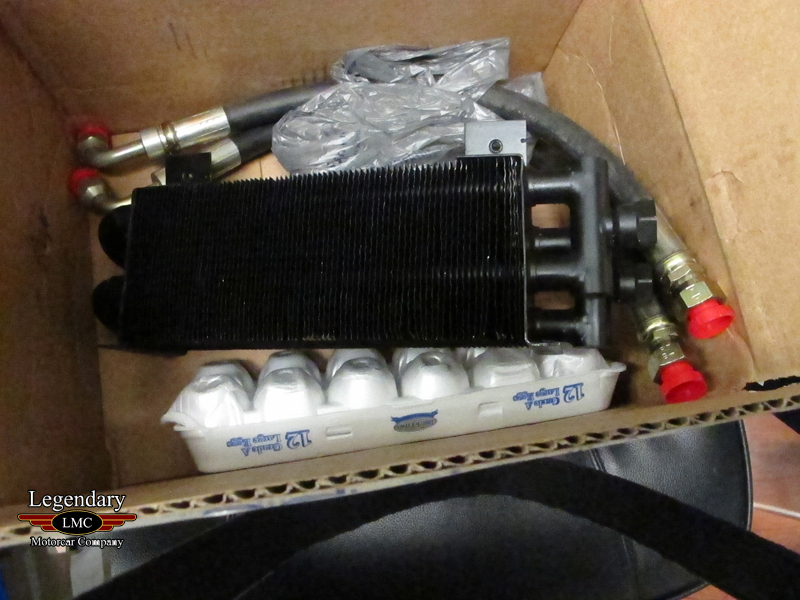 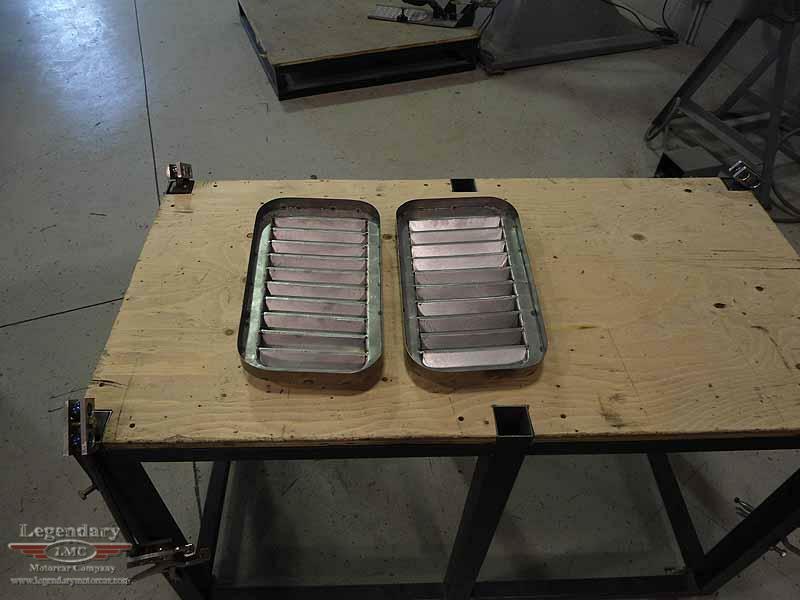 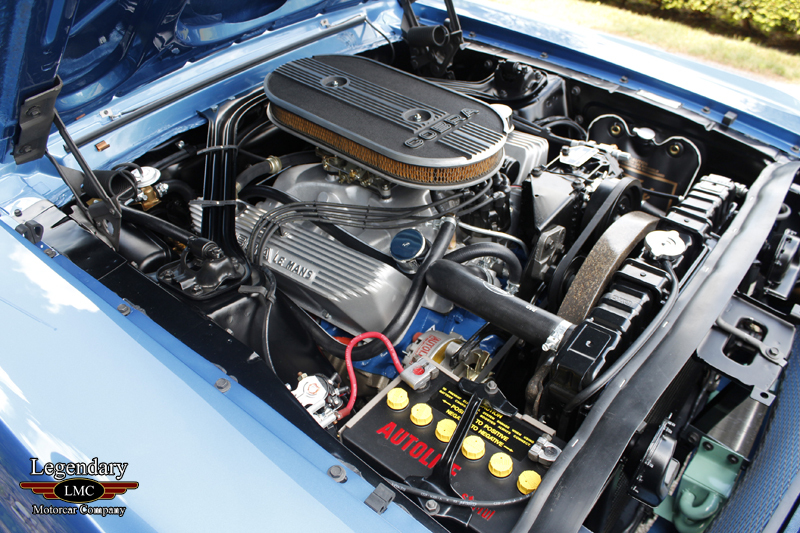 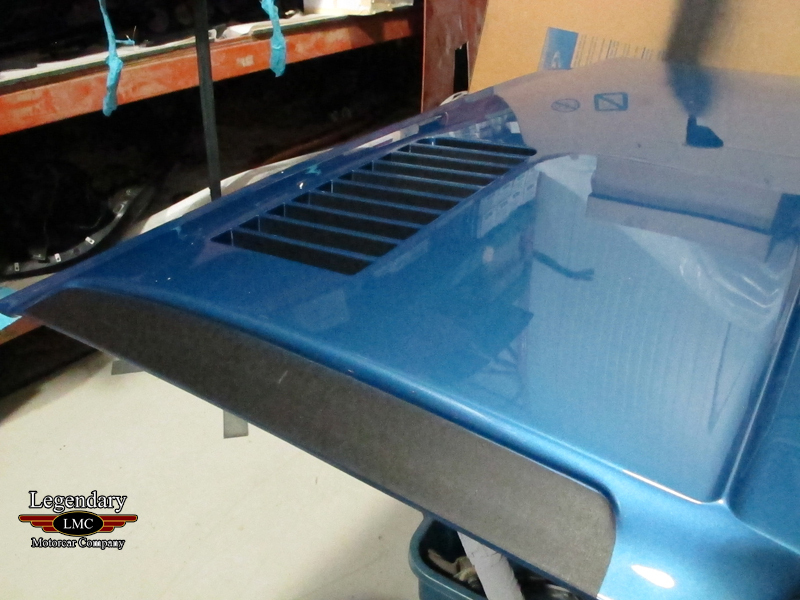 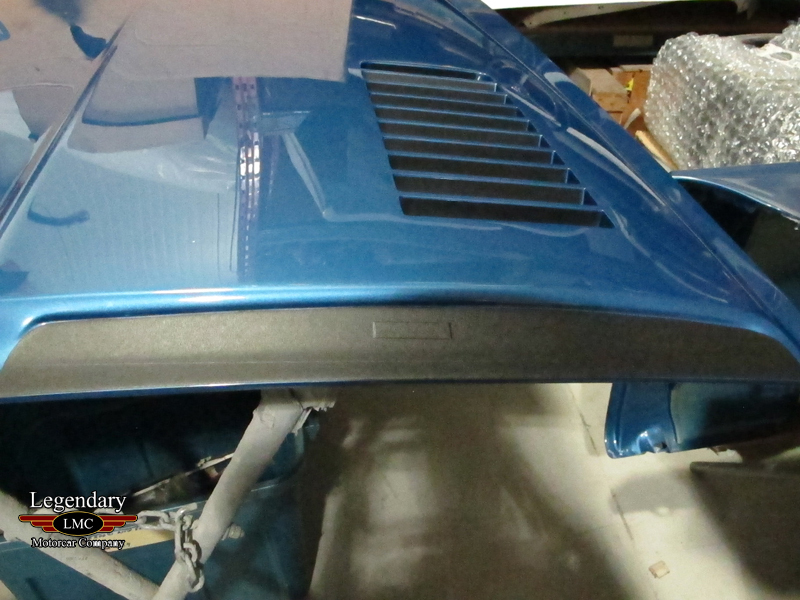 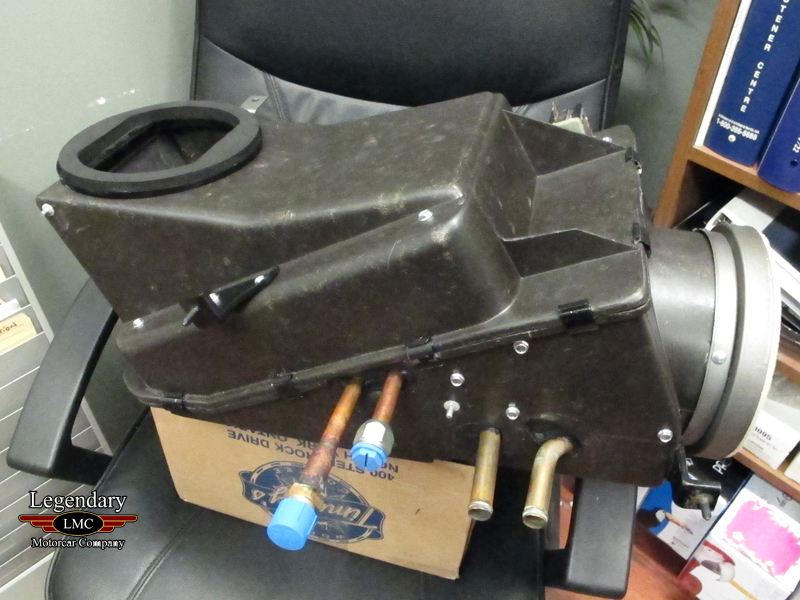 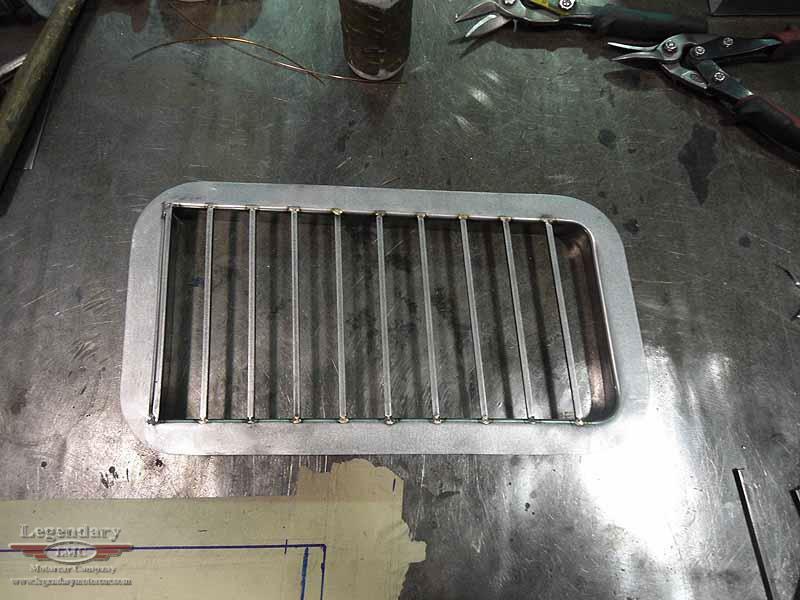 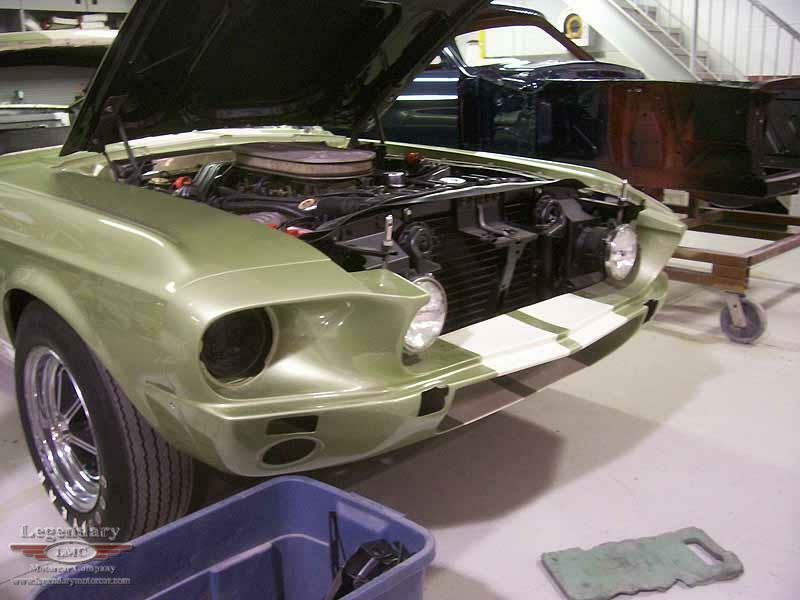 Later the car was used to help fix the over heating issues initially found with A/C equipped GT500's, it is the car used to design the hood vents or louvers later found on all A/C cars, the first to initially work with the outboard headlights, again to help with cooling. 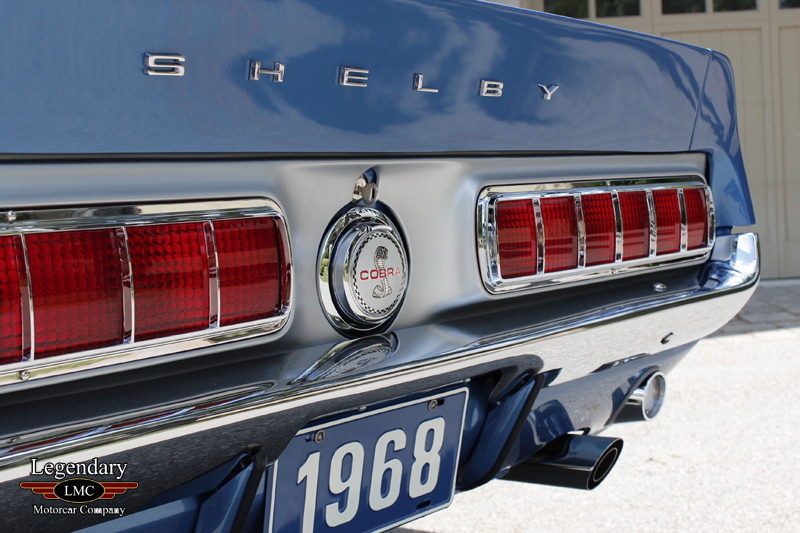 Once its duties as an 1967 engineering car, it was chosen to help design the 1968 Shelbys . 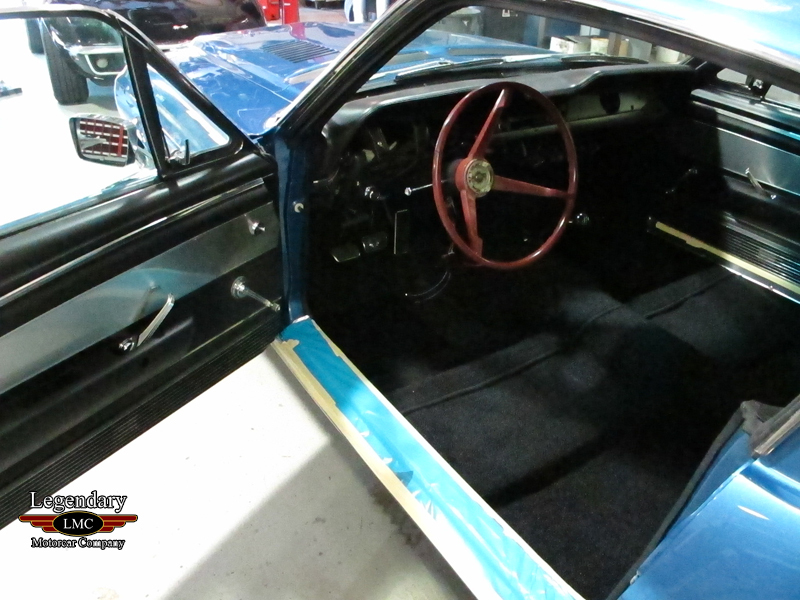 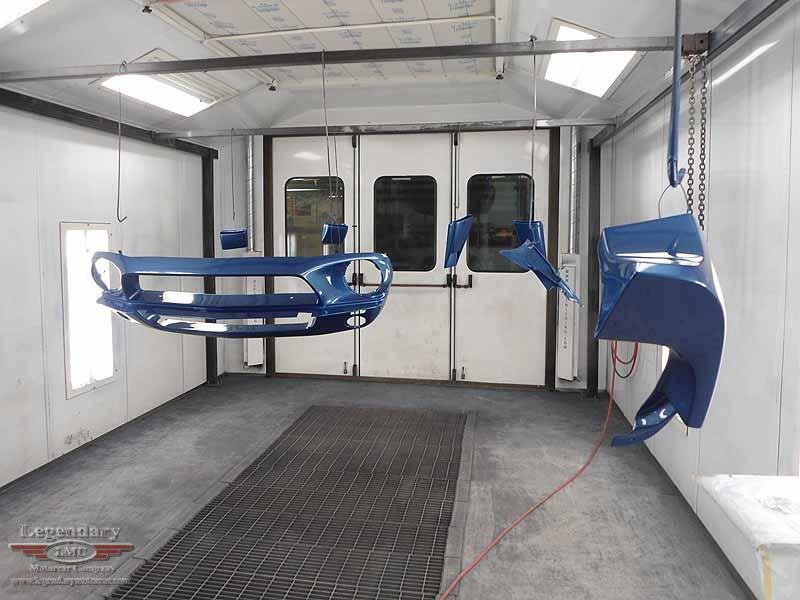 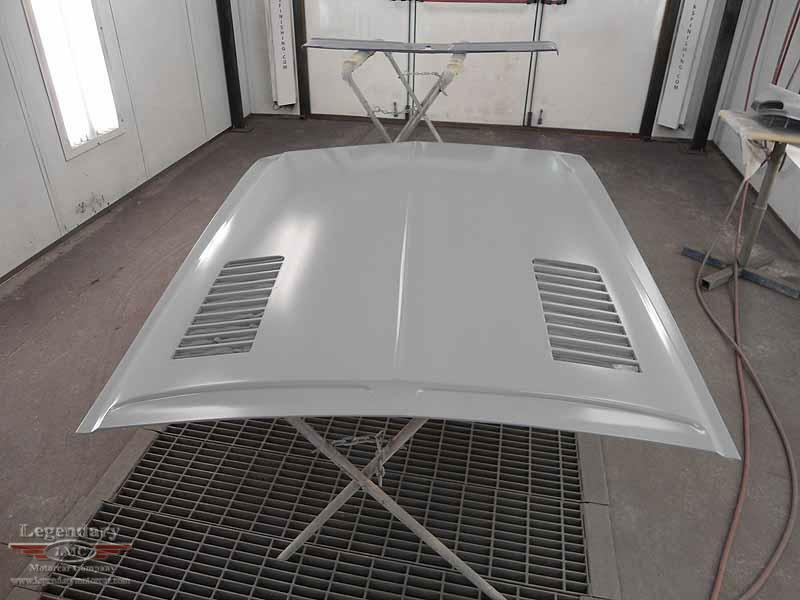 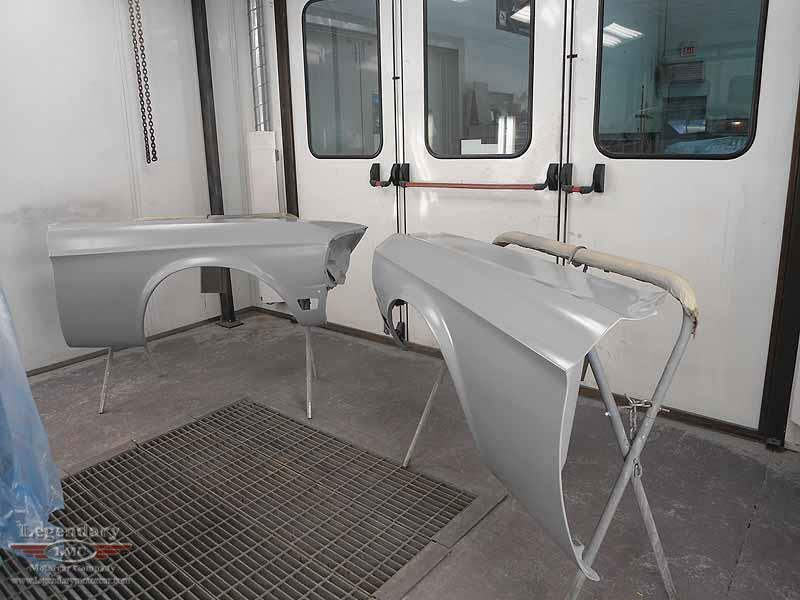 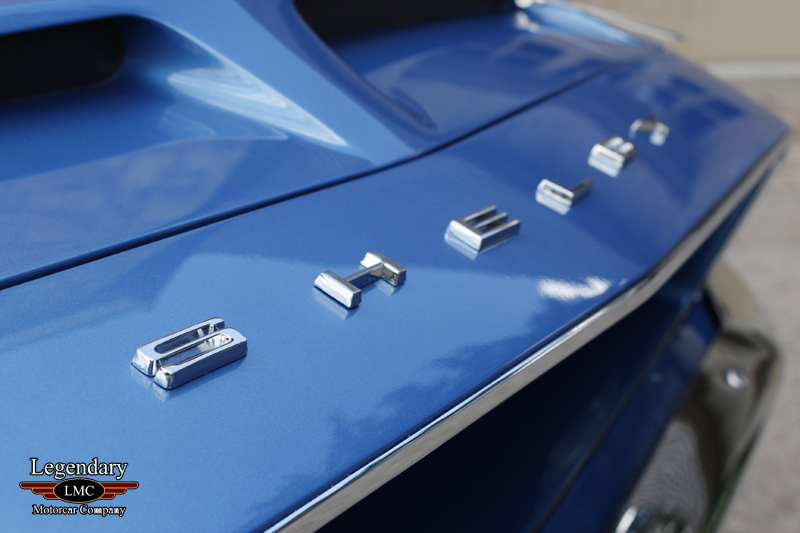 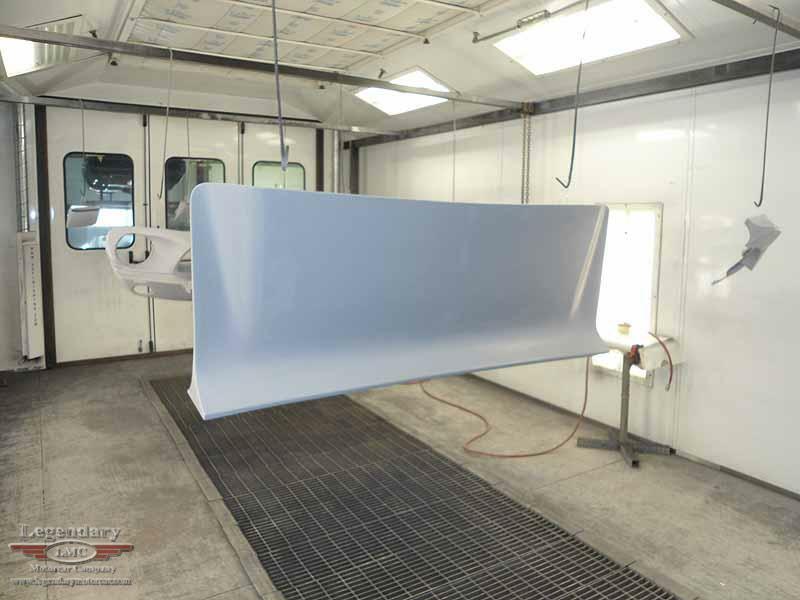 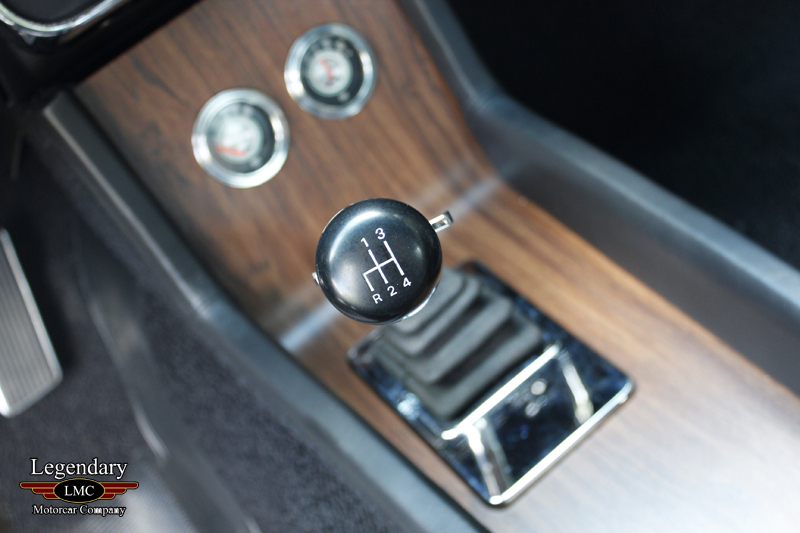 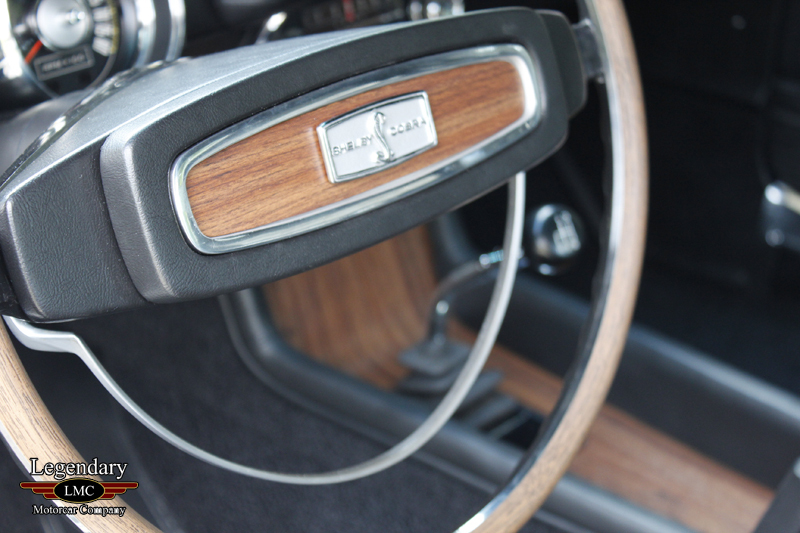 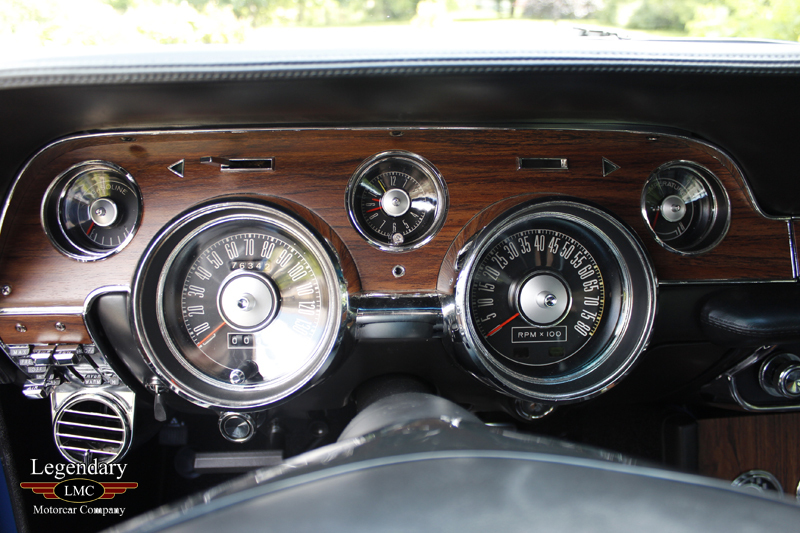 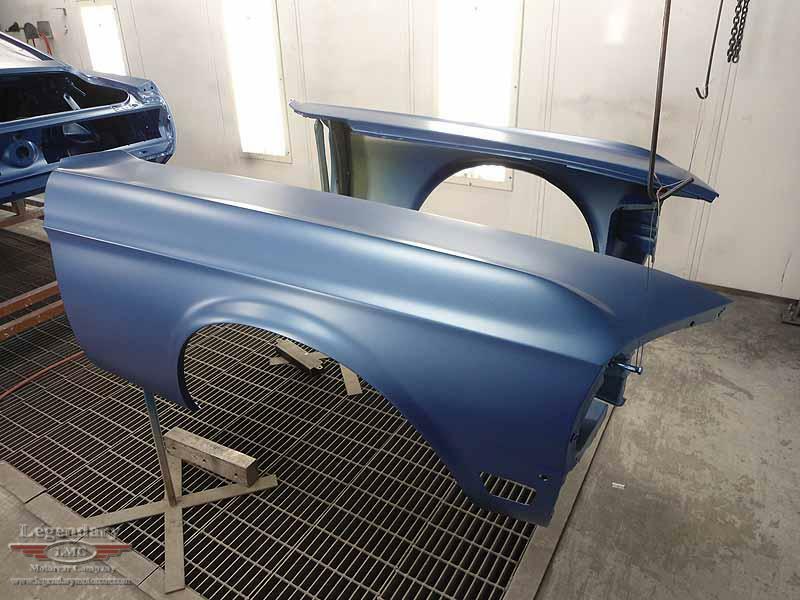 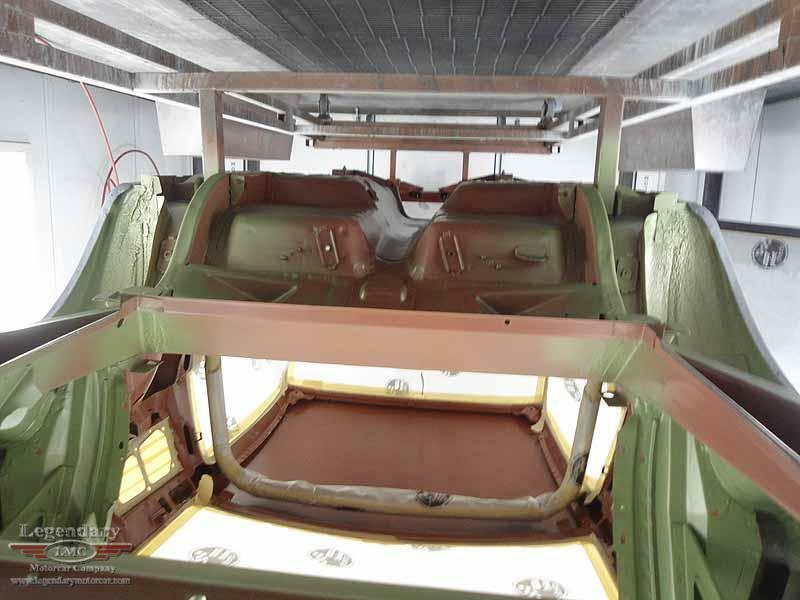 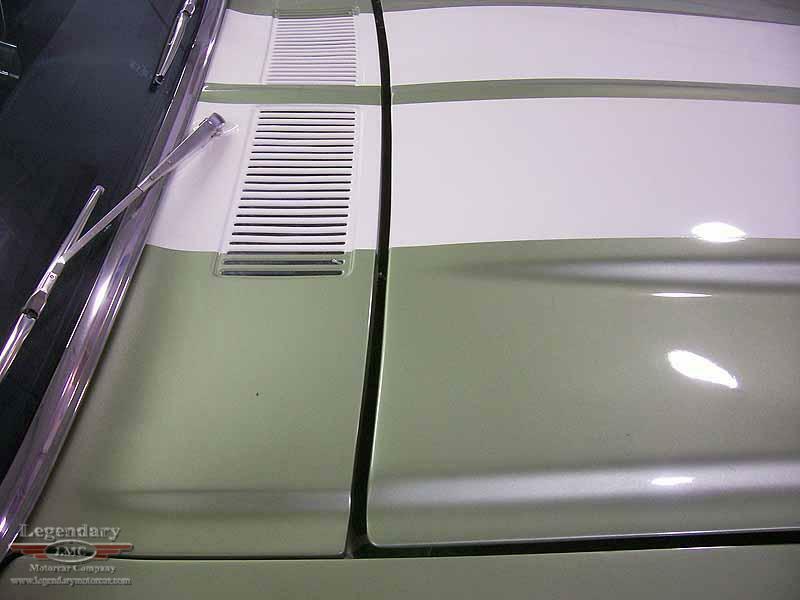 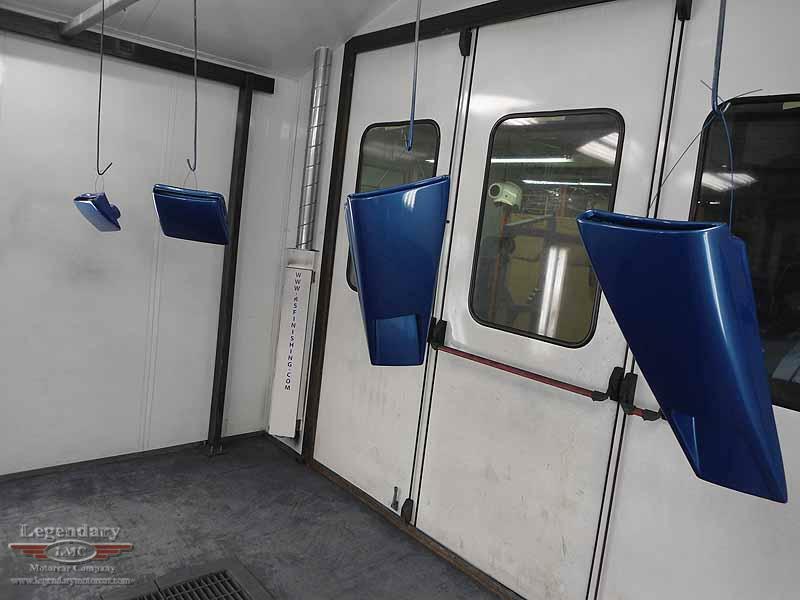 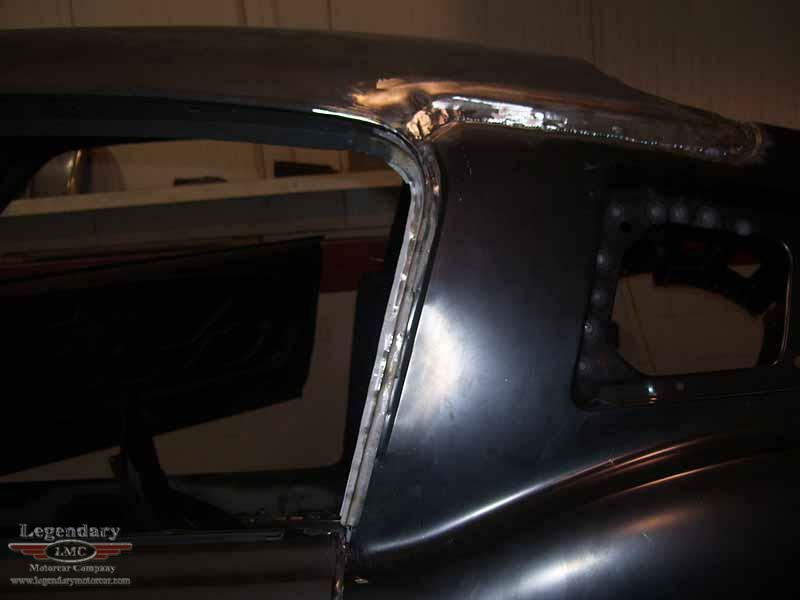 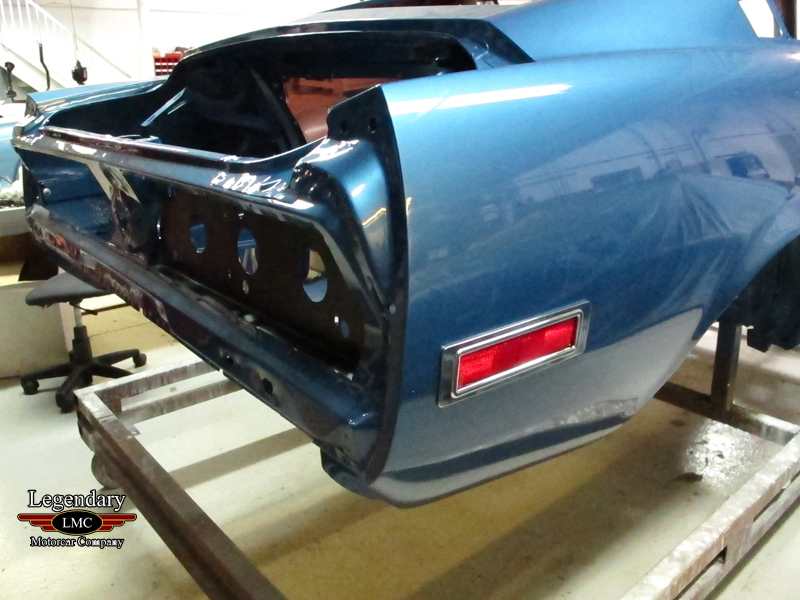 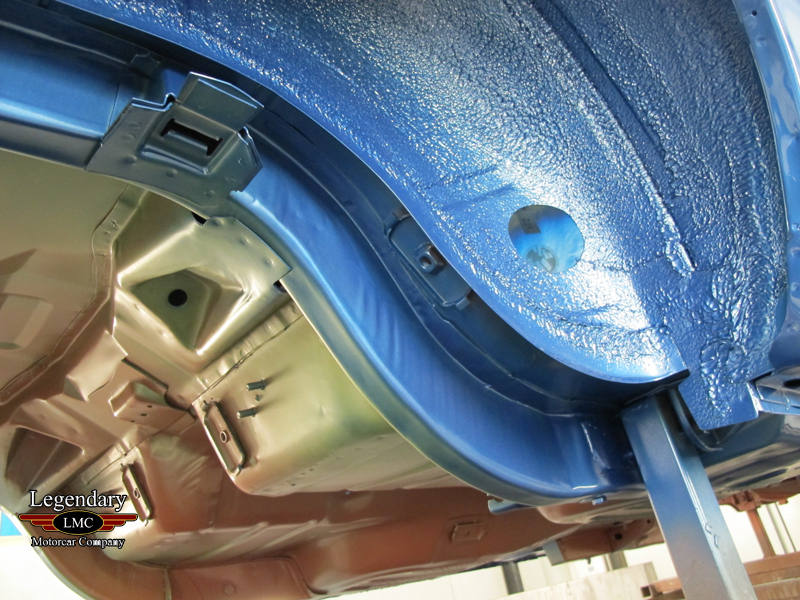 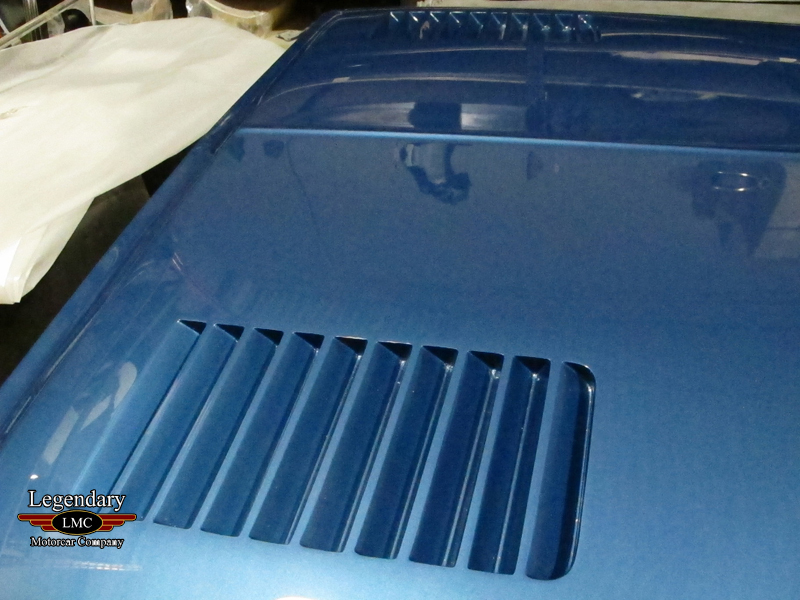 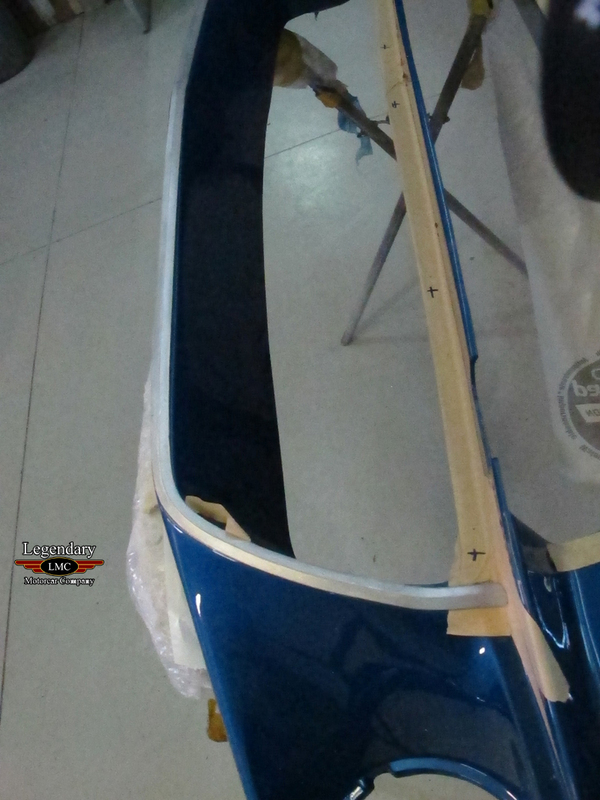 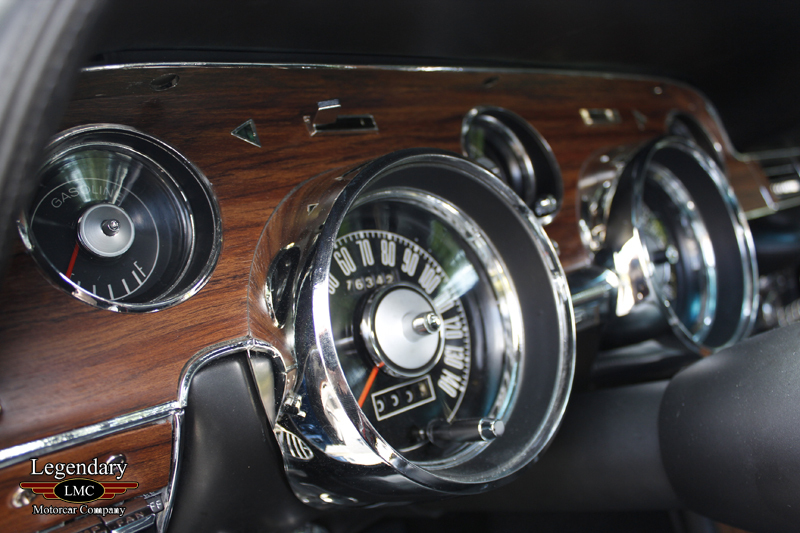 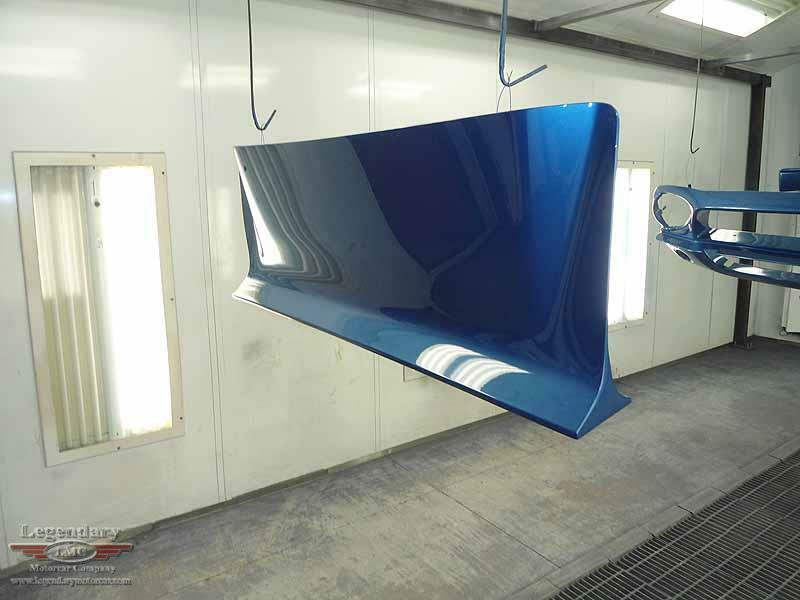 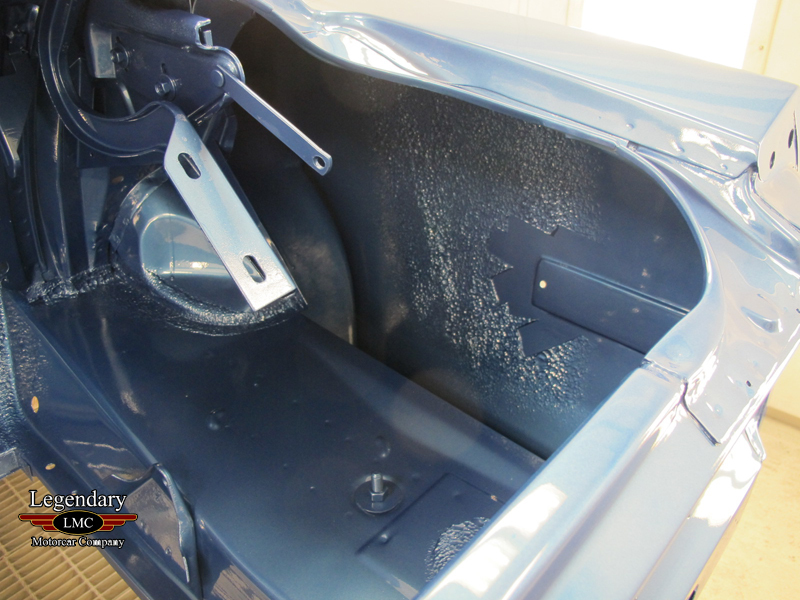 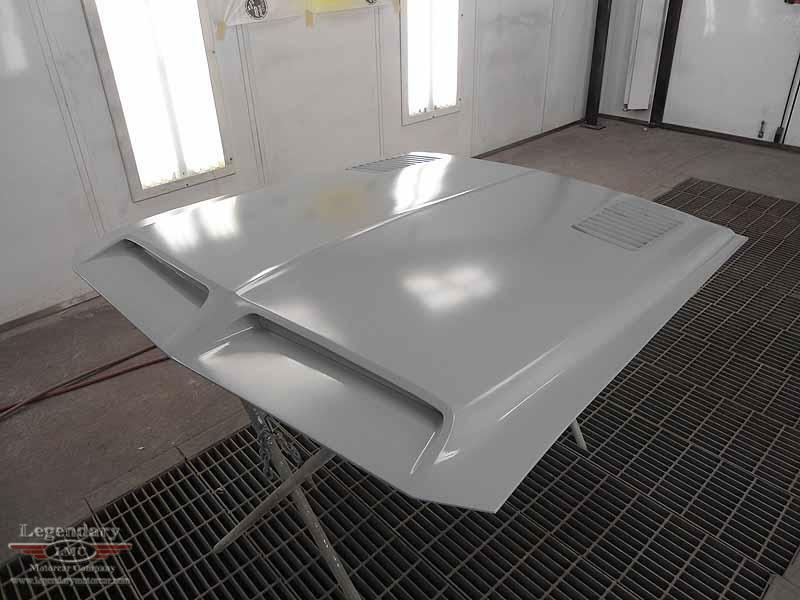 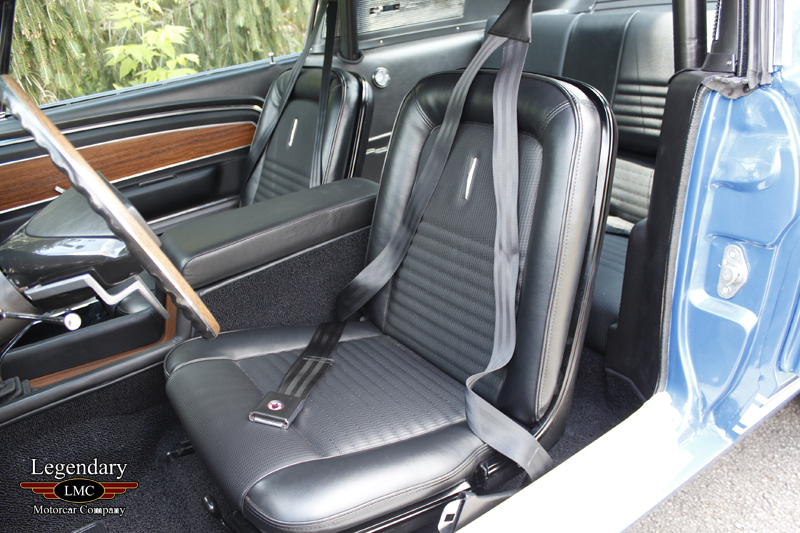 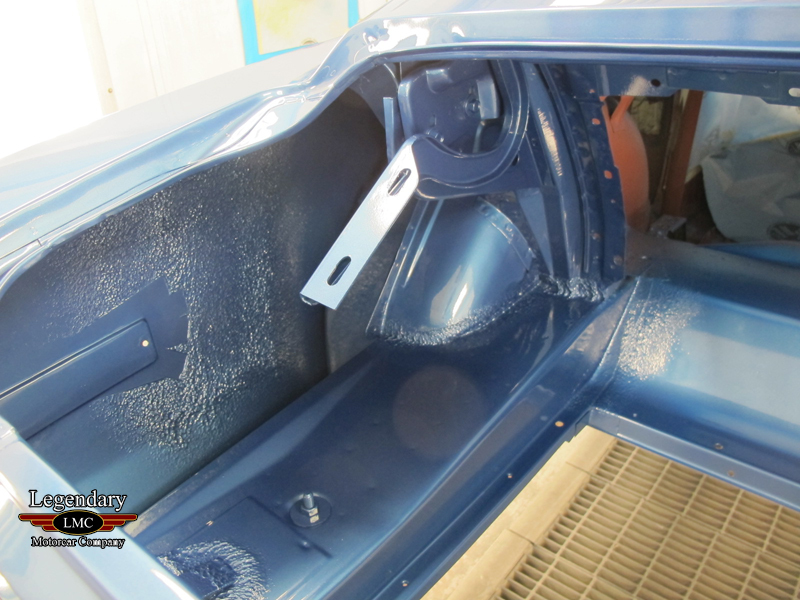 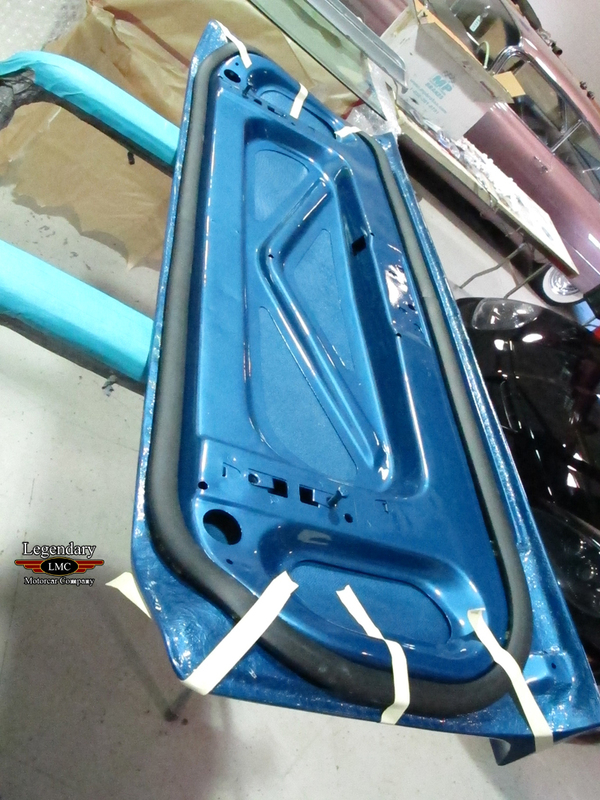 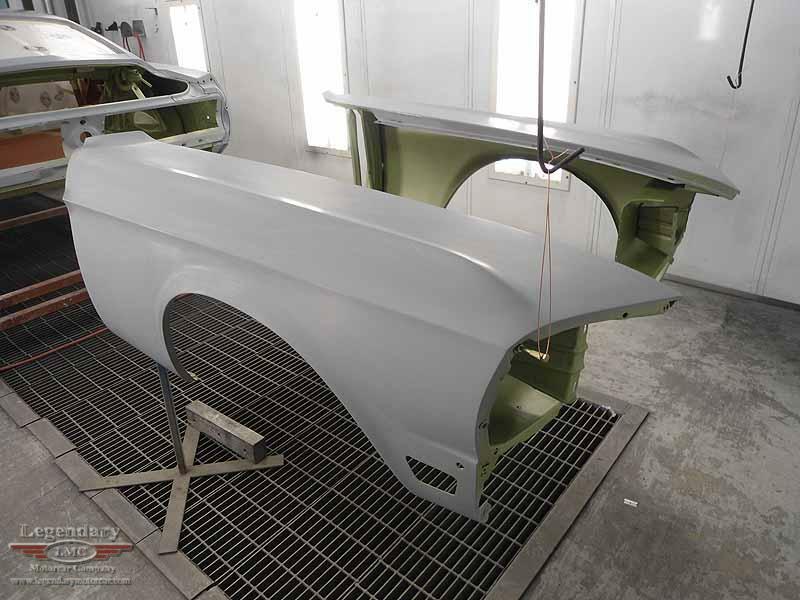 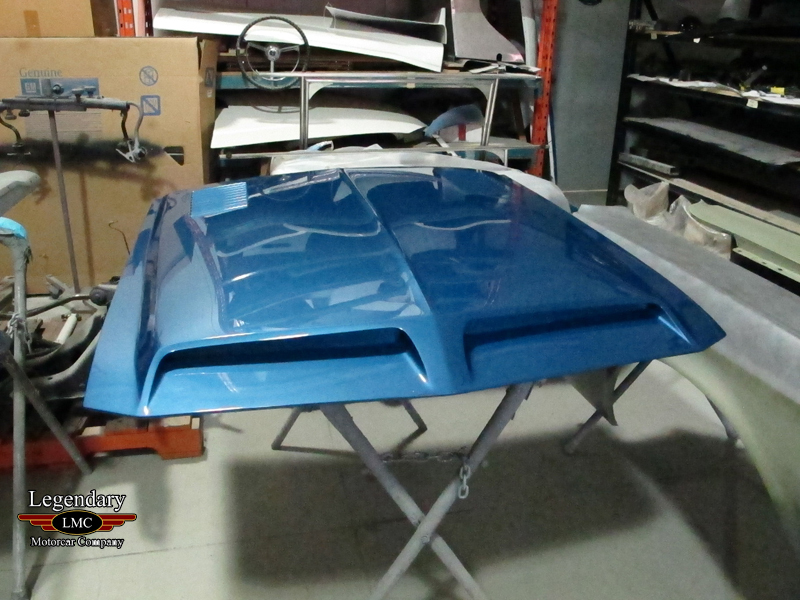 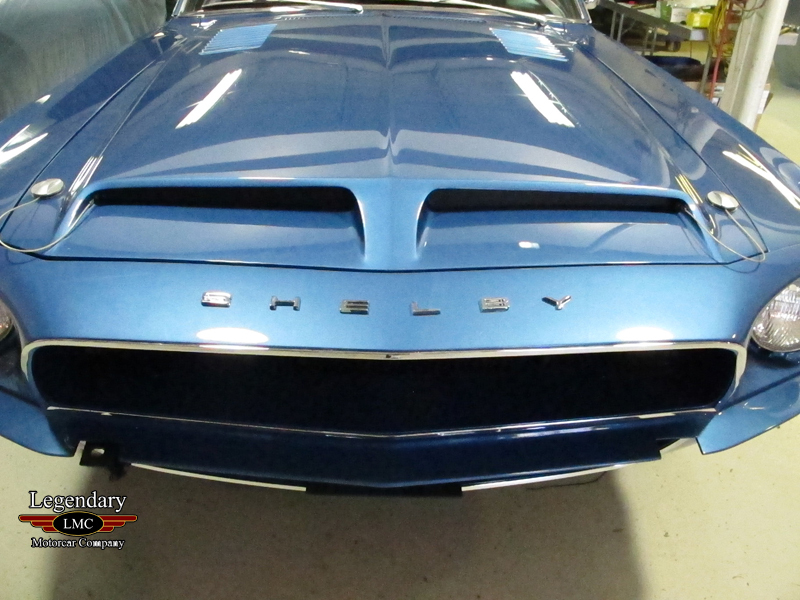 It would be refinished in Acapulco Blue and the hood, nose and interior designs were worked on. 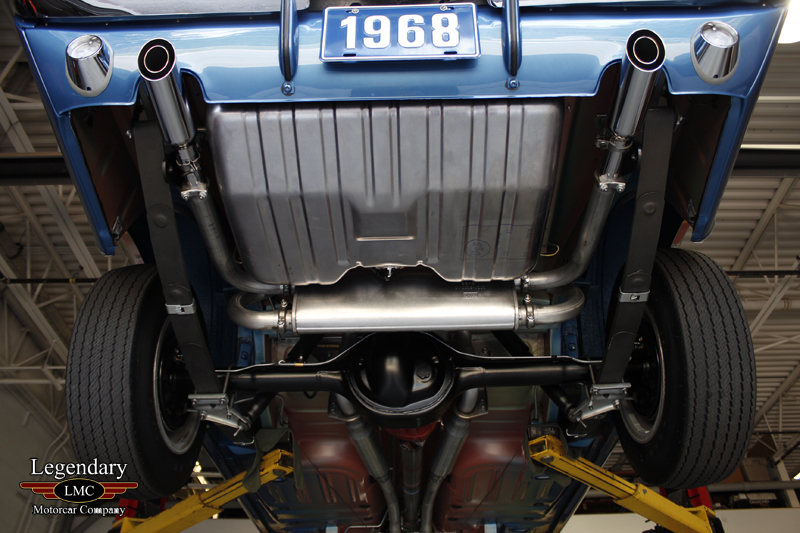 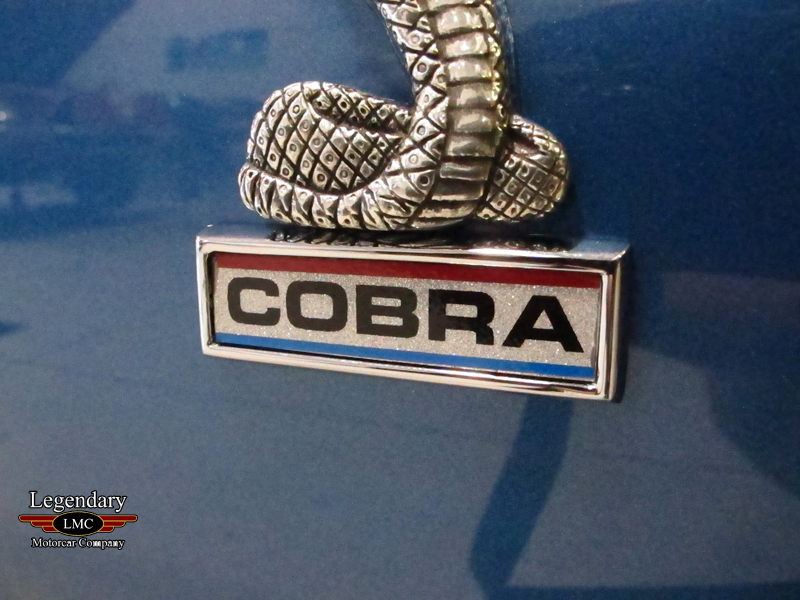 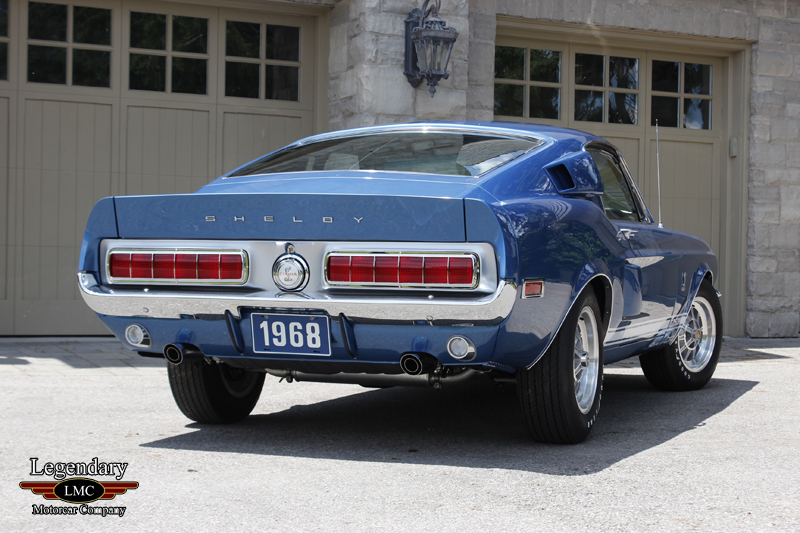 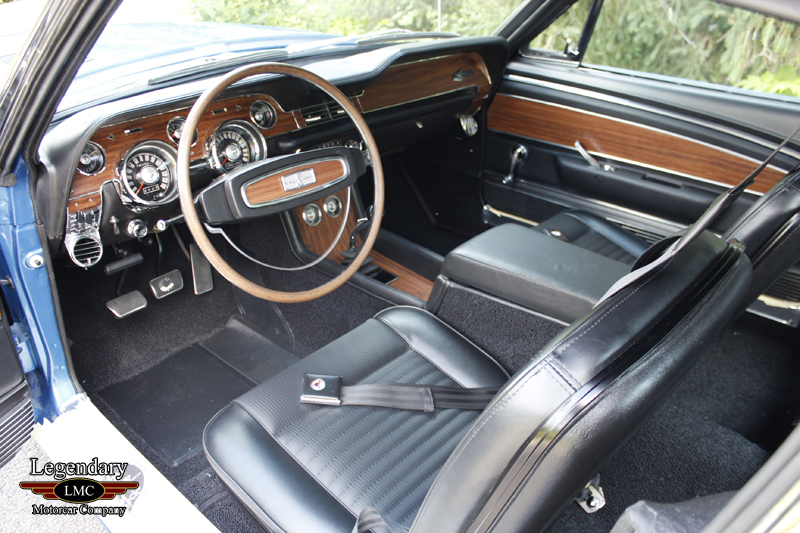 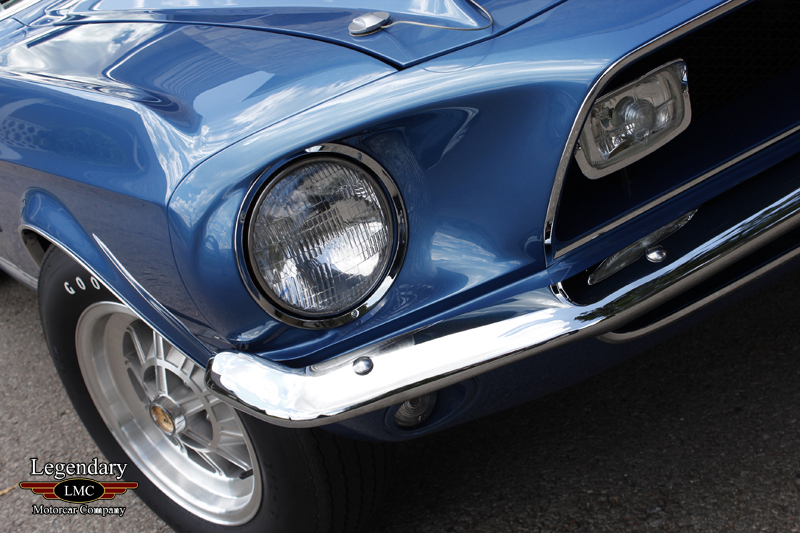 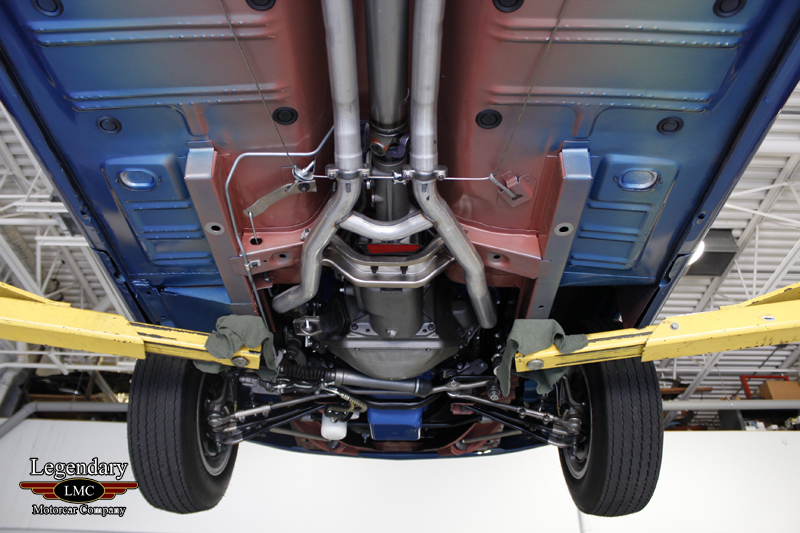 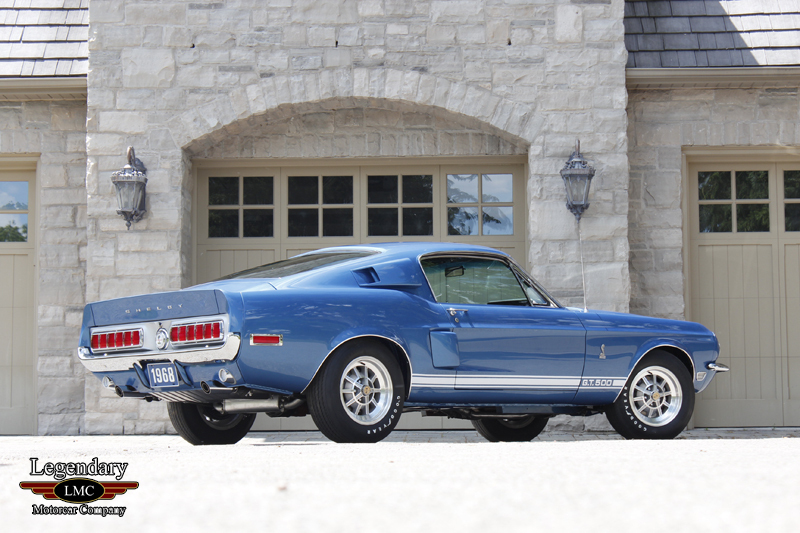 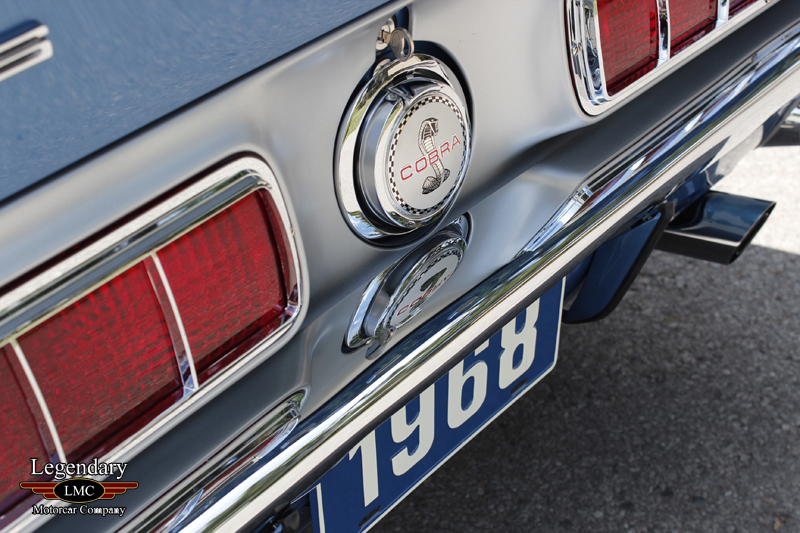 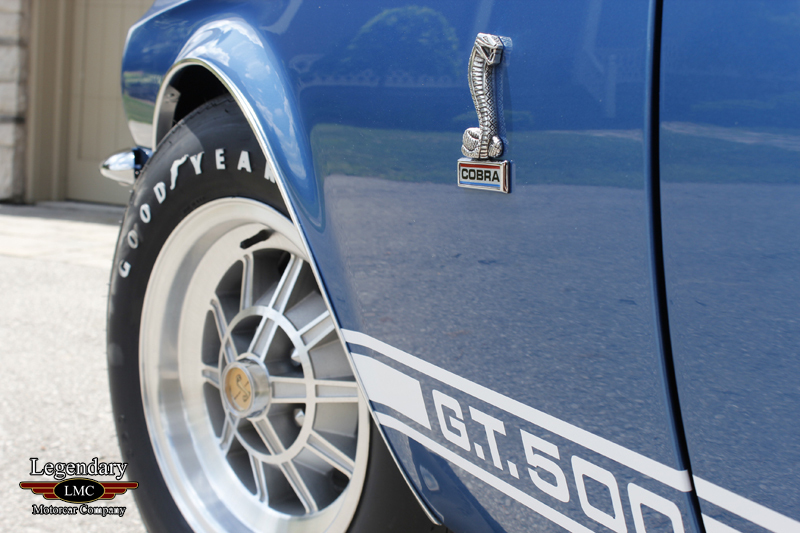 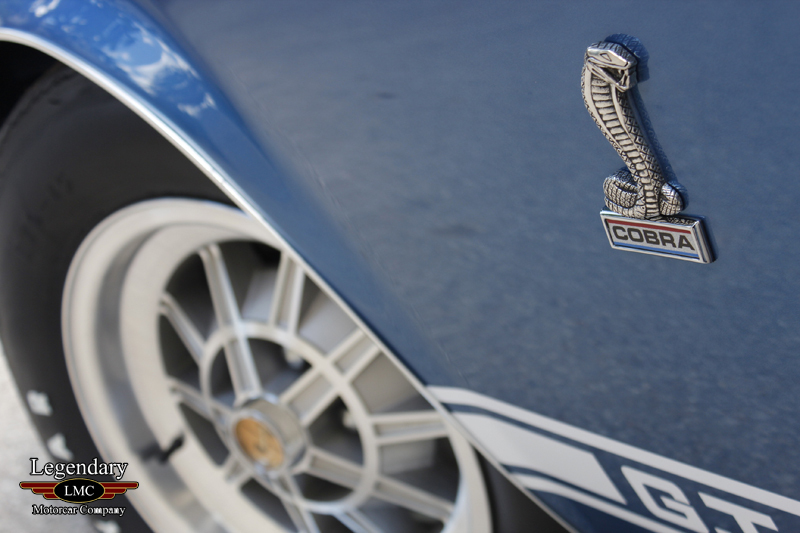 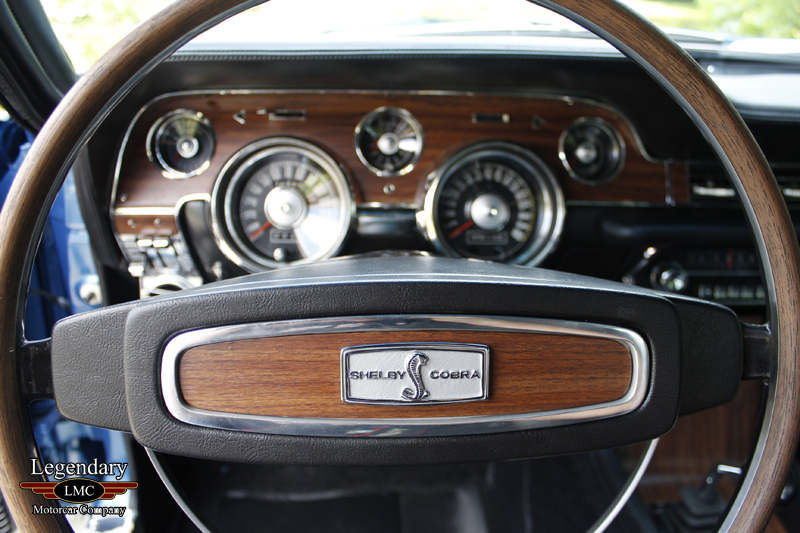 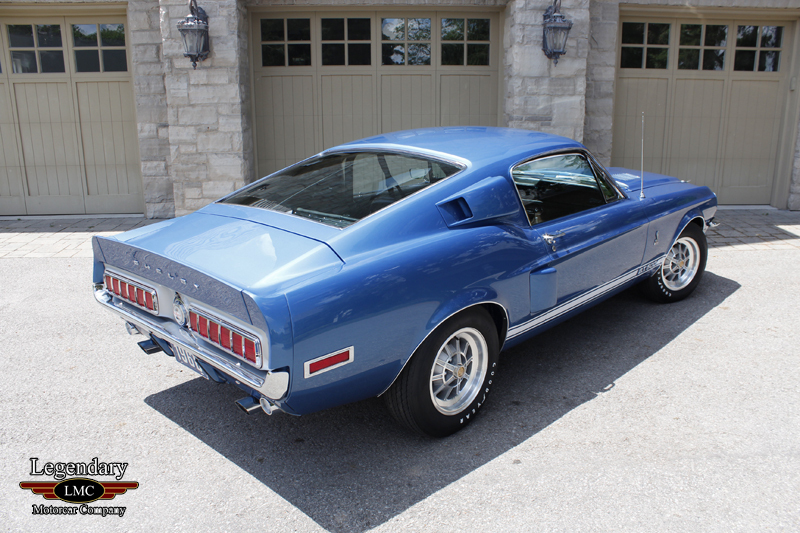 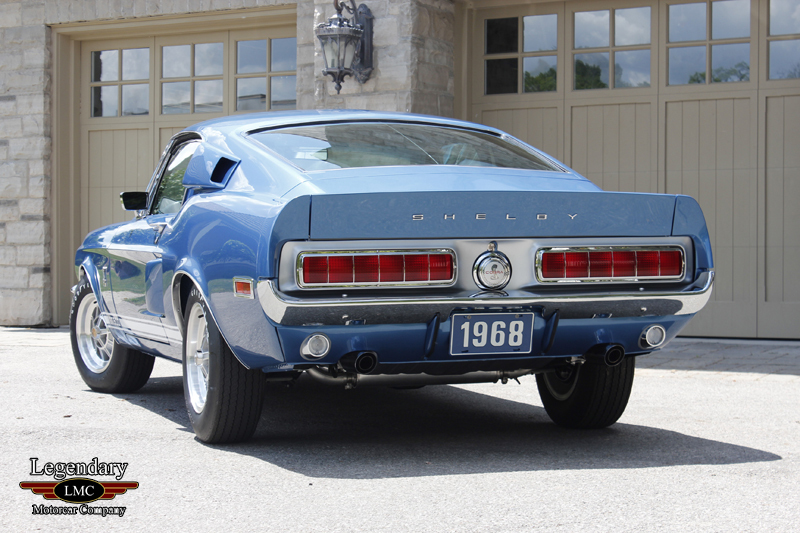 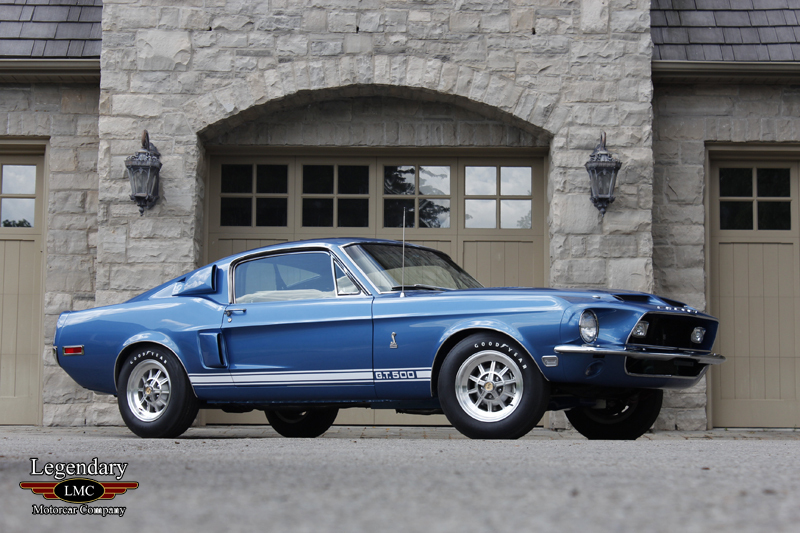 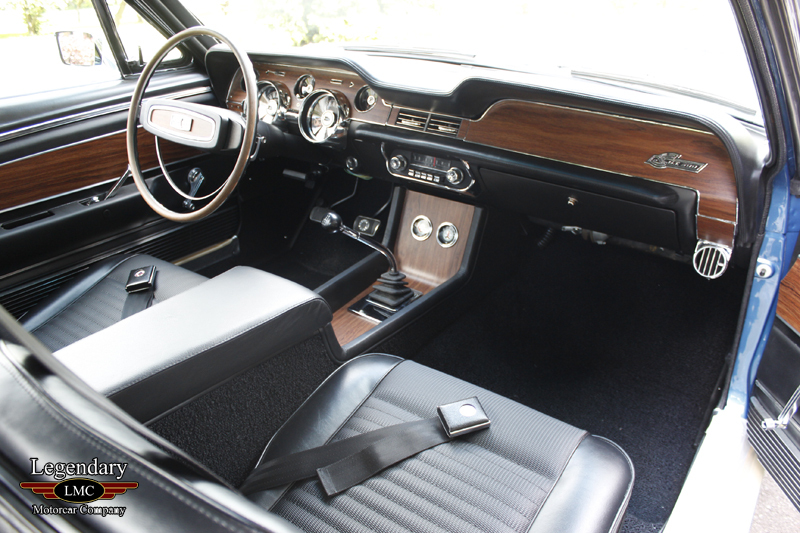 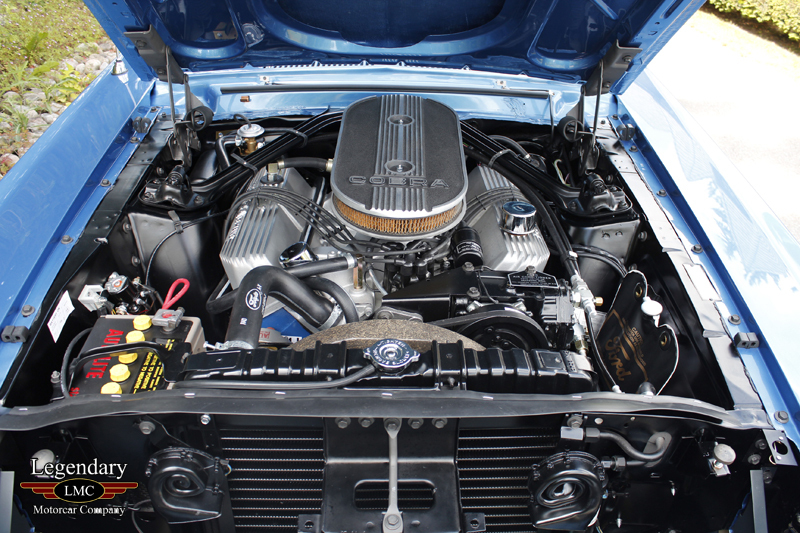 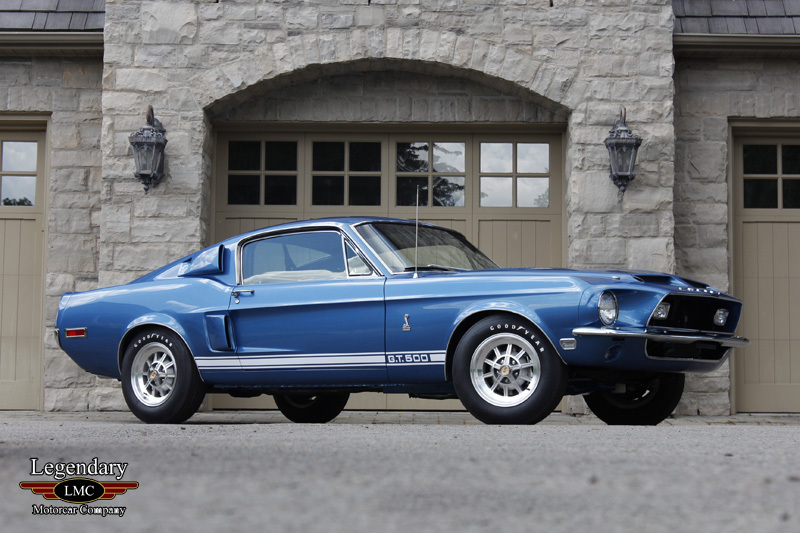 This car was then used for most of the early advertising for the 1968 models while still equipped with 1967 10 spoke Shelby wheels, an option that Shelby aficionados will know was never available on 1968 models. 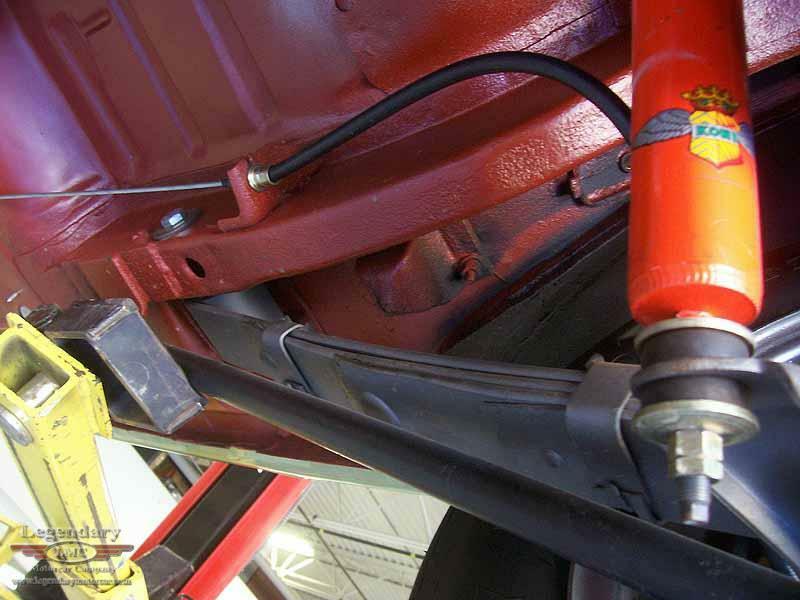 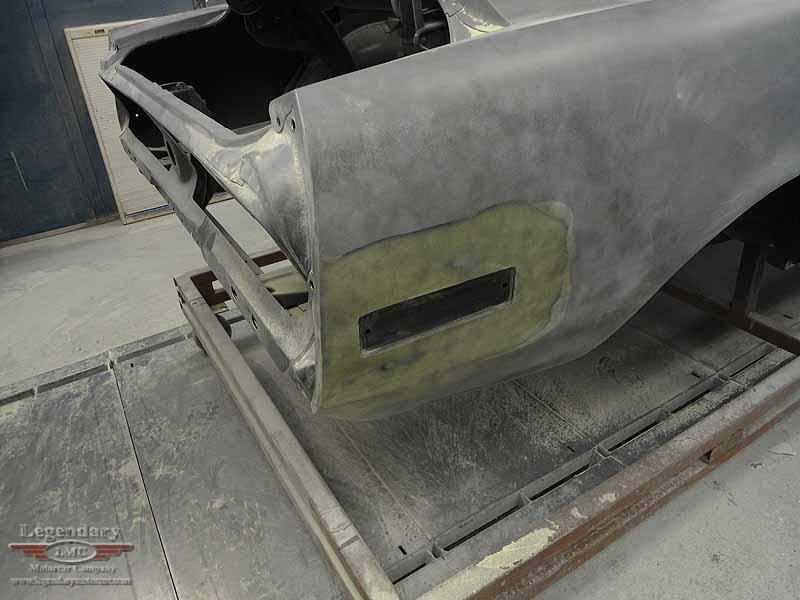 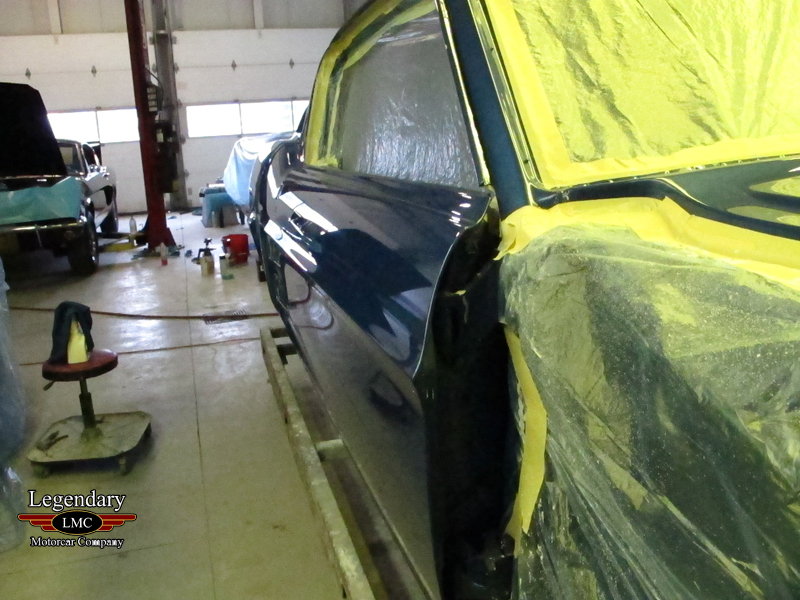 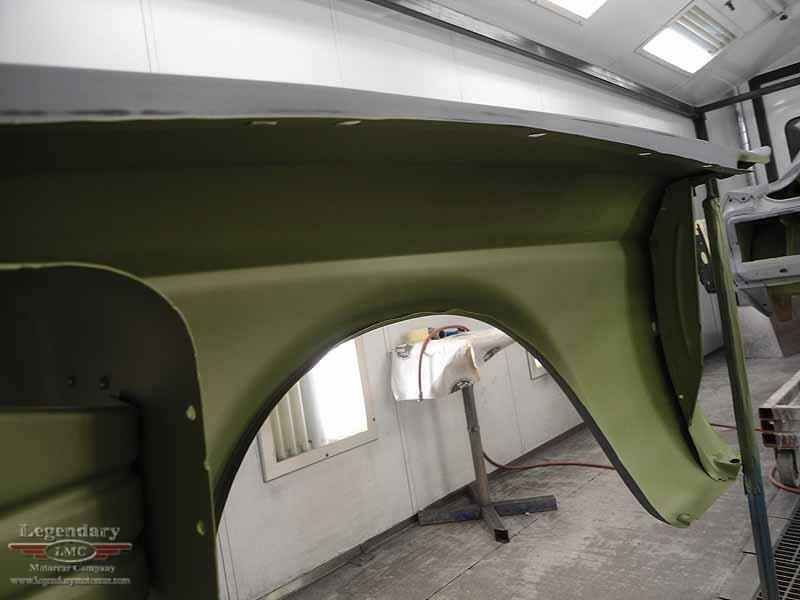 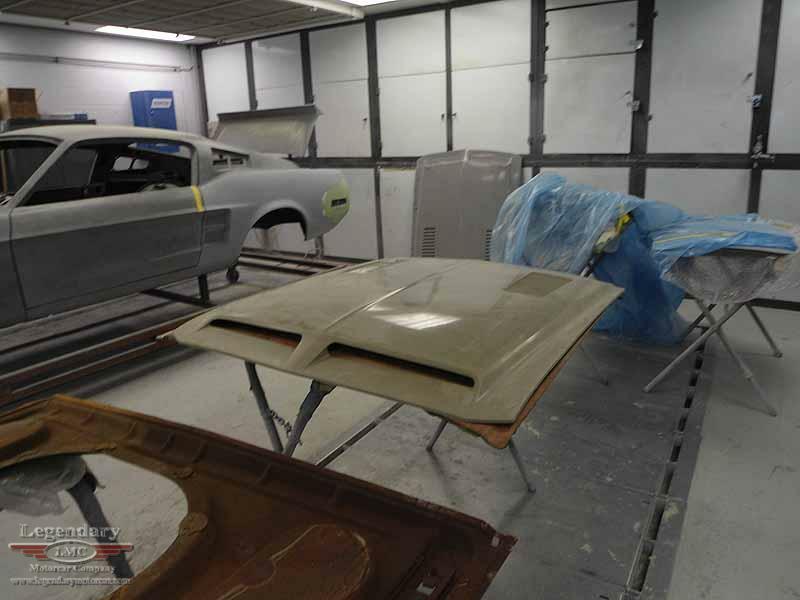 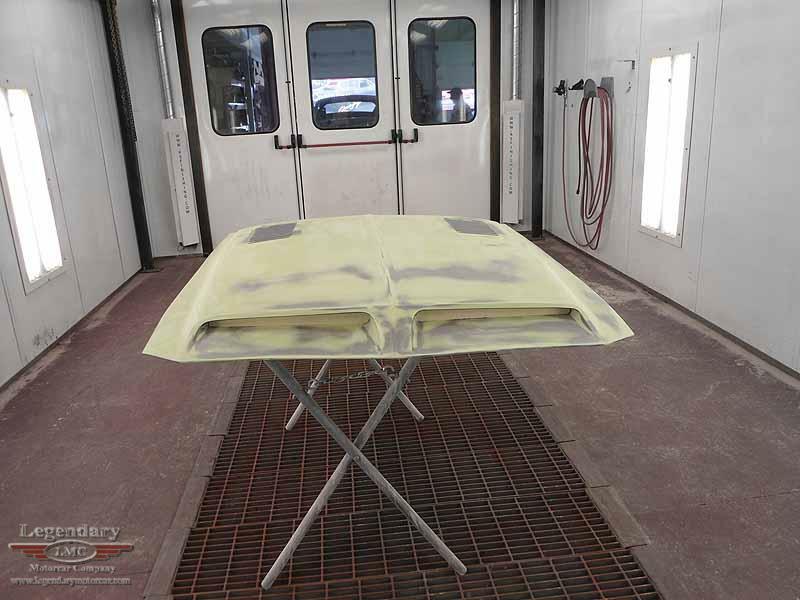 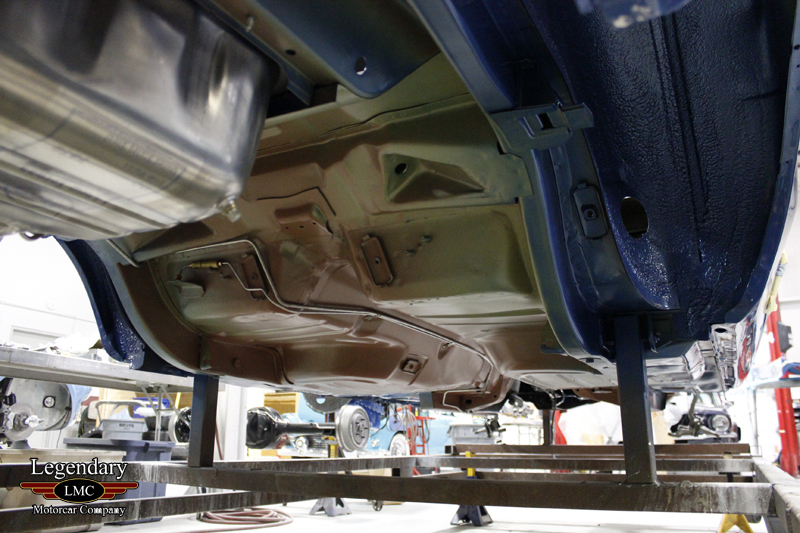 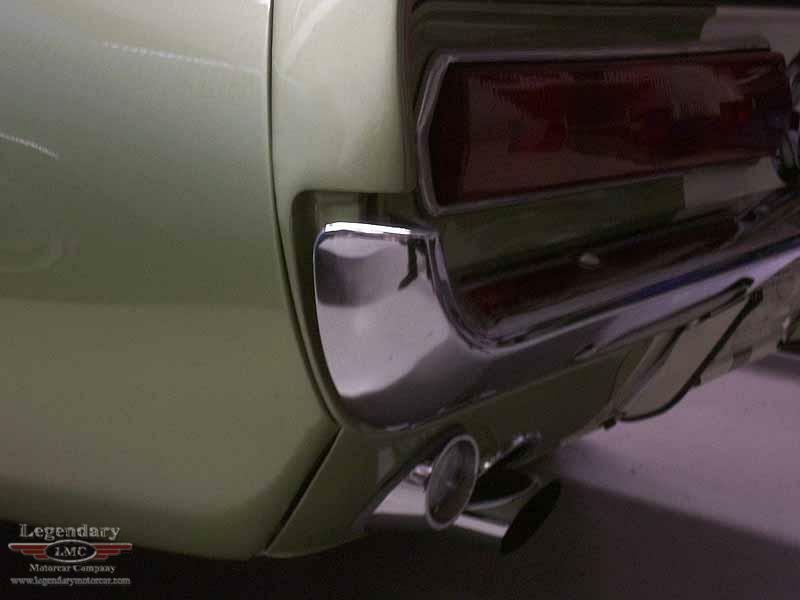 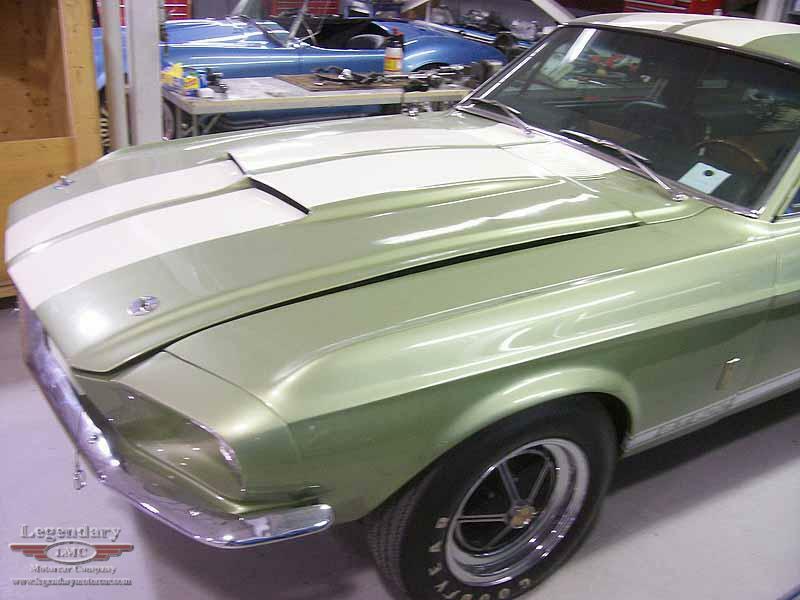 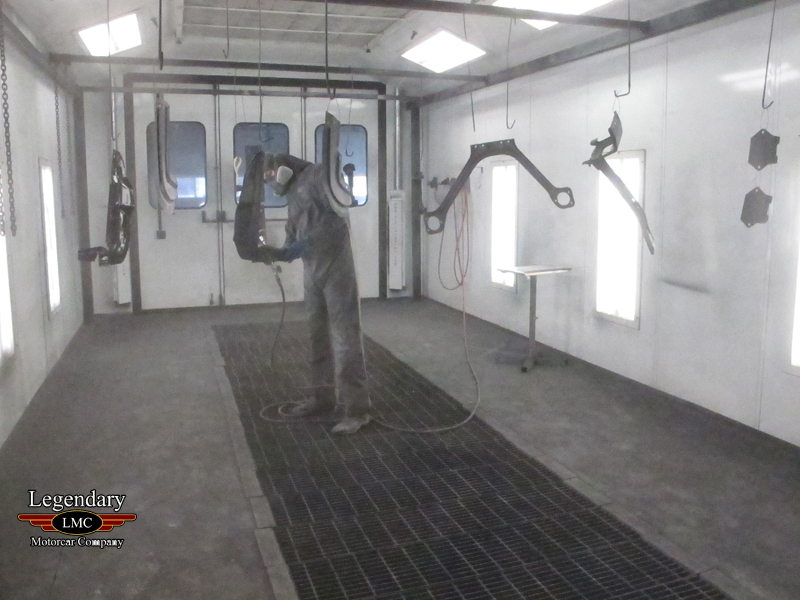 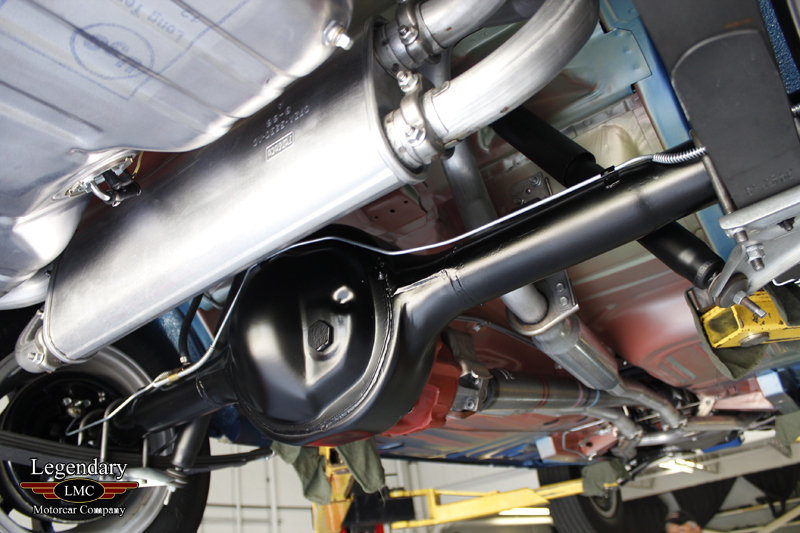 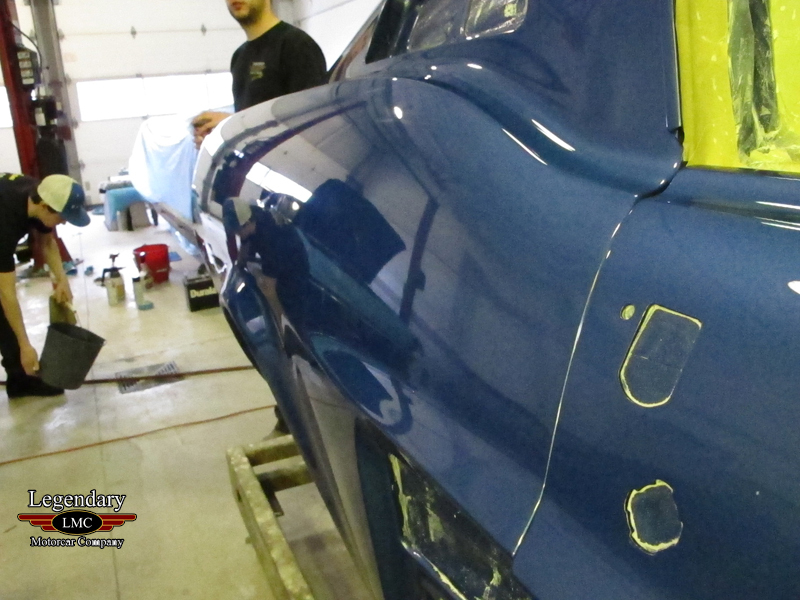 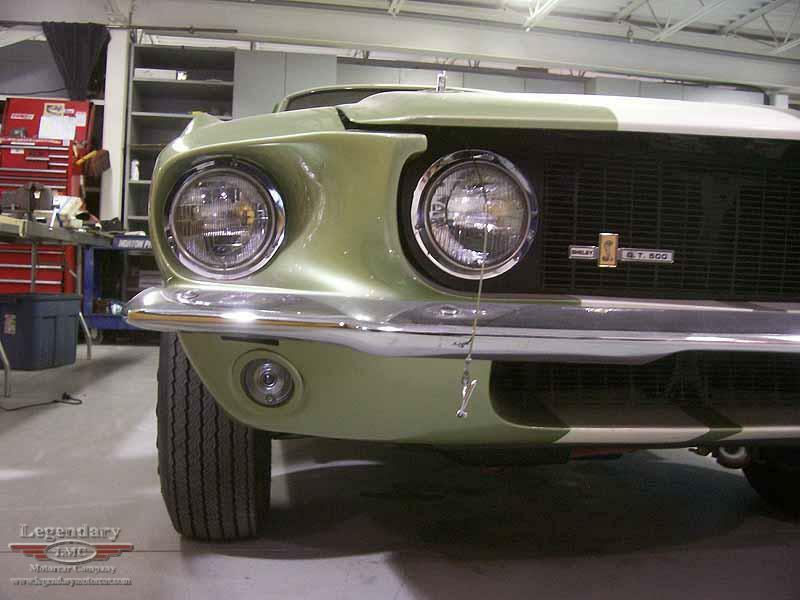 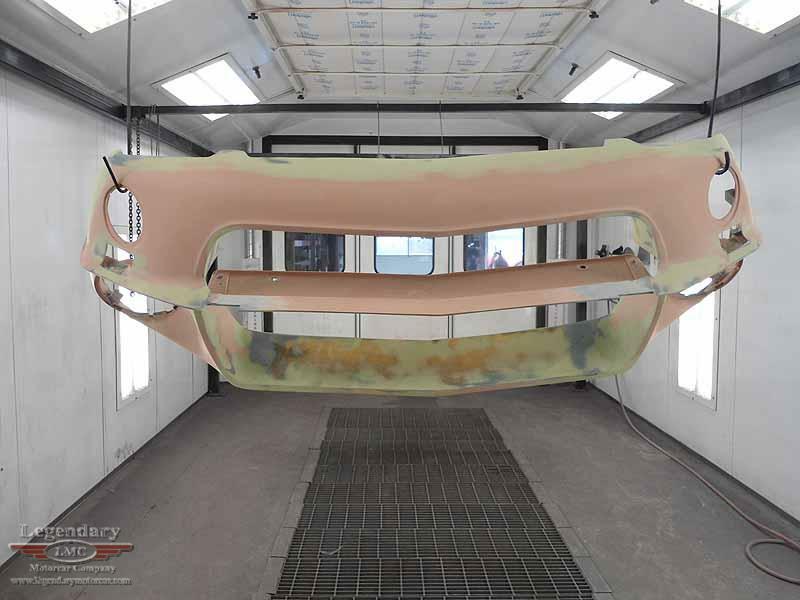 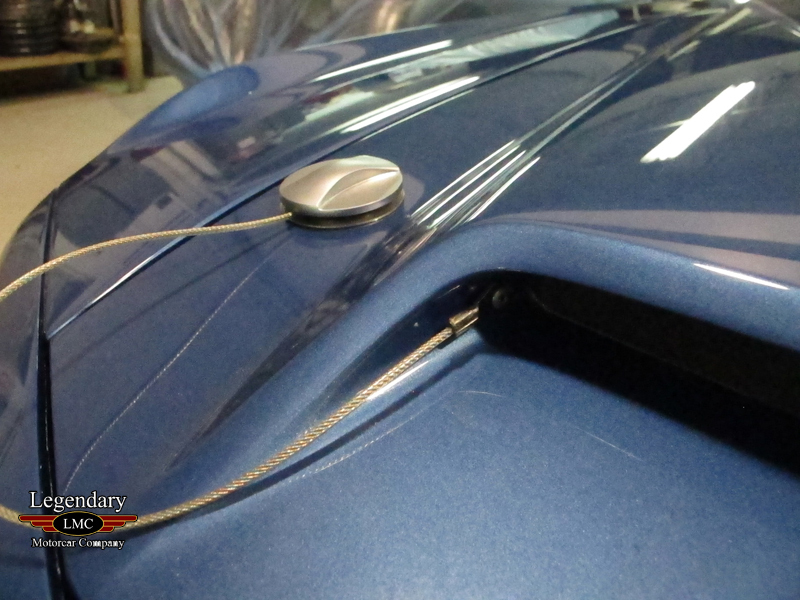 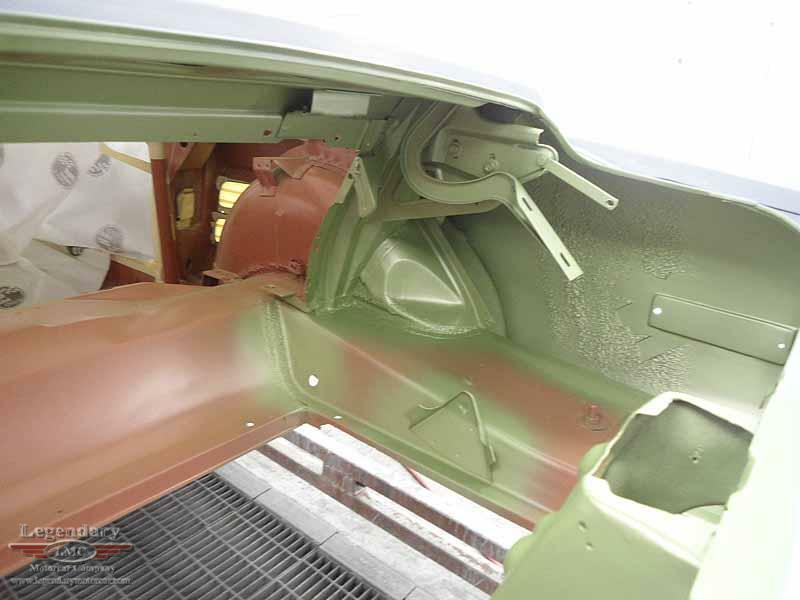 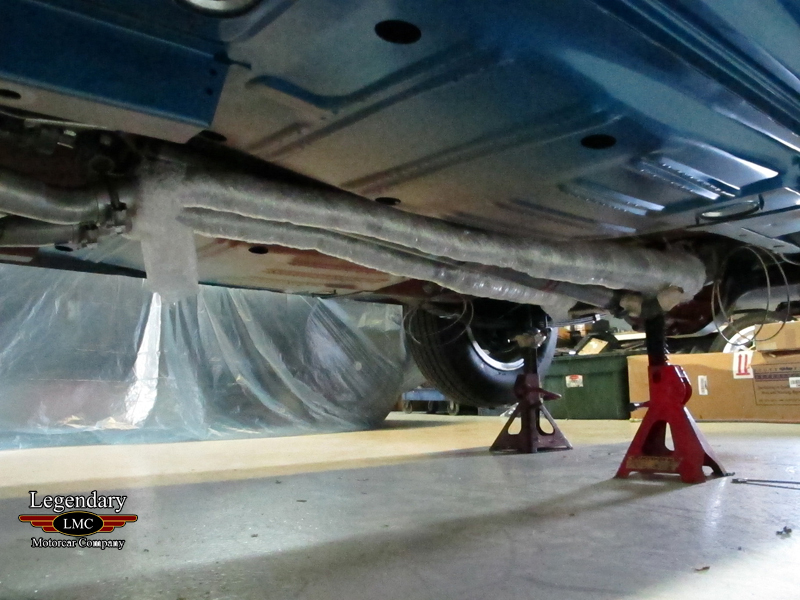 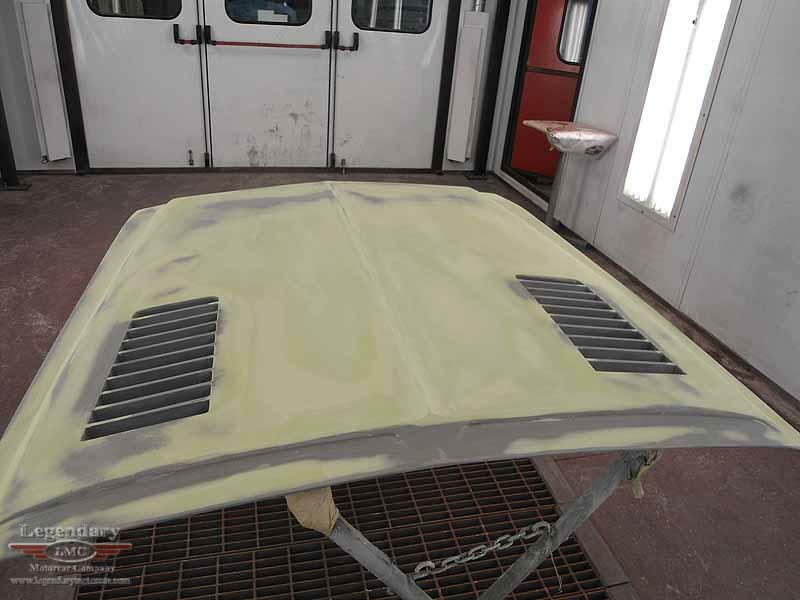 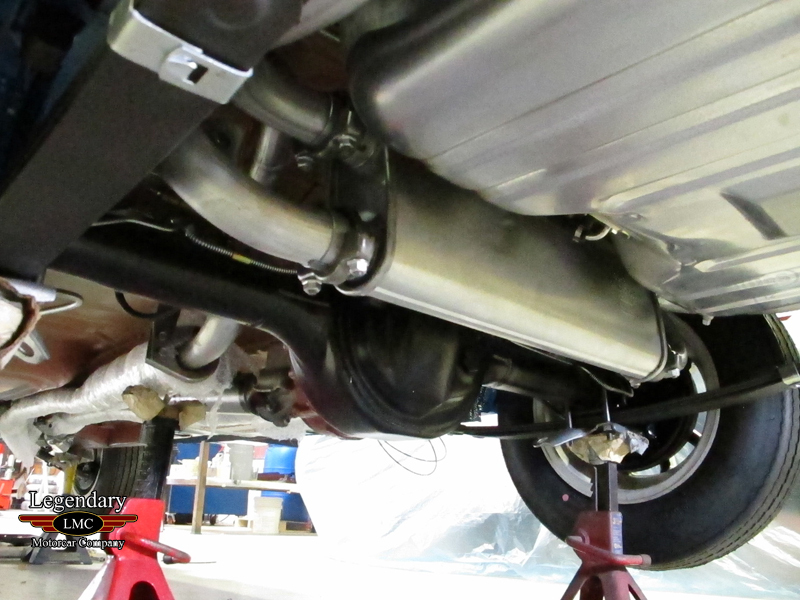 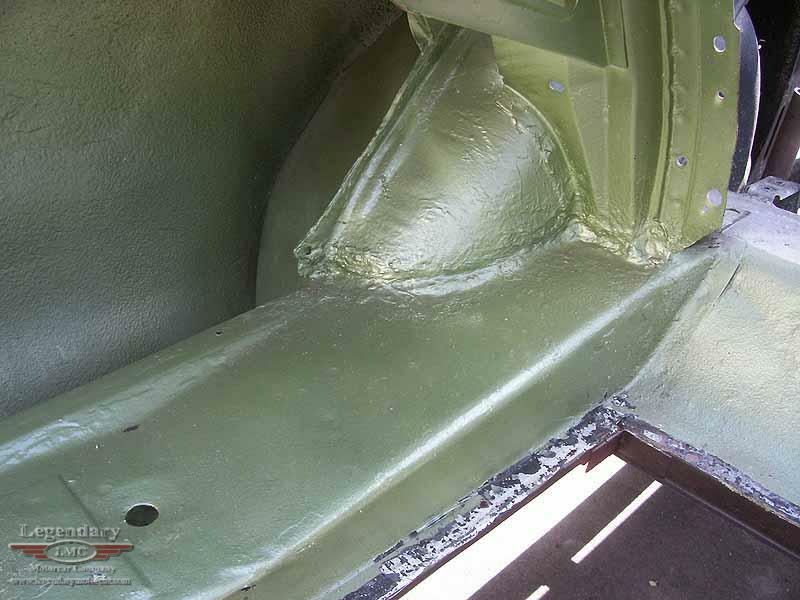 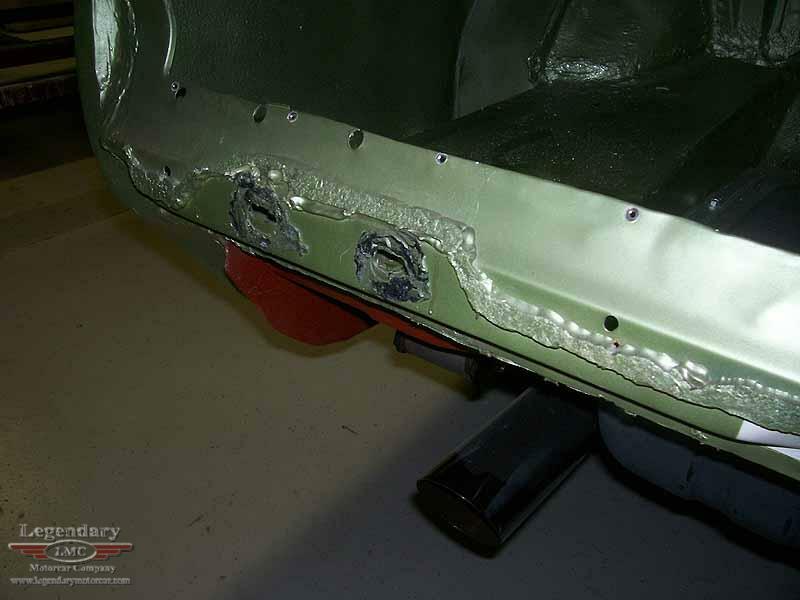 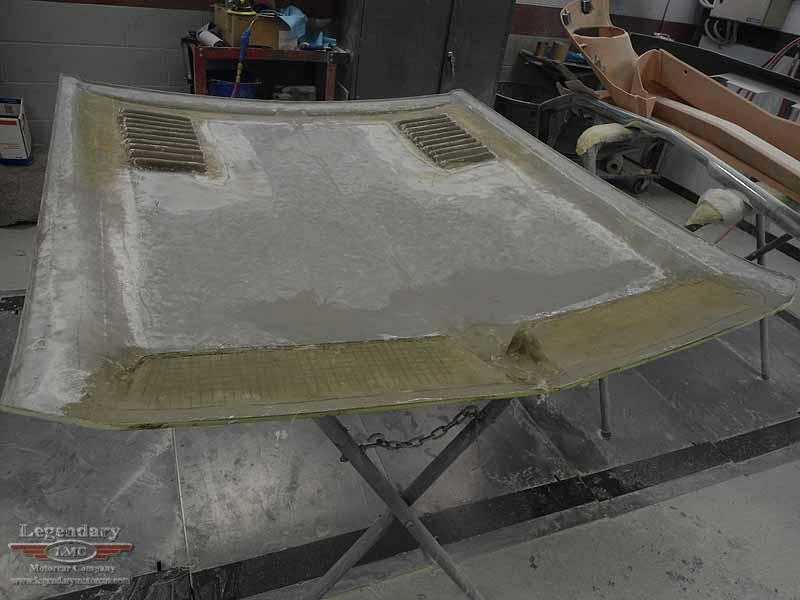 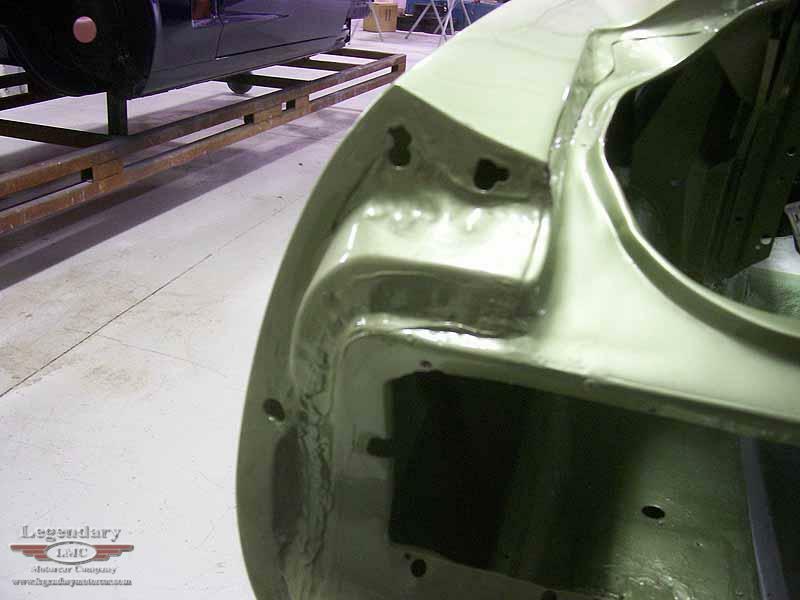 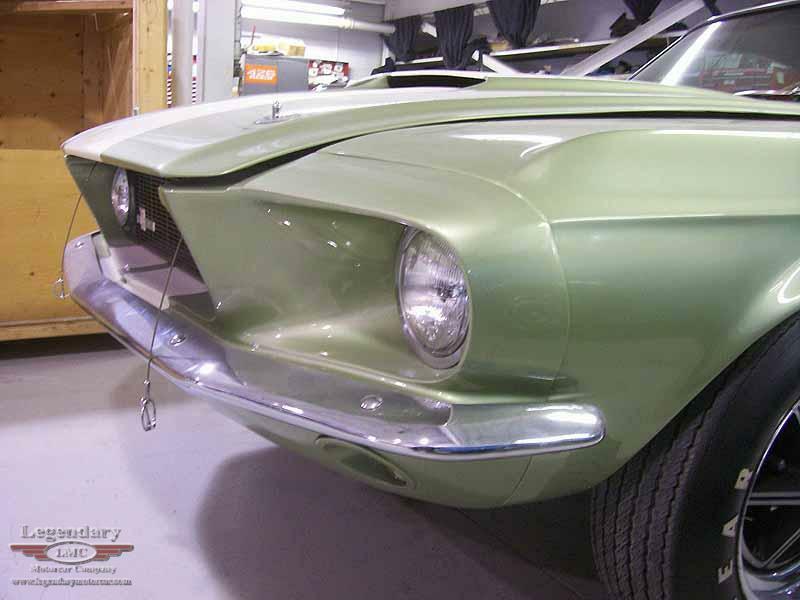 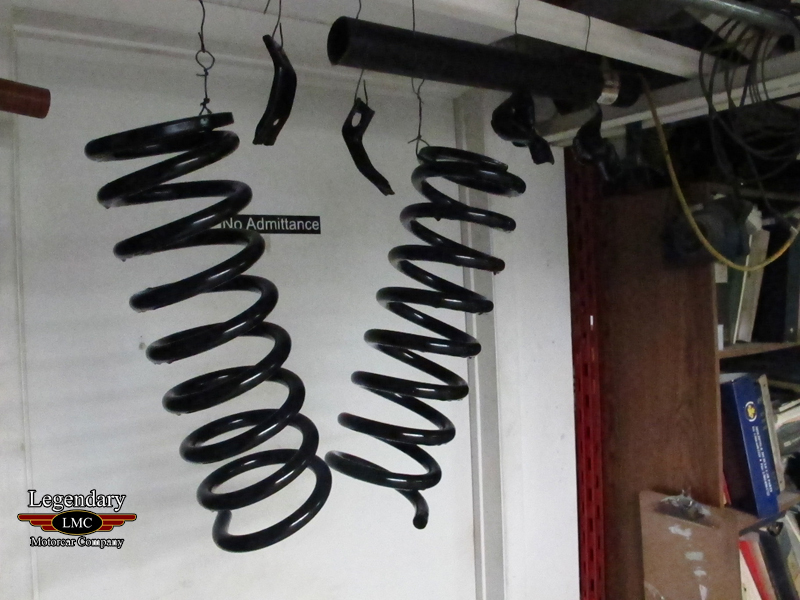 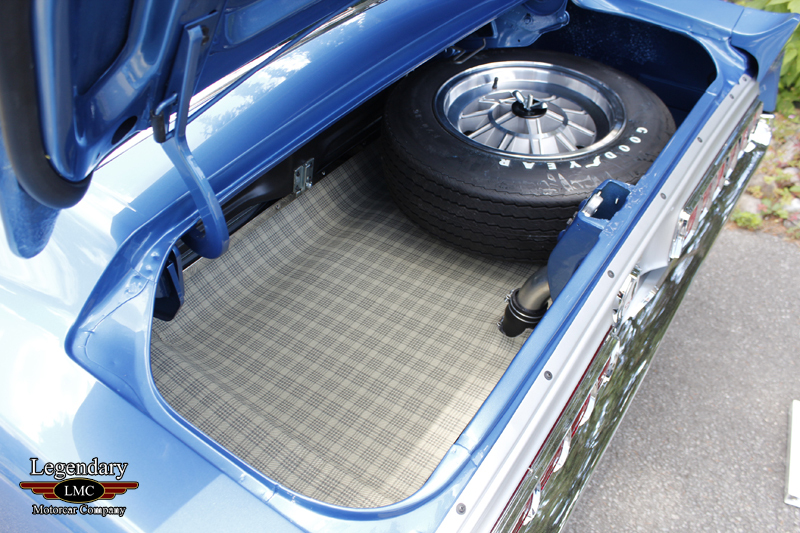 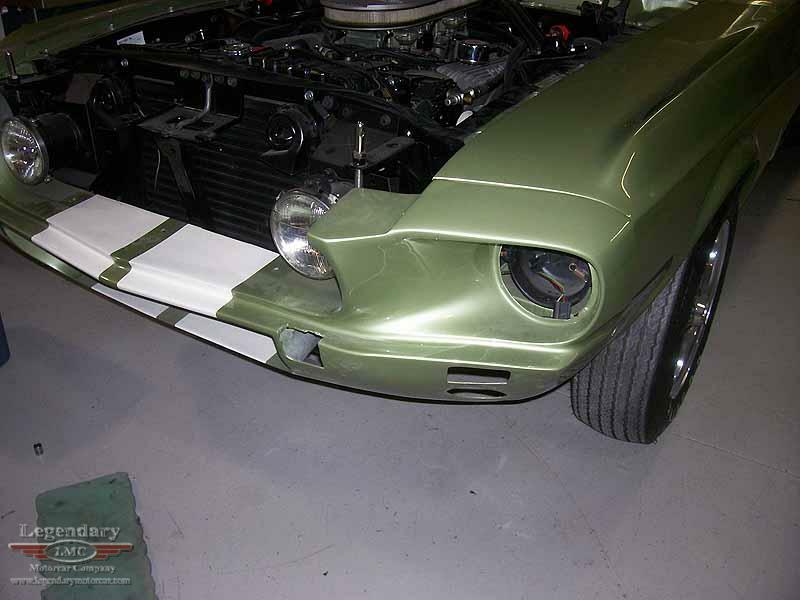 The car was brought to LMC as a restored Lime Gold 1967 Shelby needing some freshening. 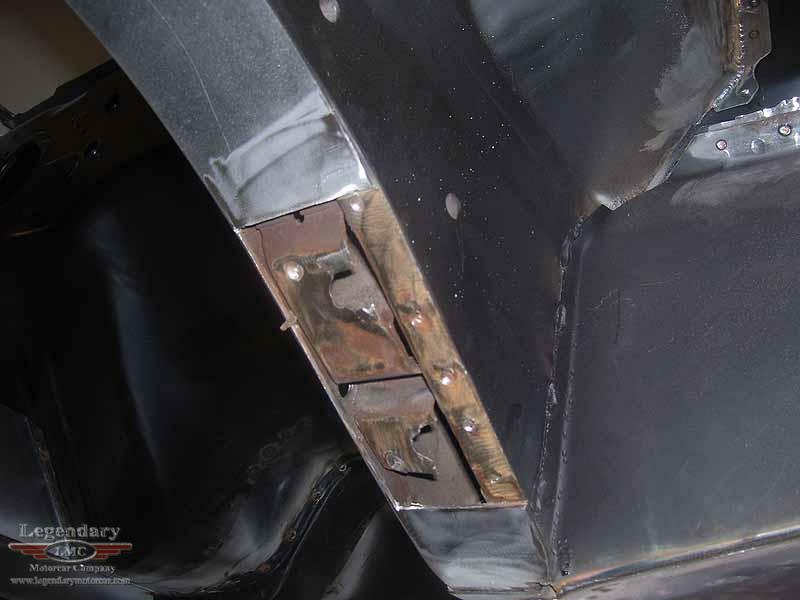 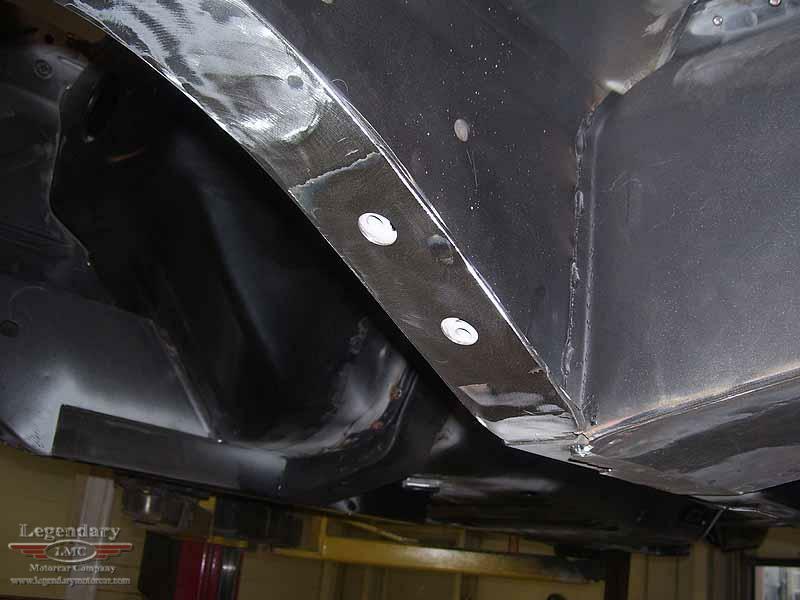 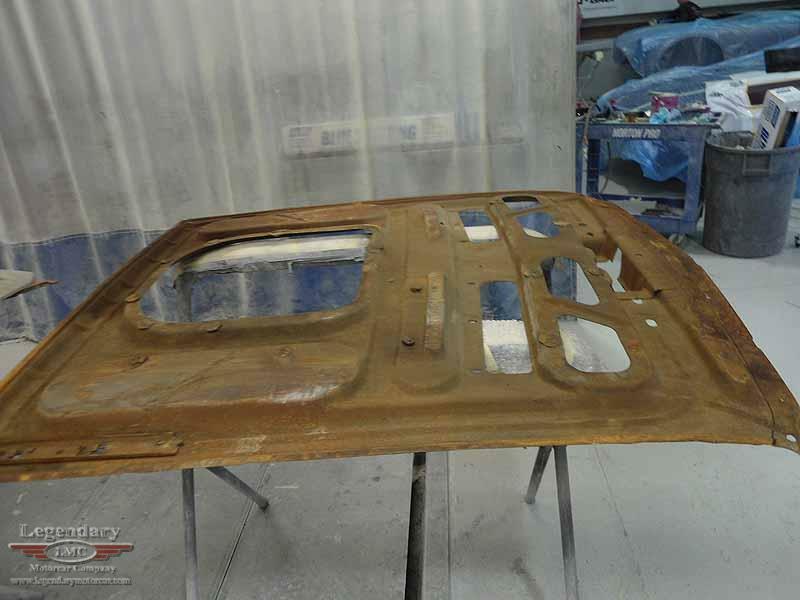 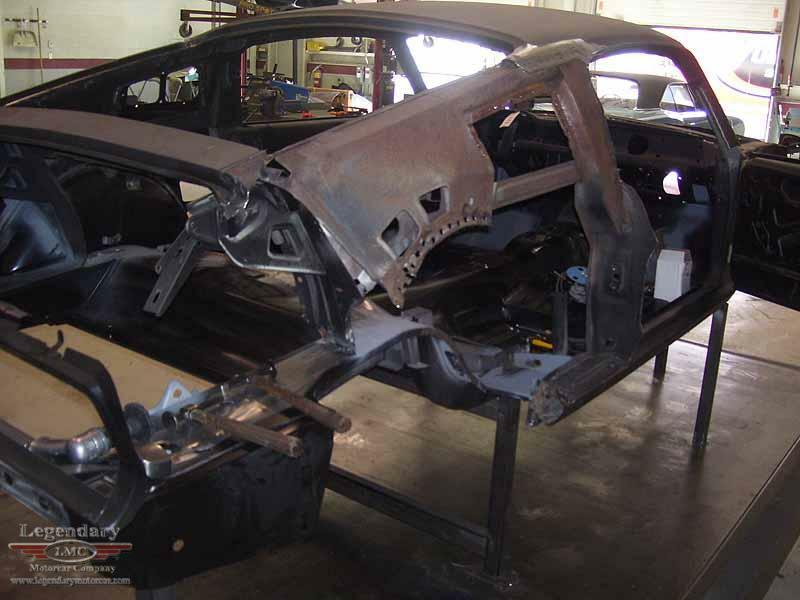 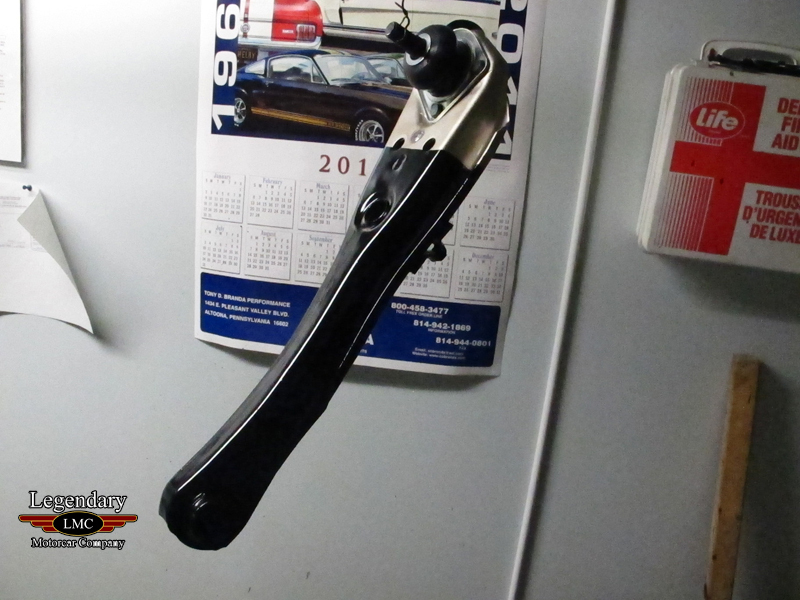 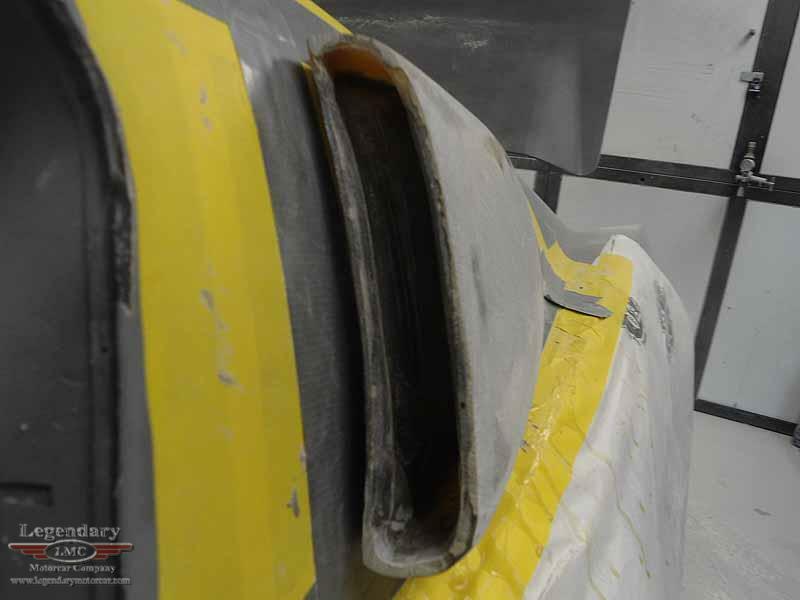 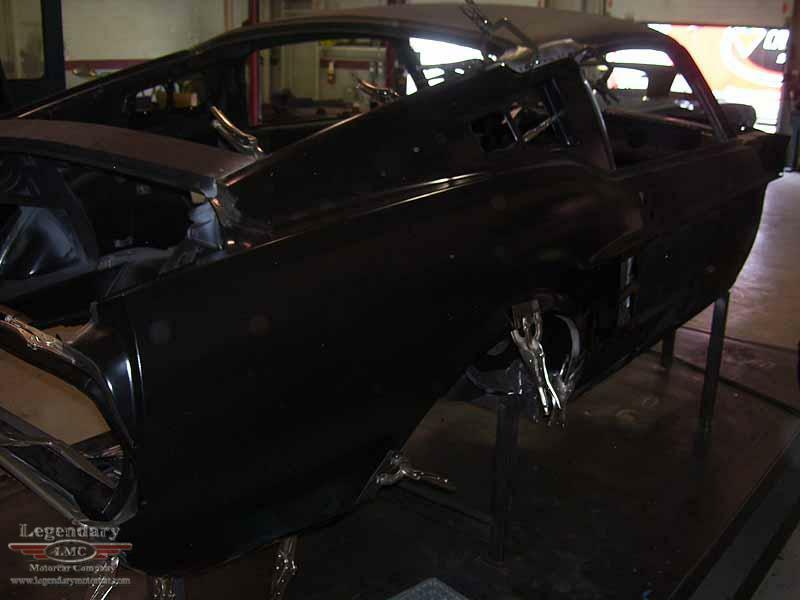 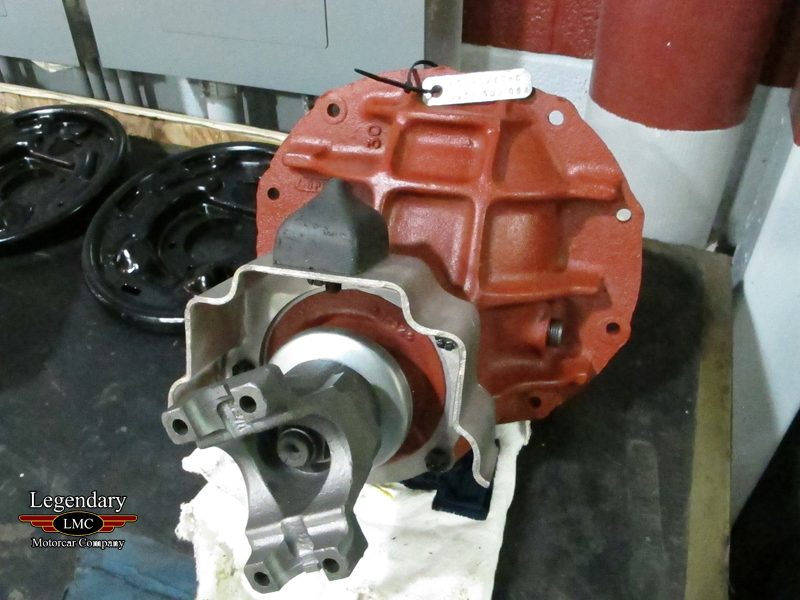 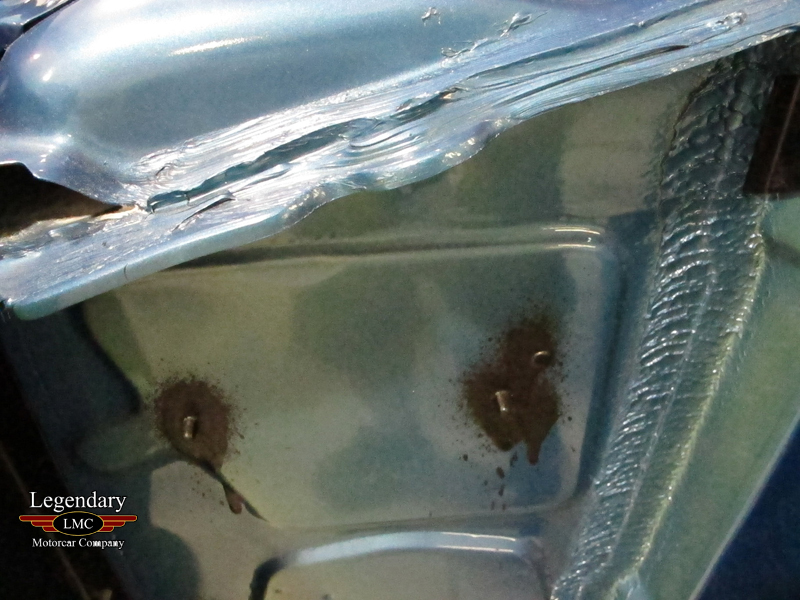 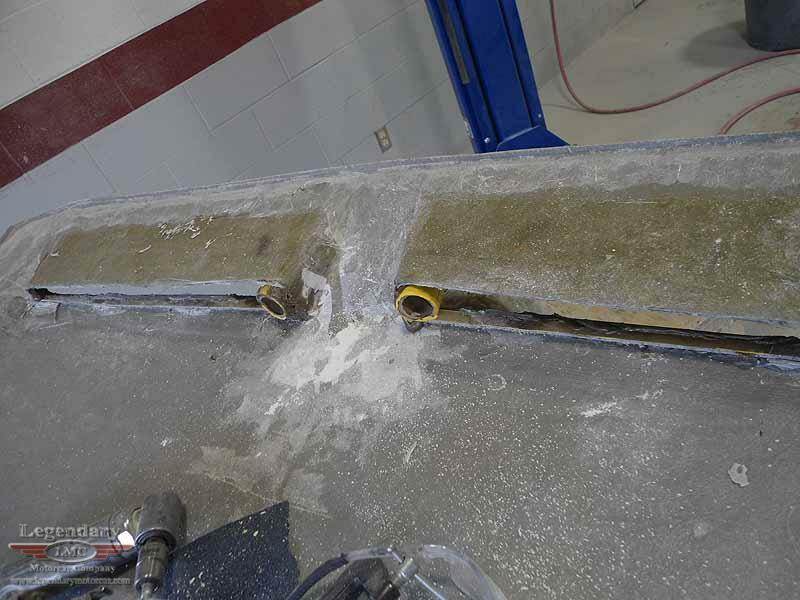 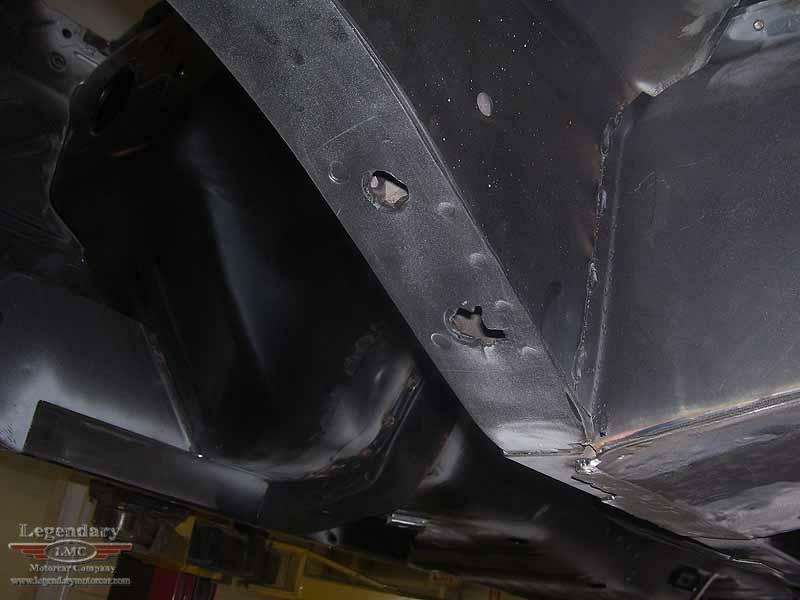 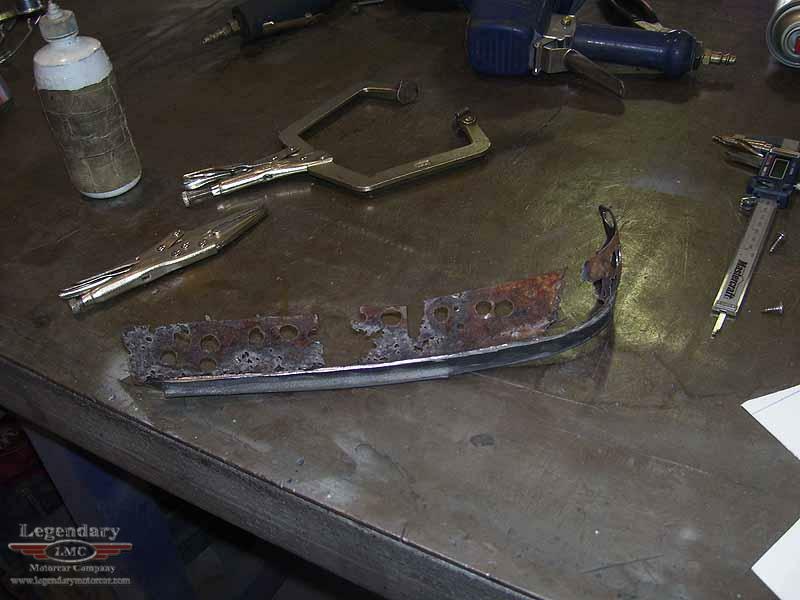 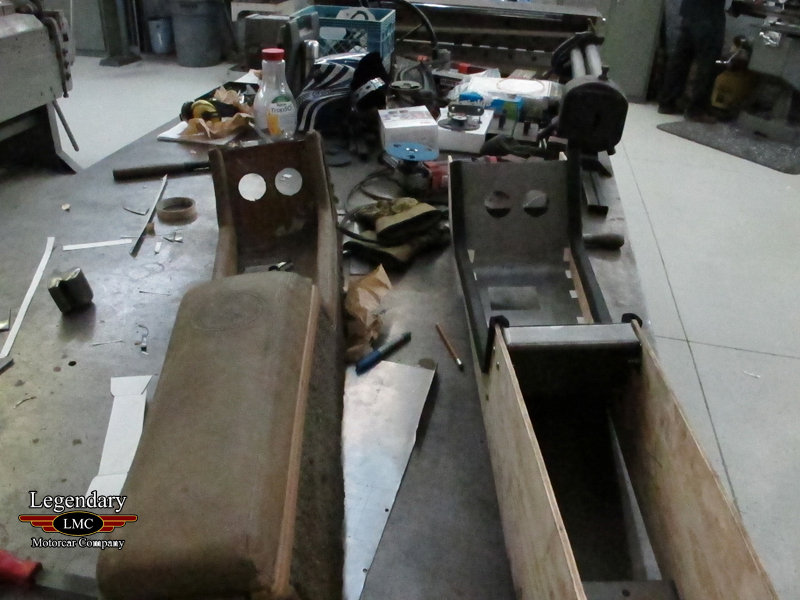 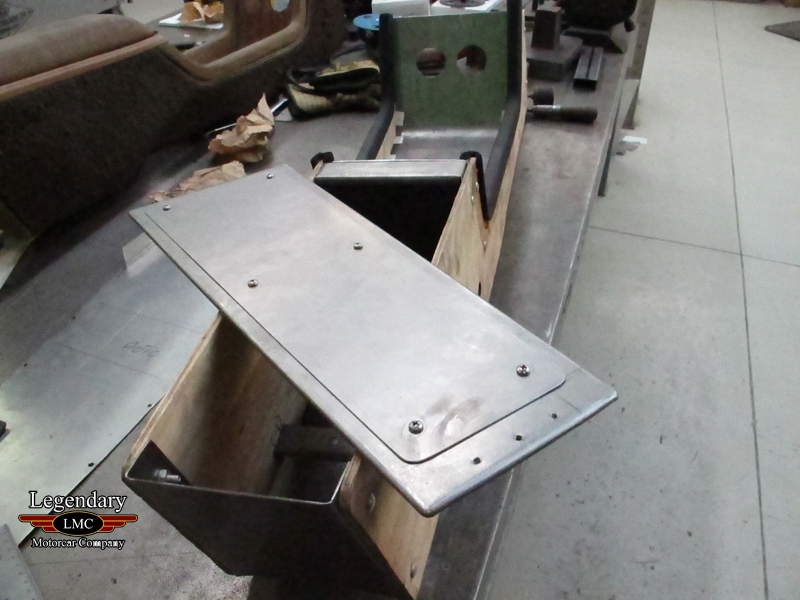 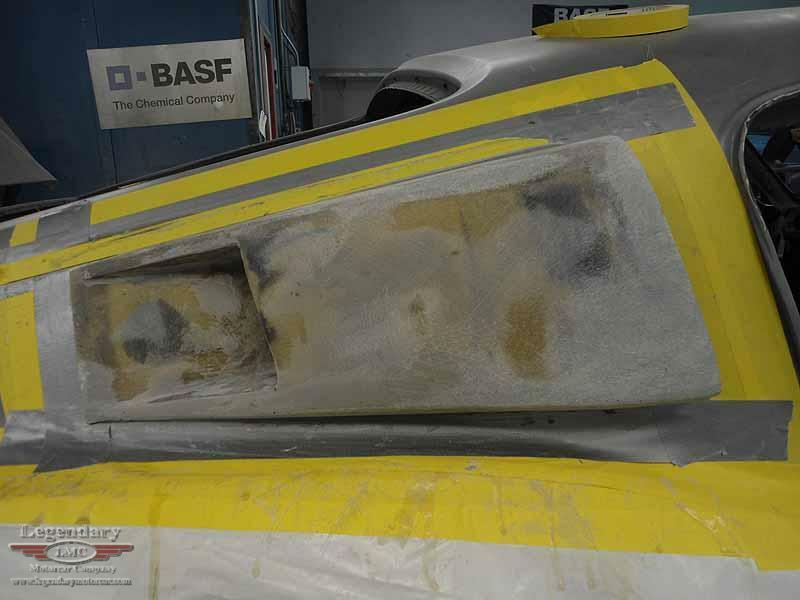 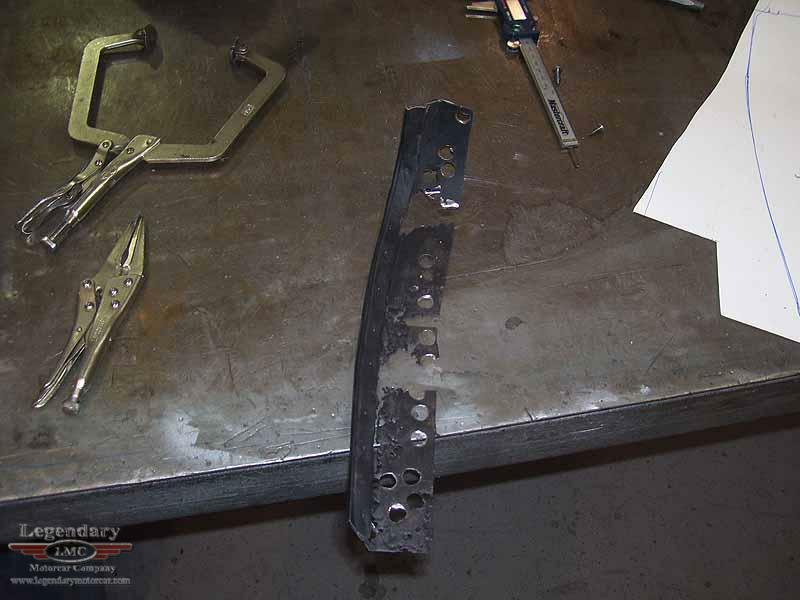 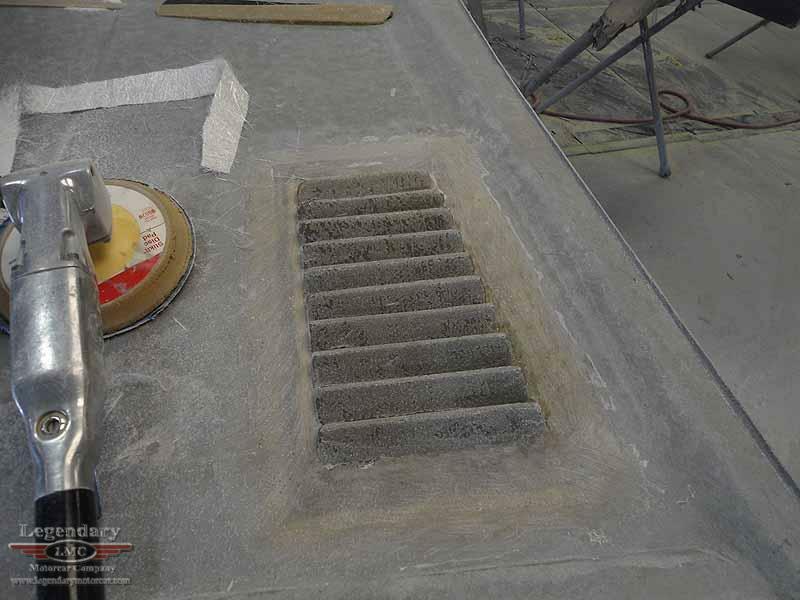 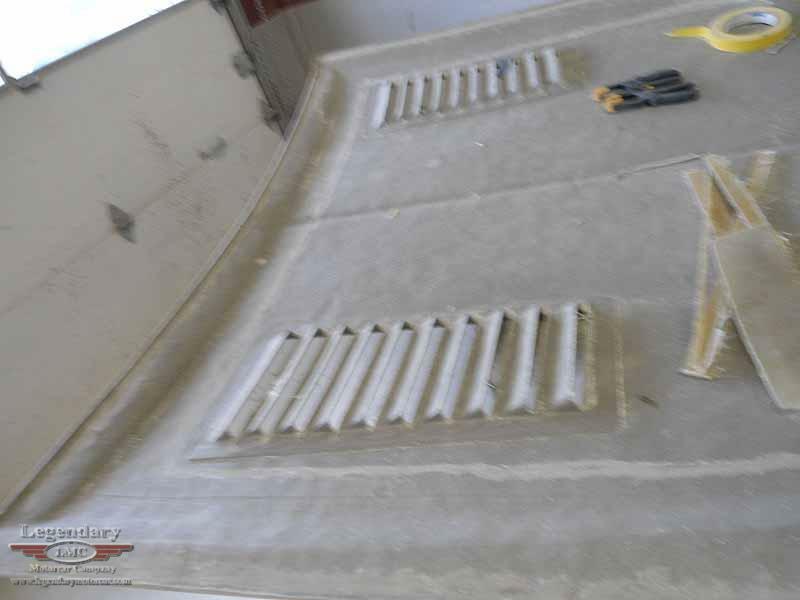 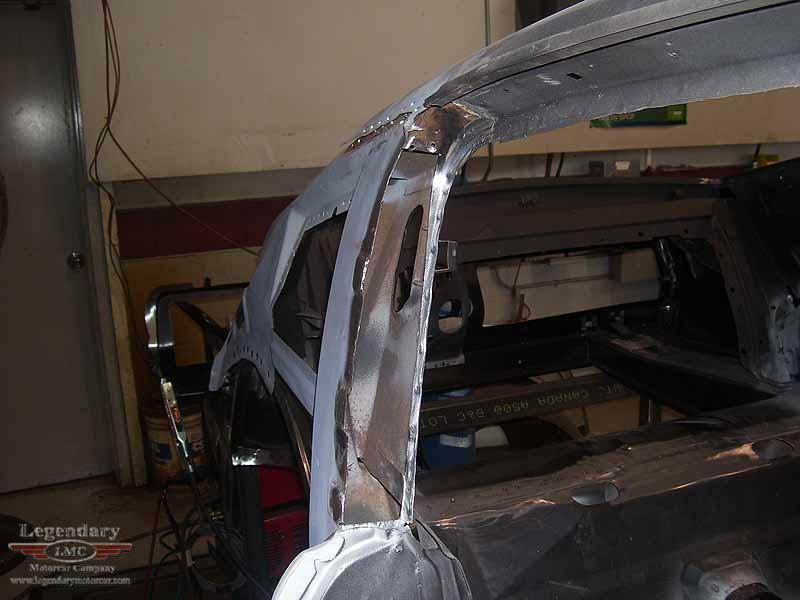 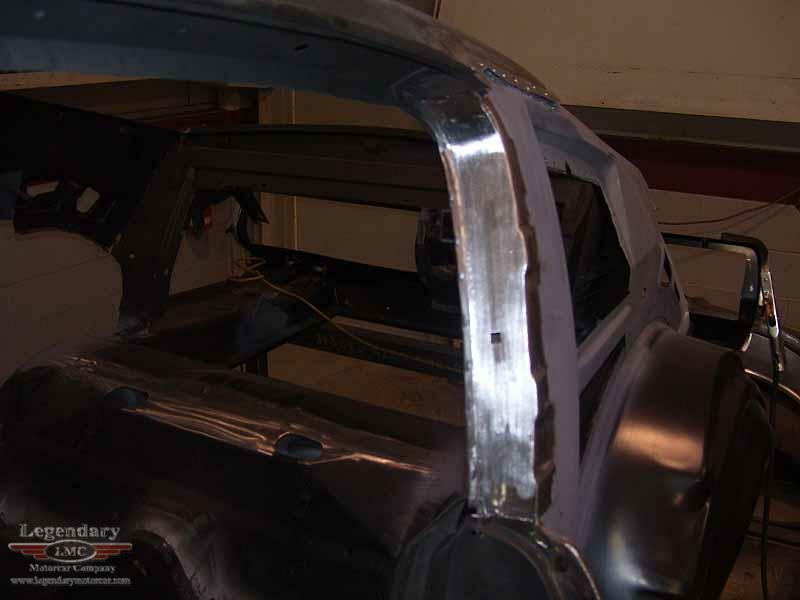 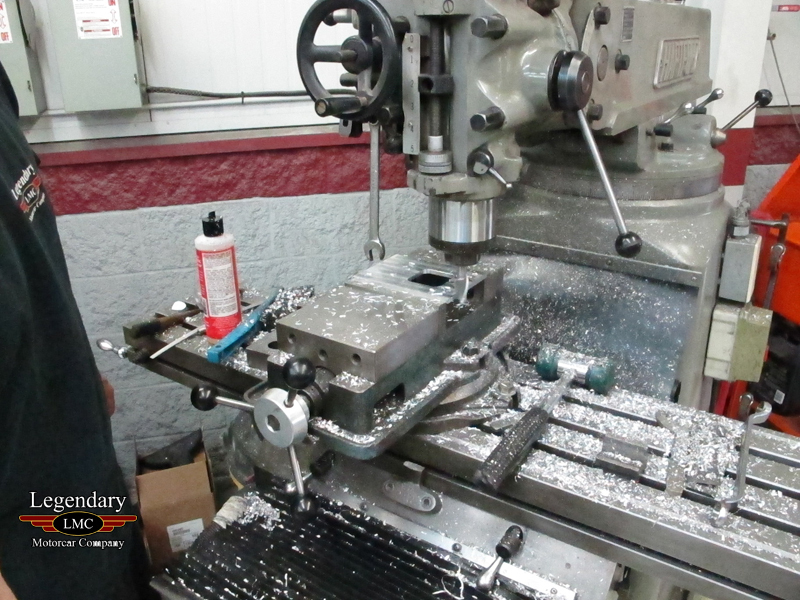 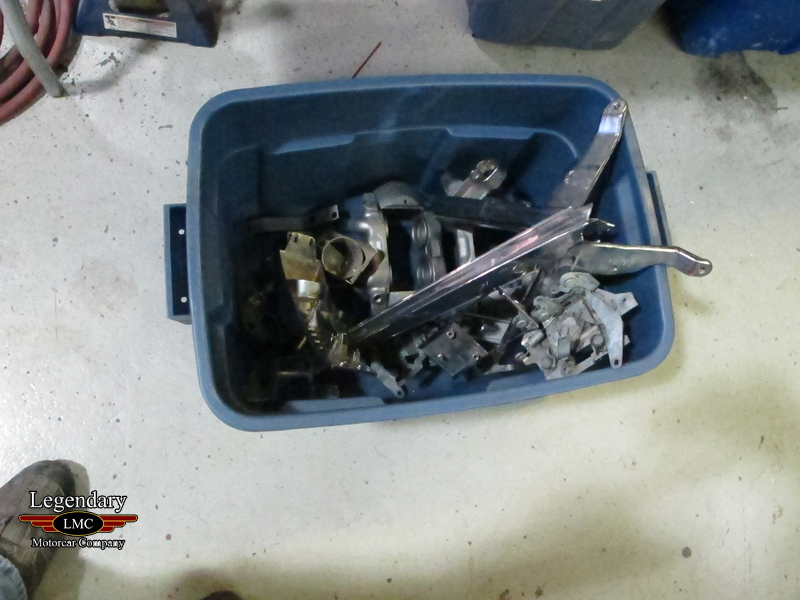 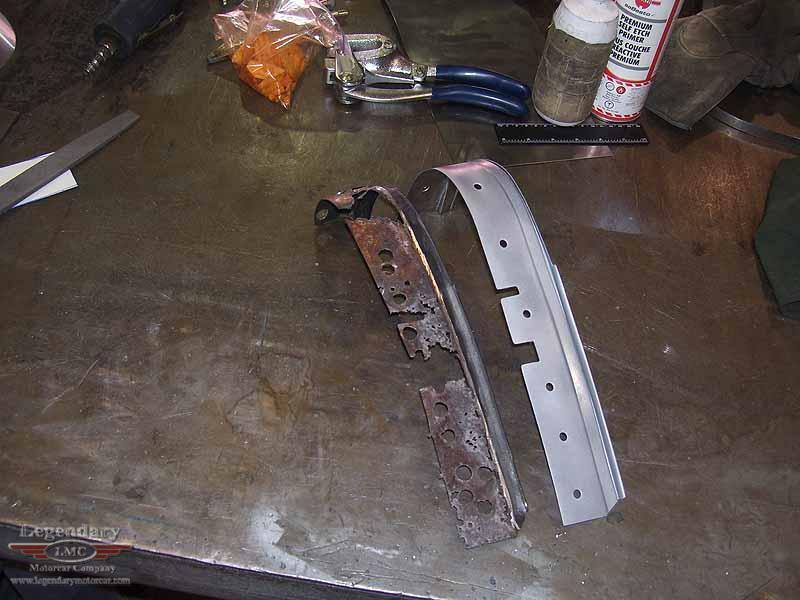 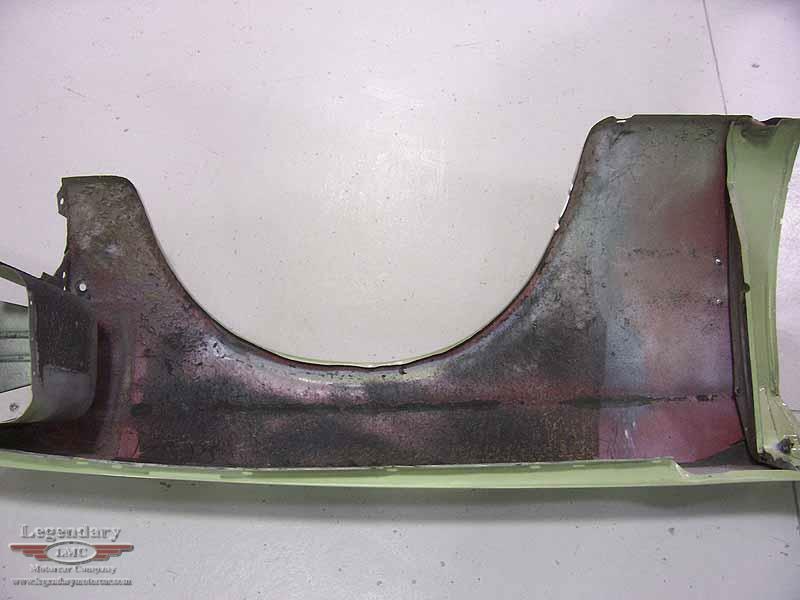 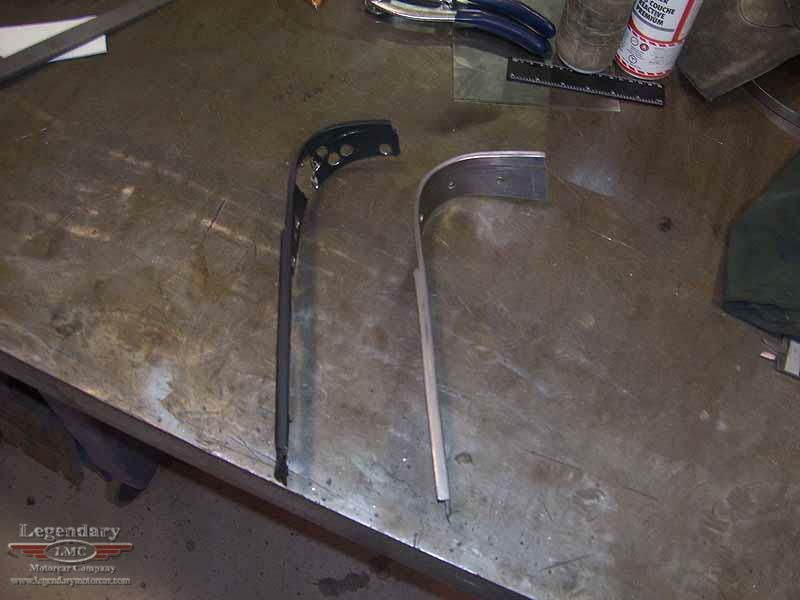 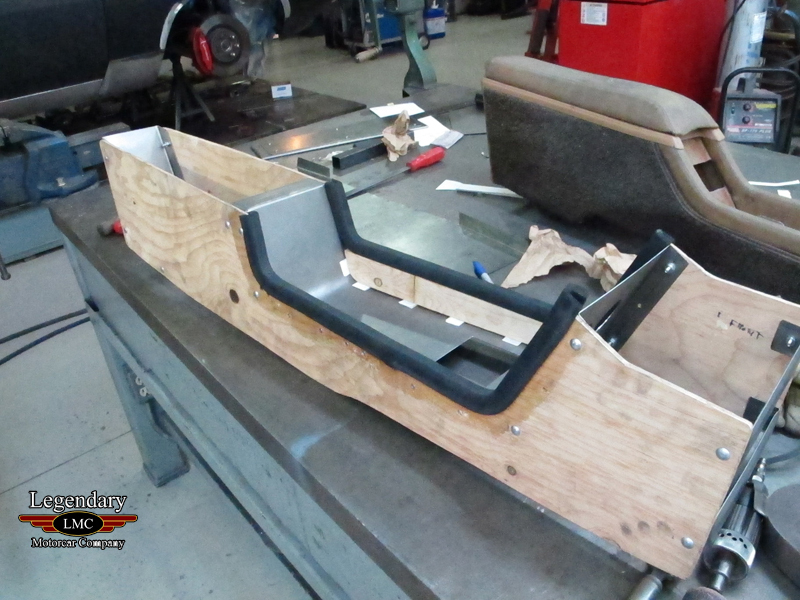 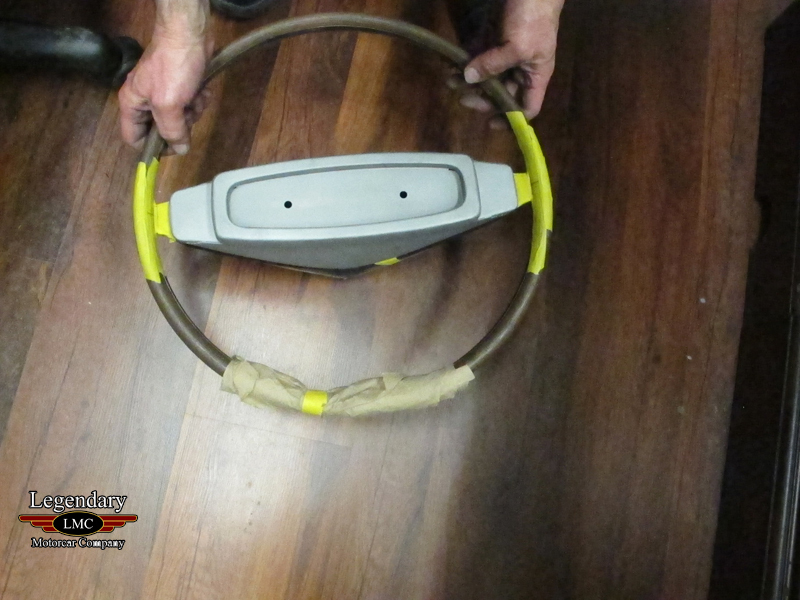 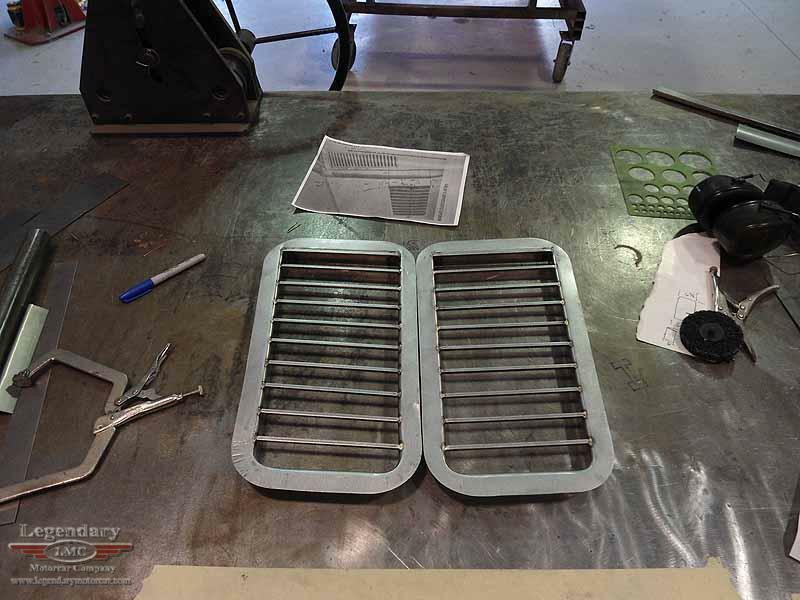 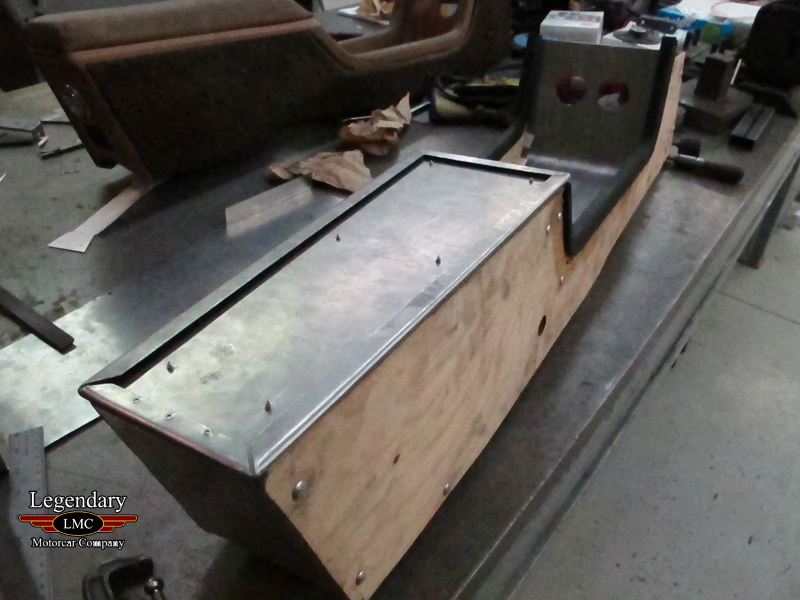 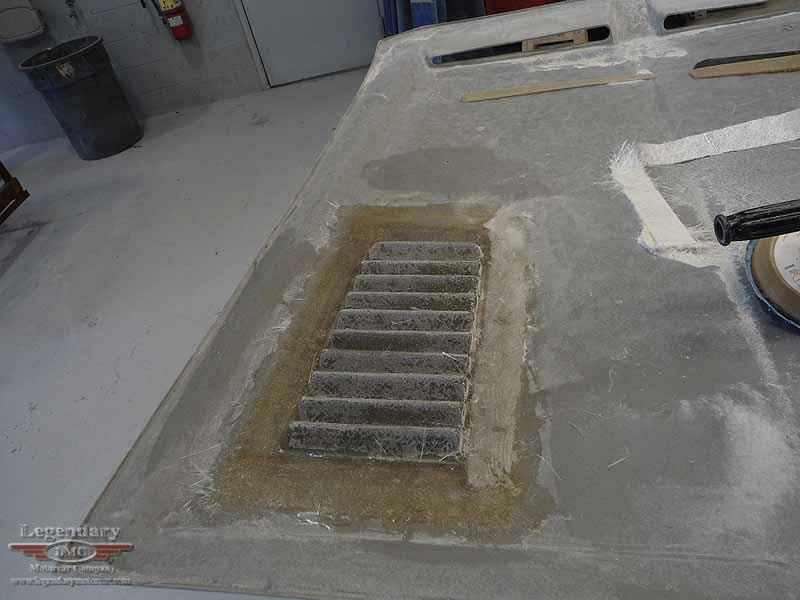 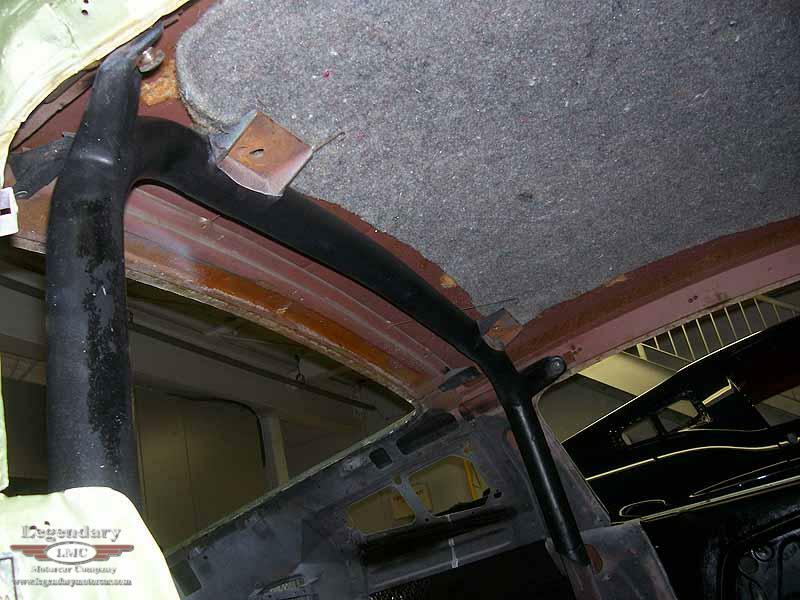 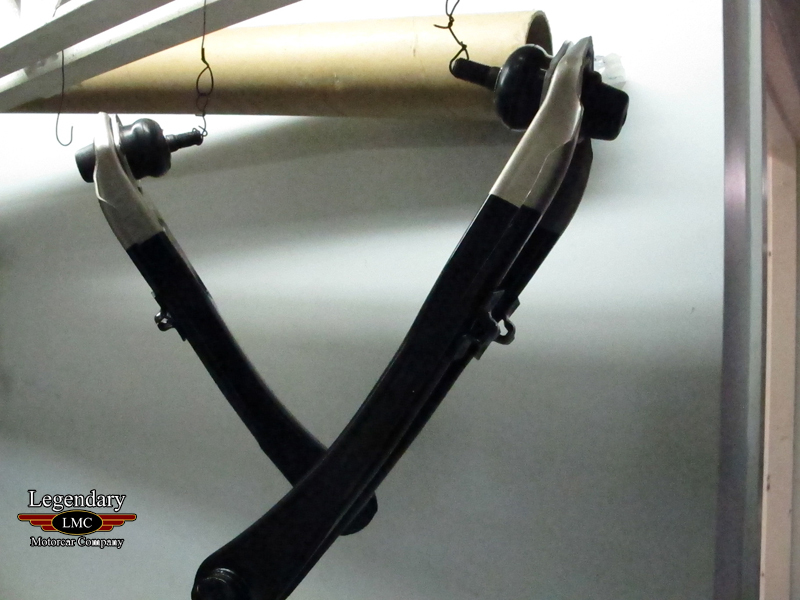 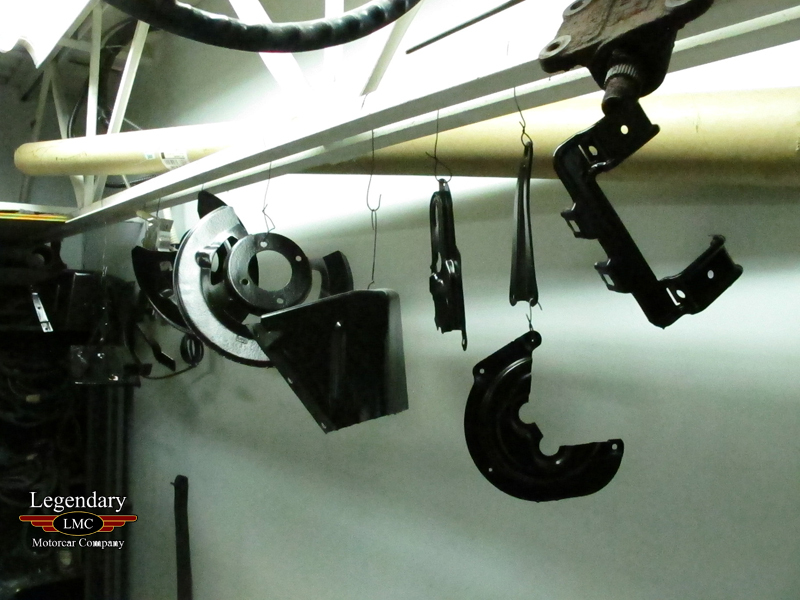 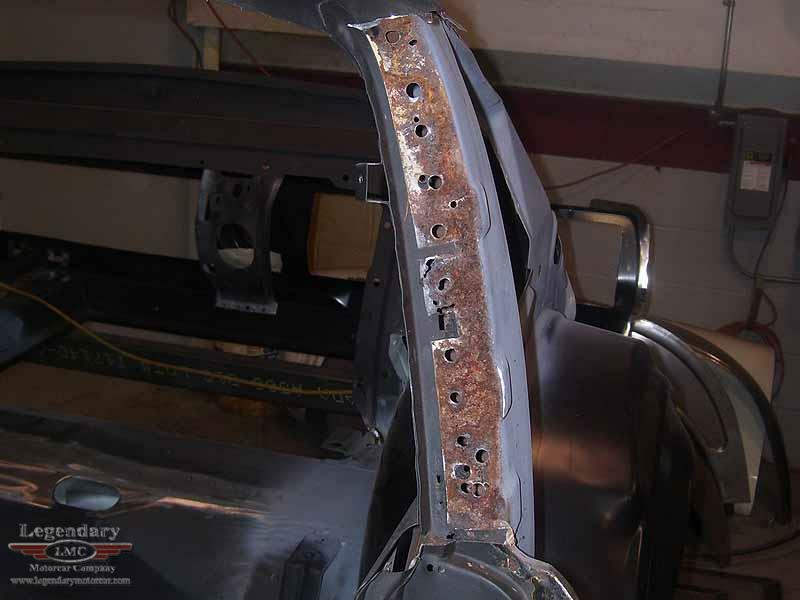 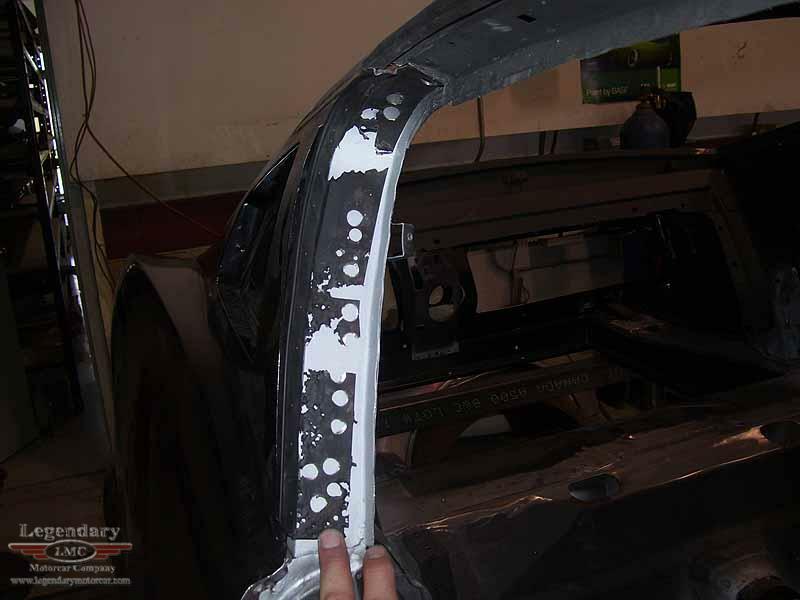 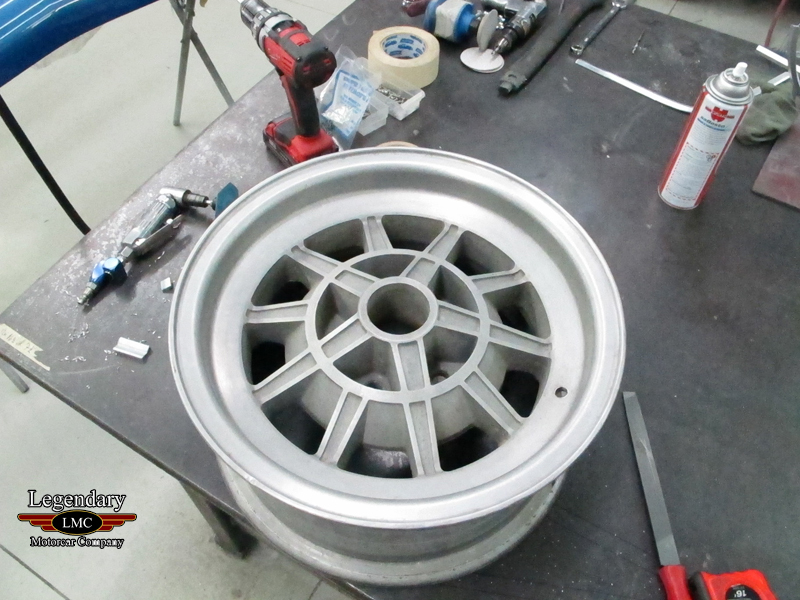 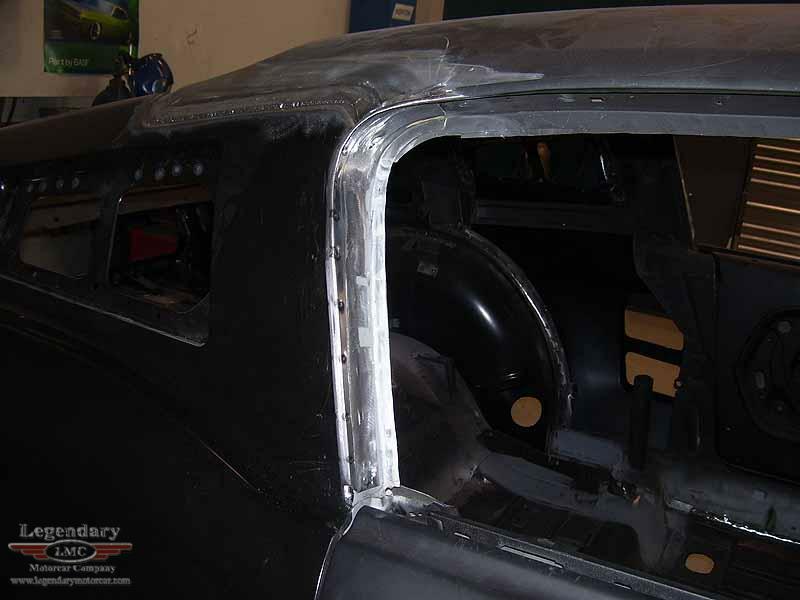 Once the restoration began the pieces of its history began to fall together and it was discovered to be the prototype car. 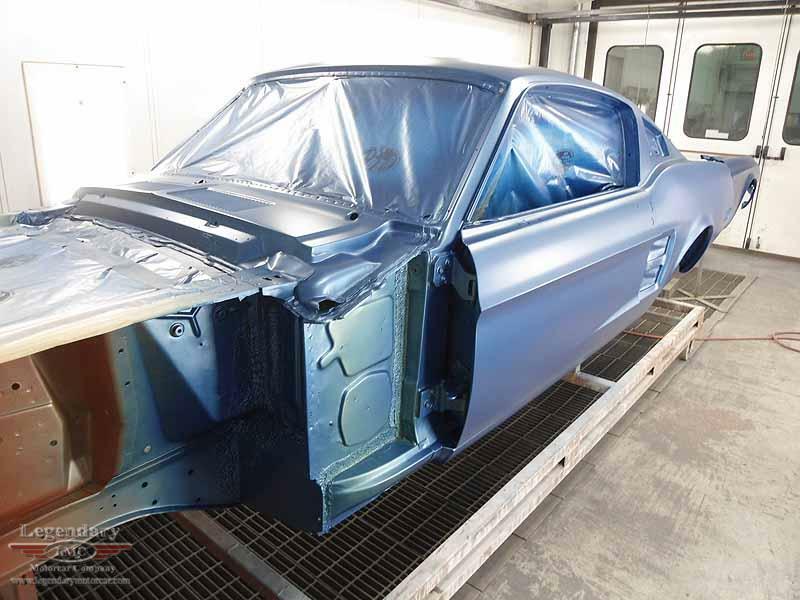 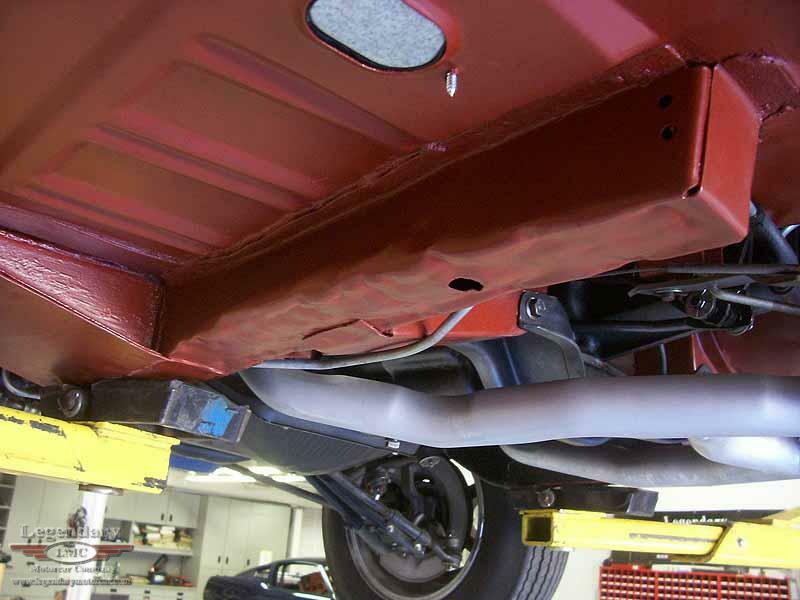 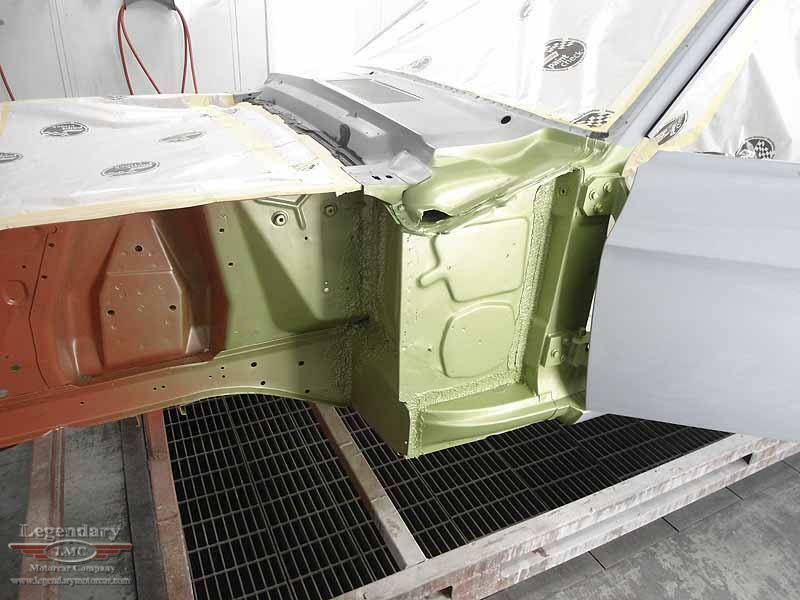 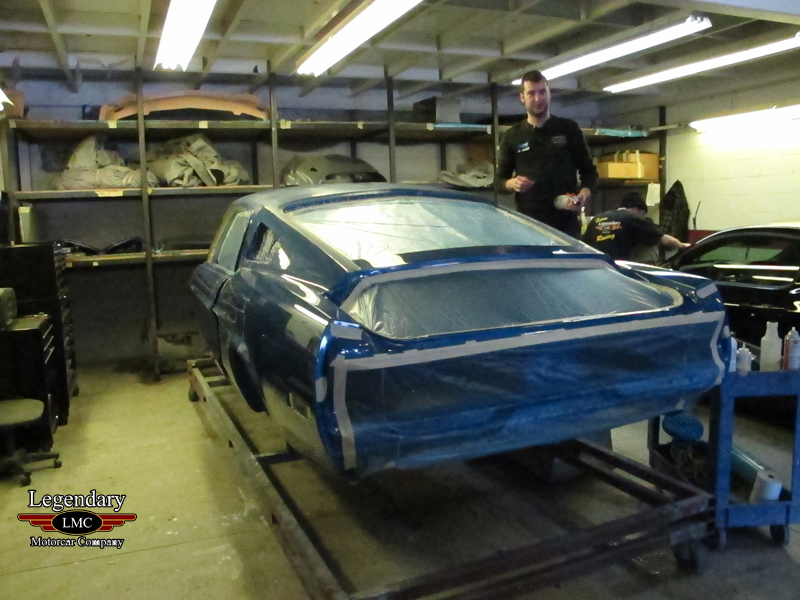 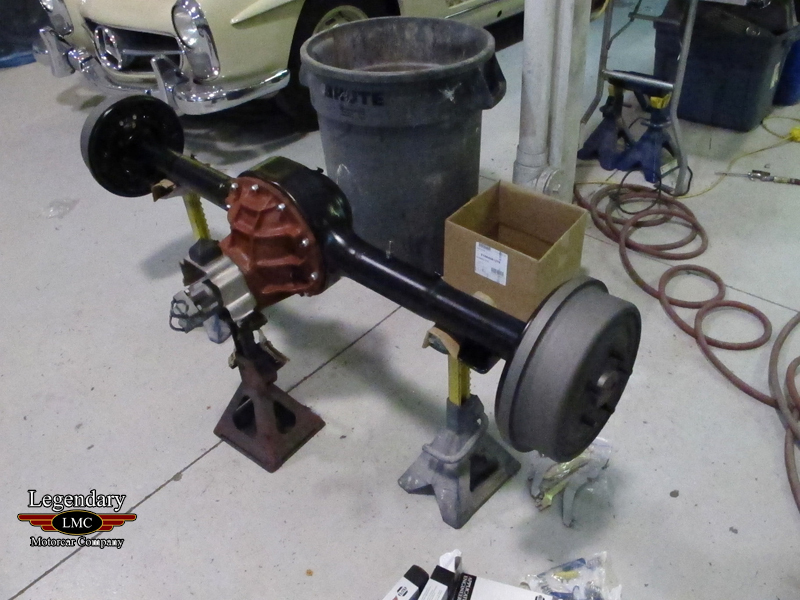 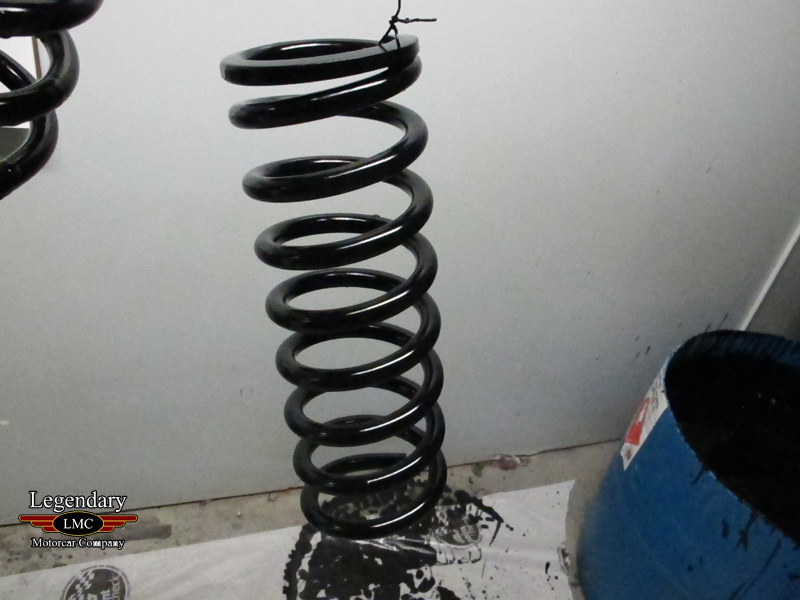 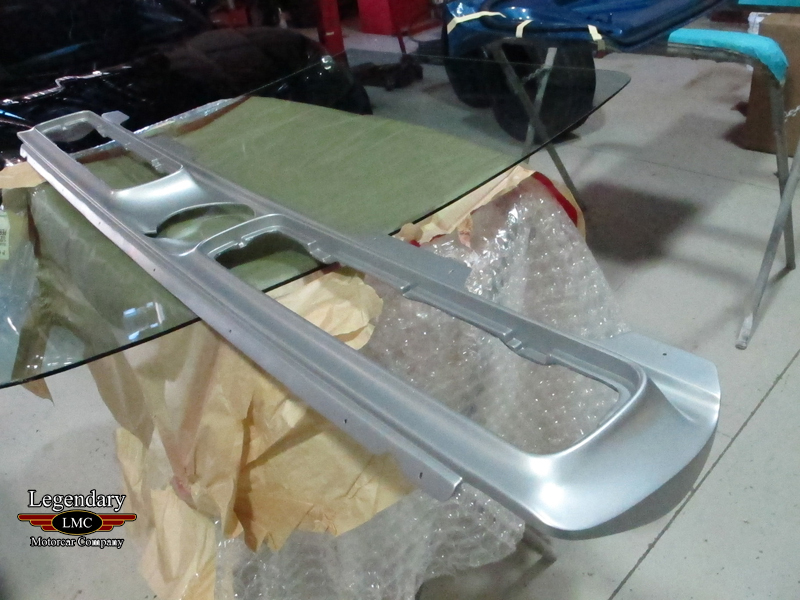 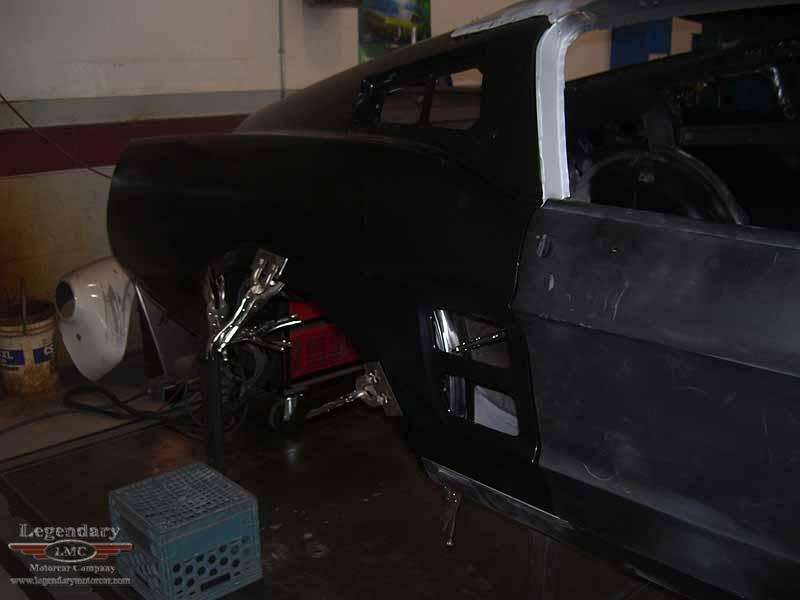 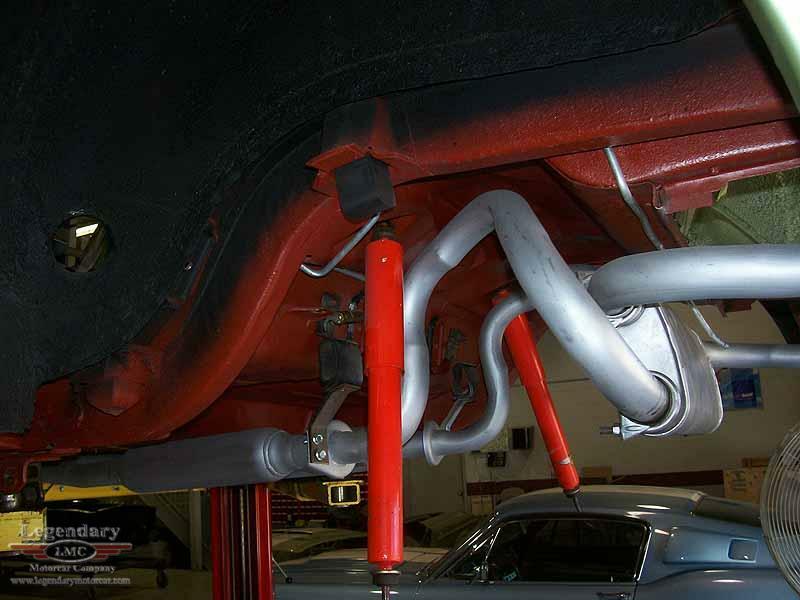 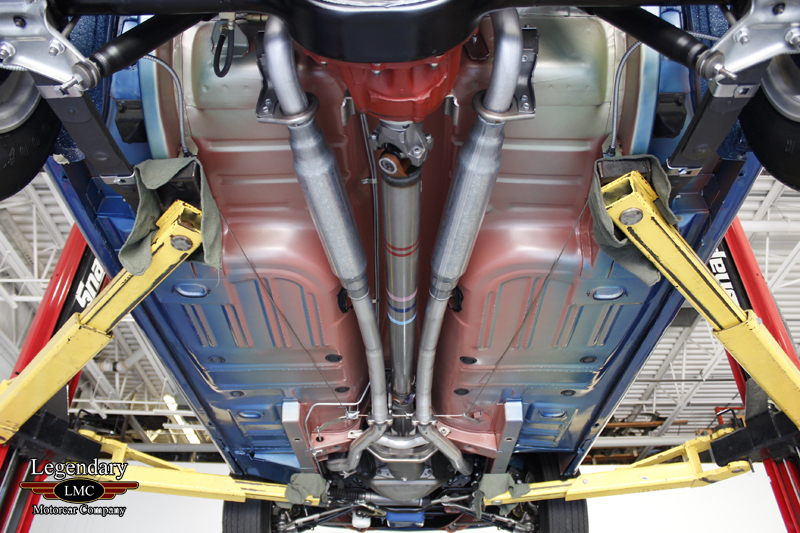 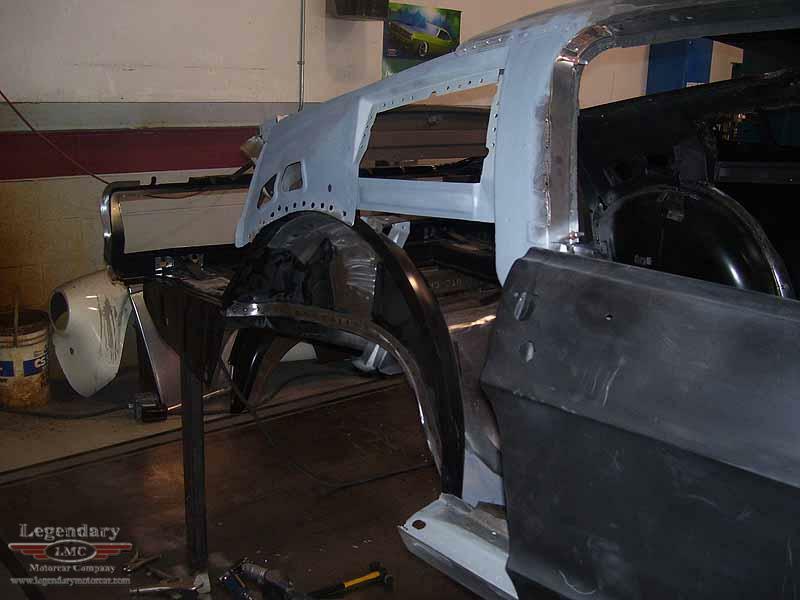 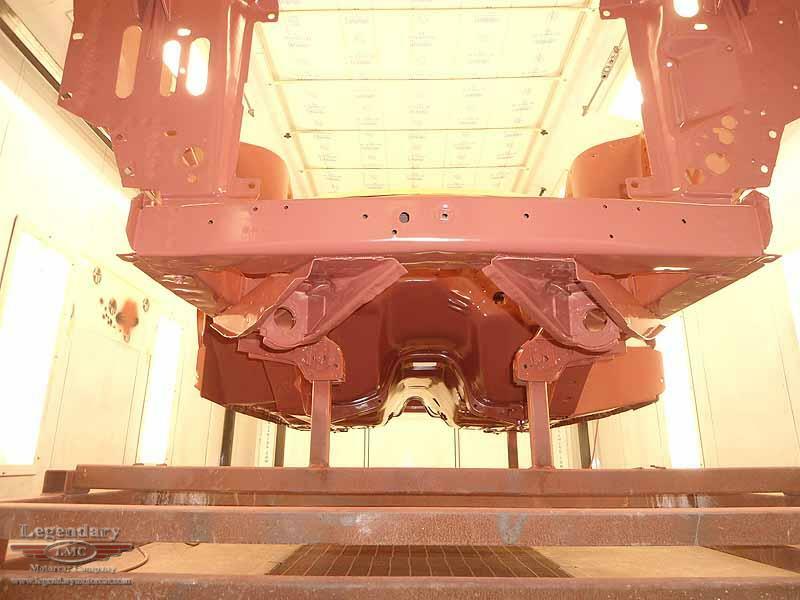 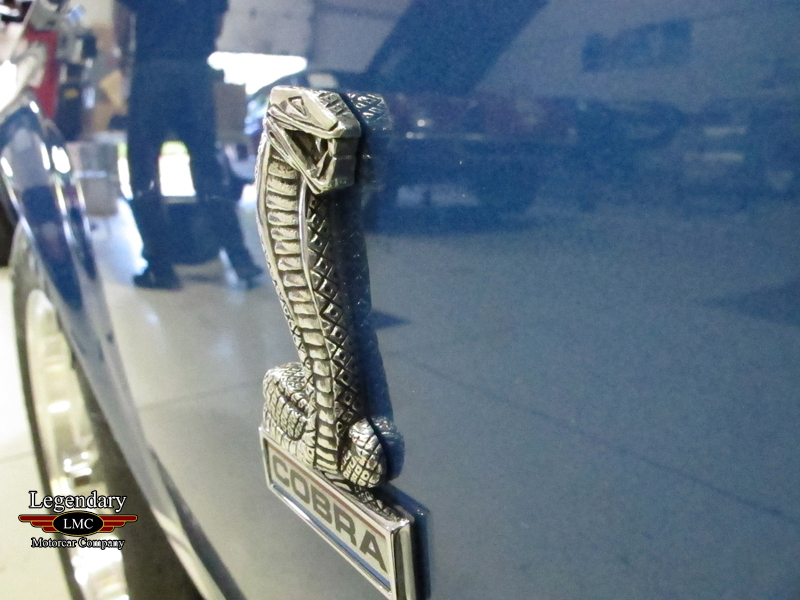 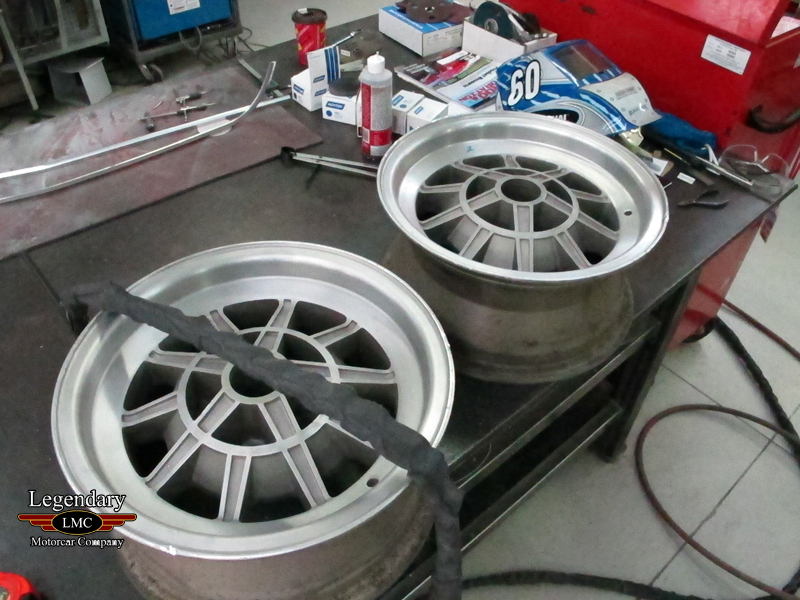 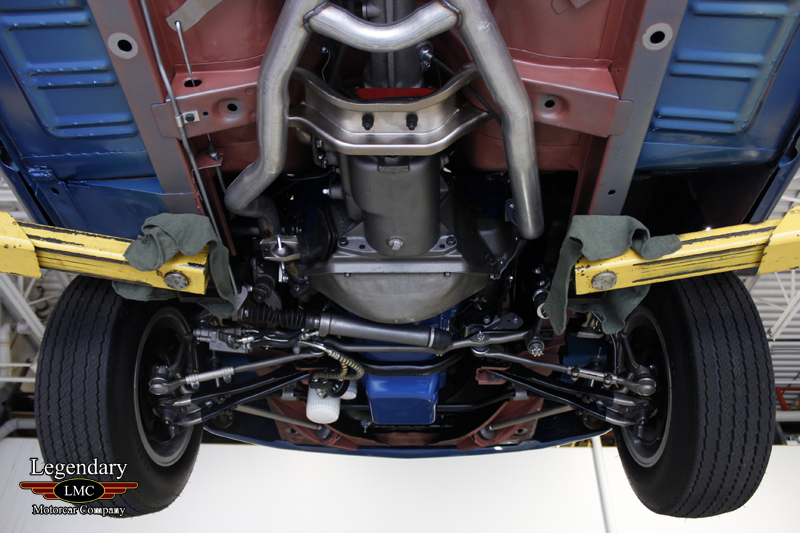 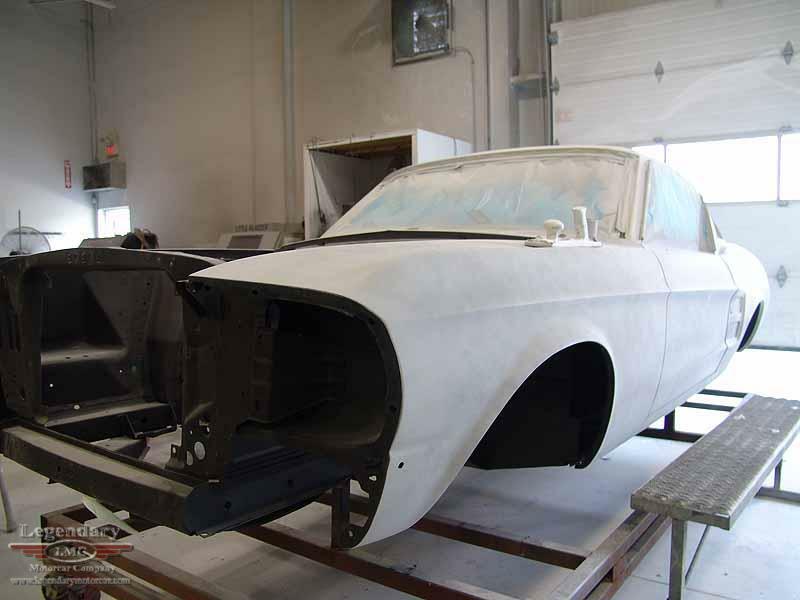 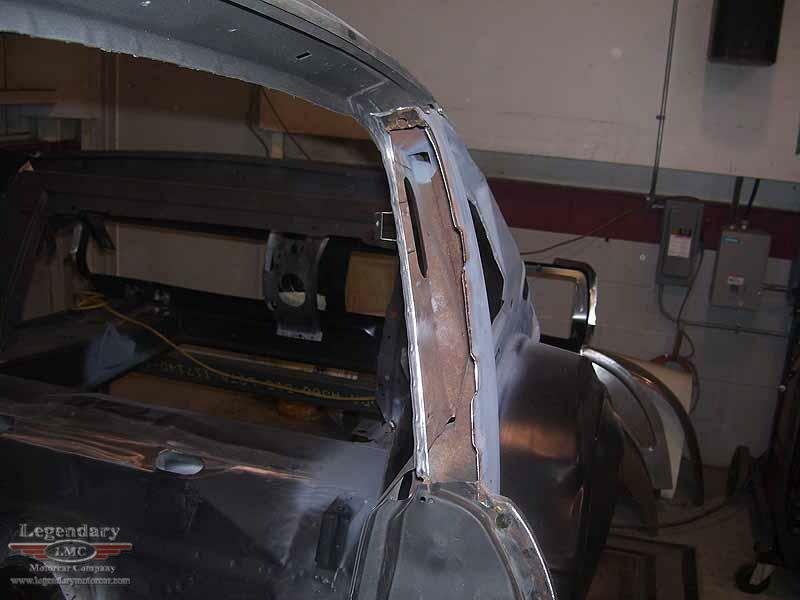 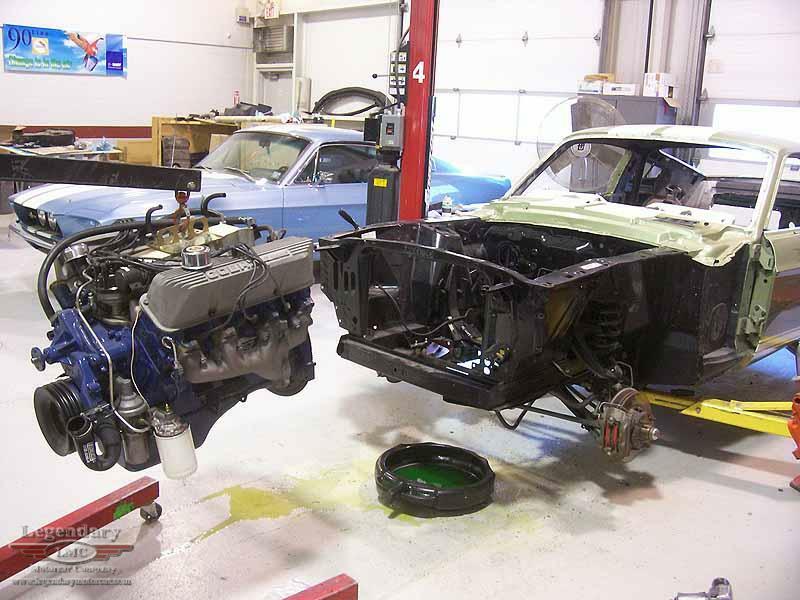 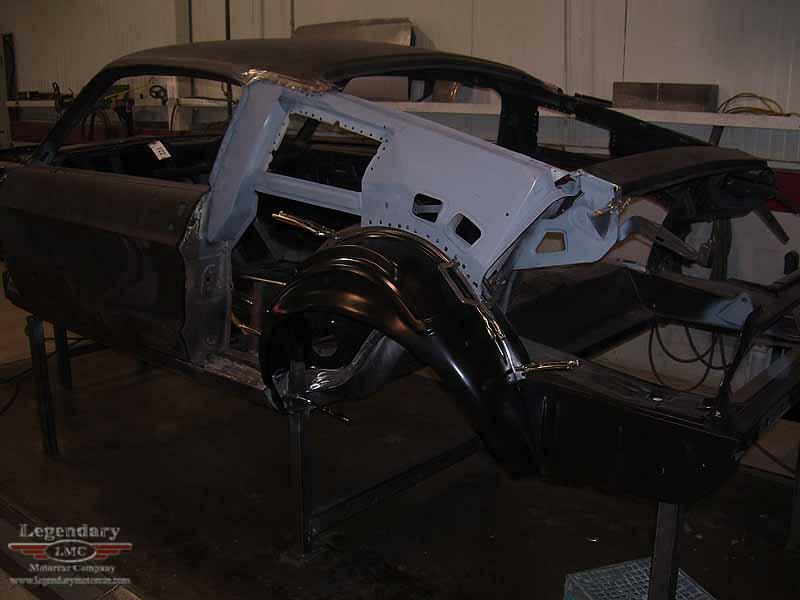 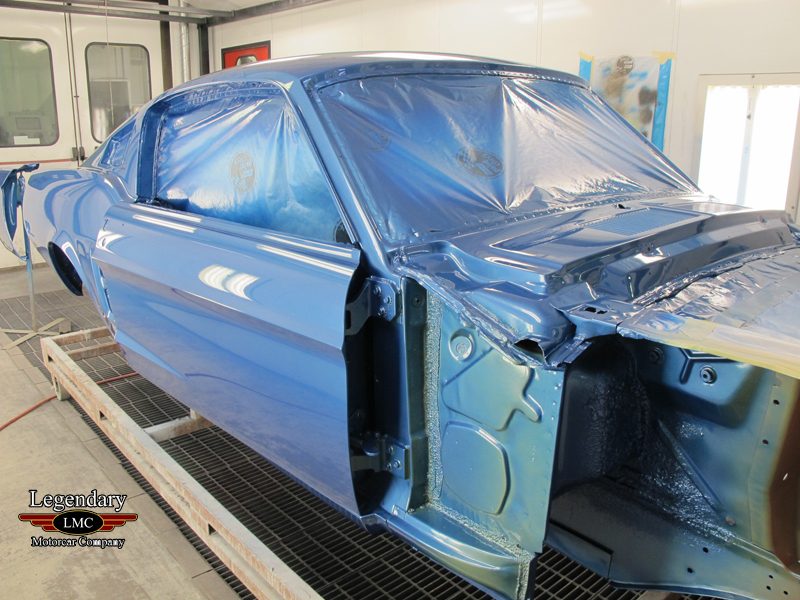 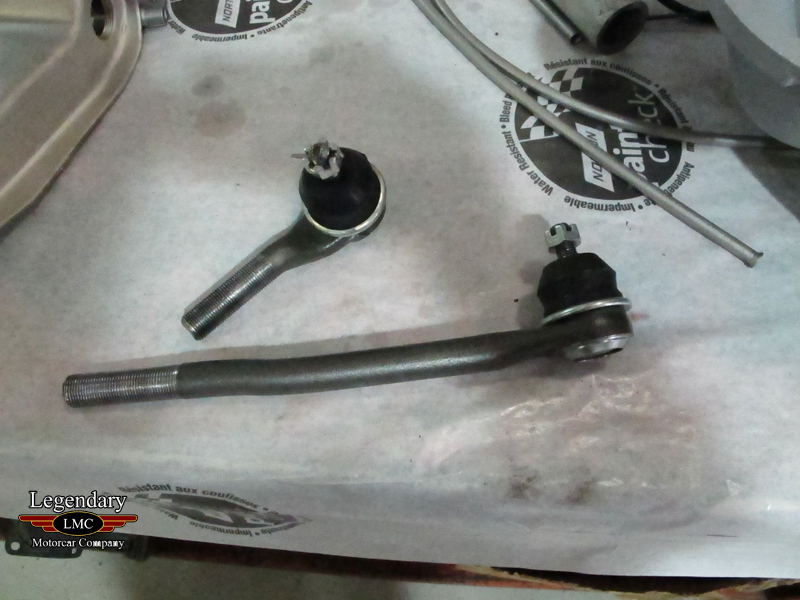 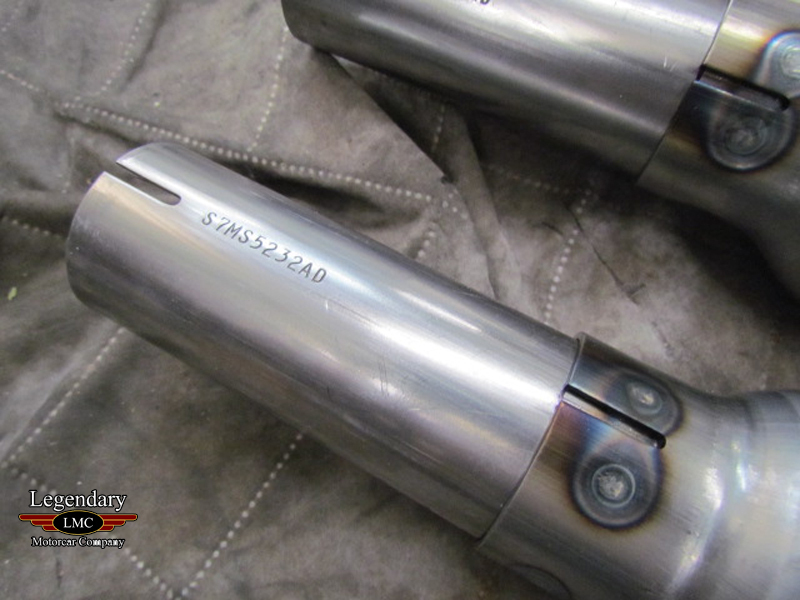 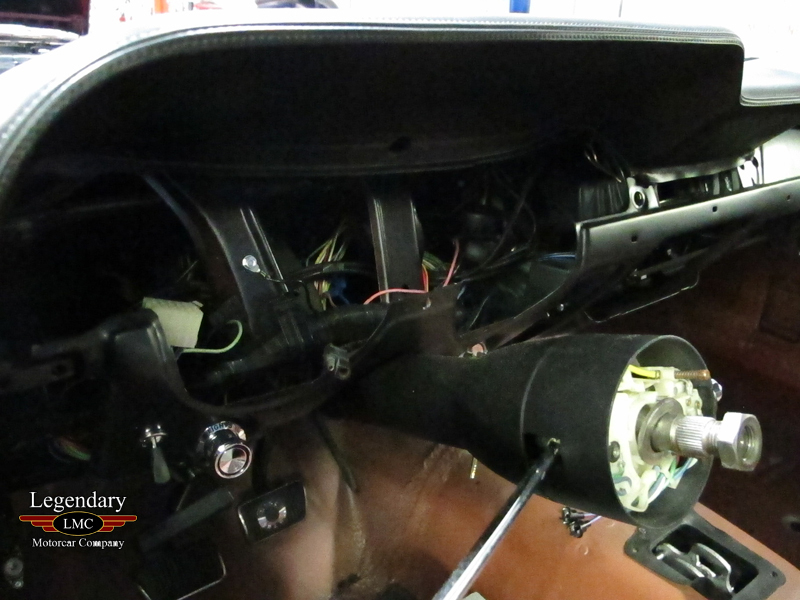 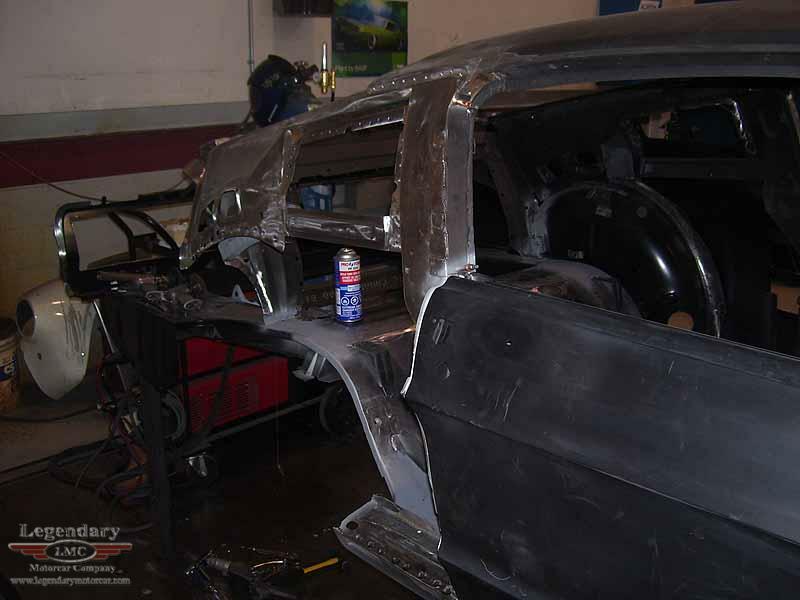 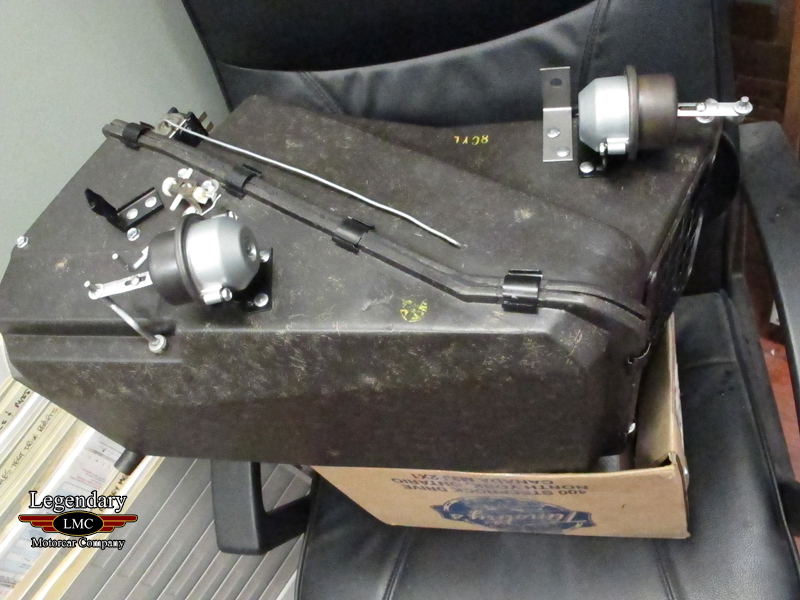 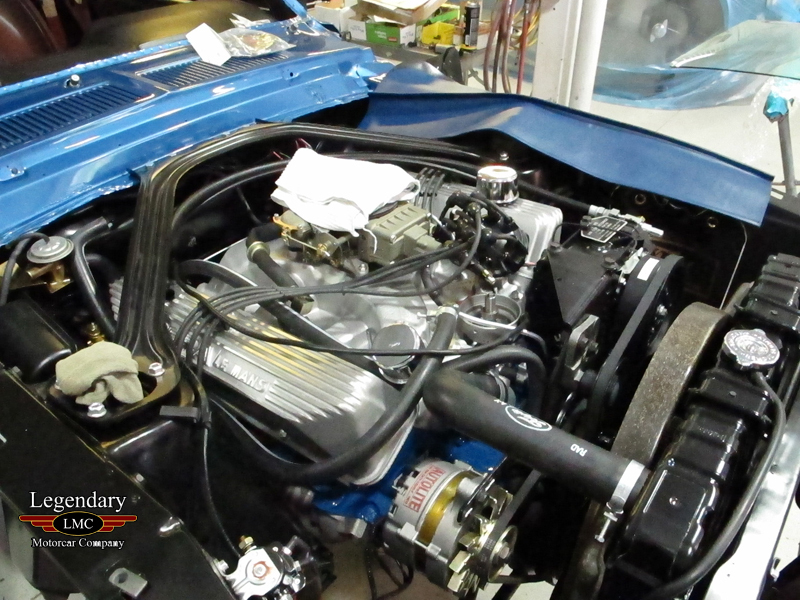 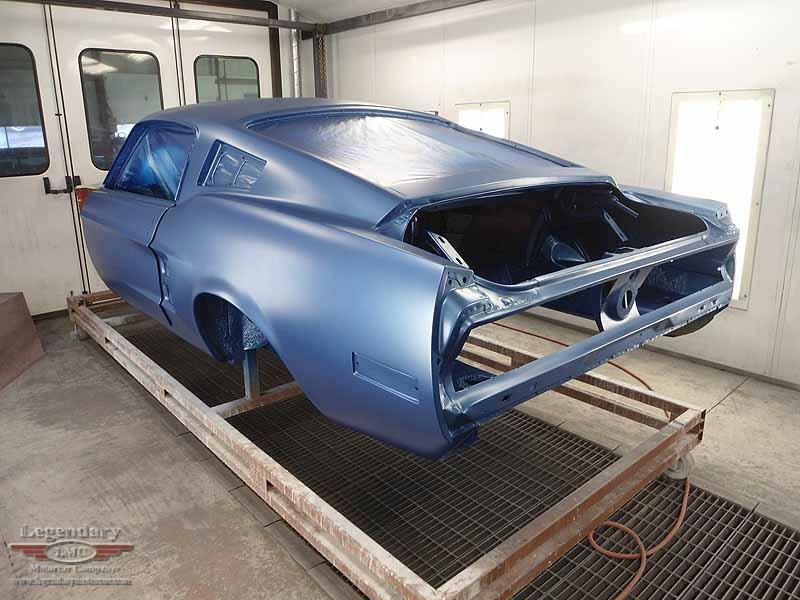 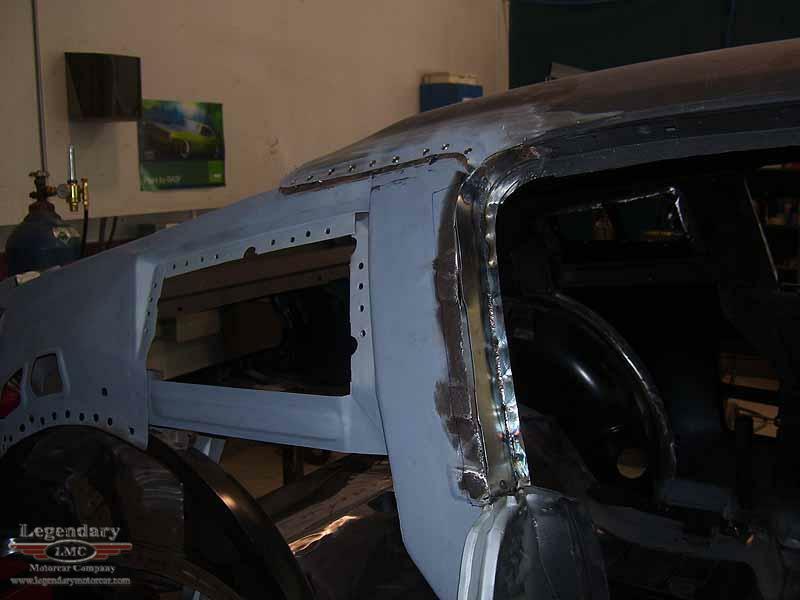 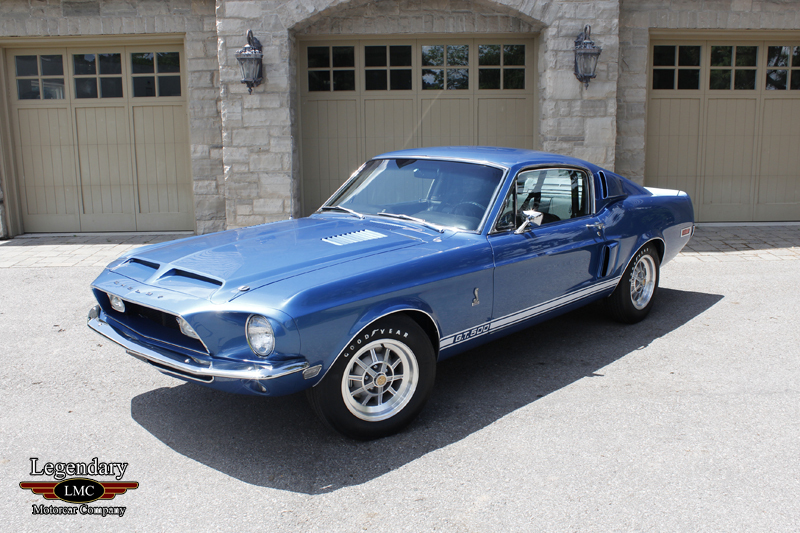 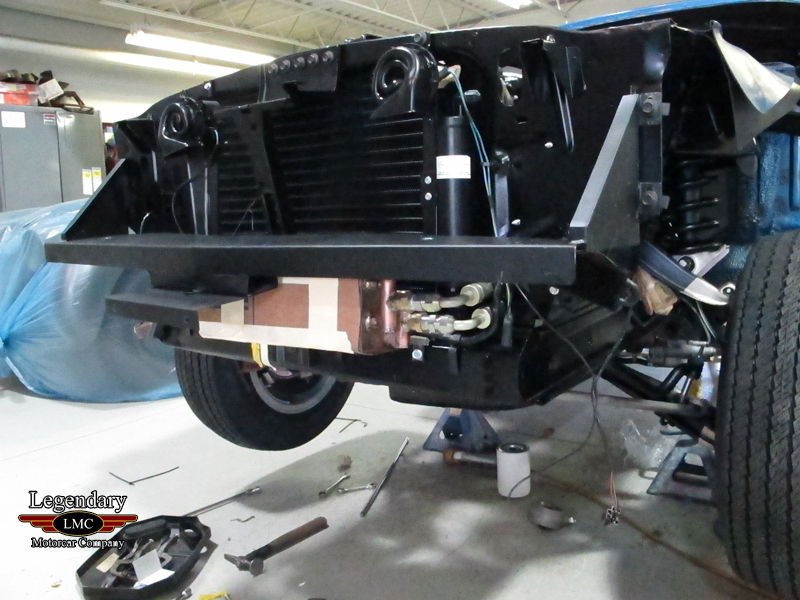 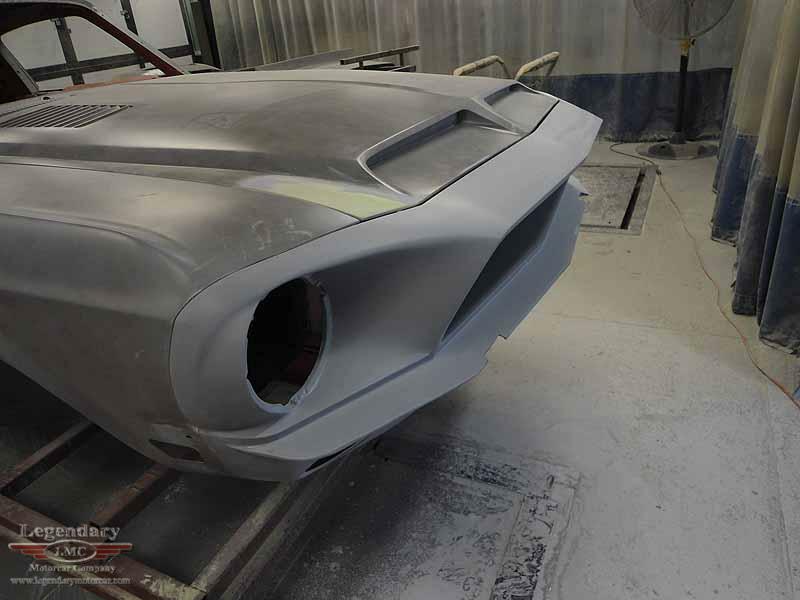 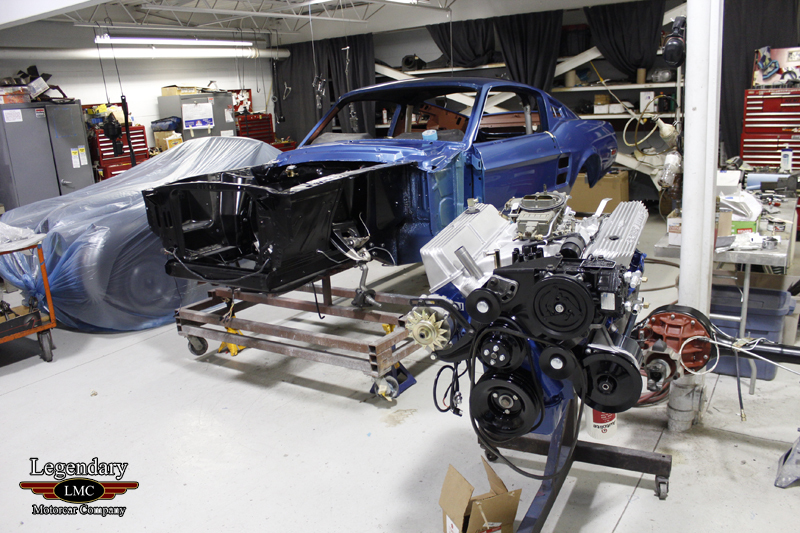 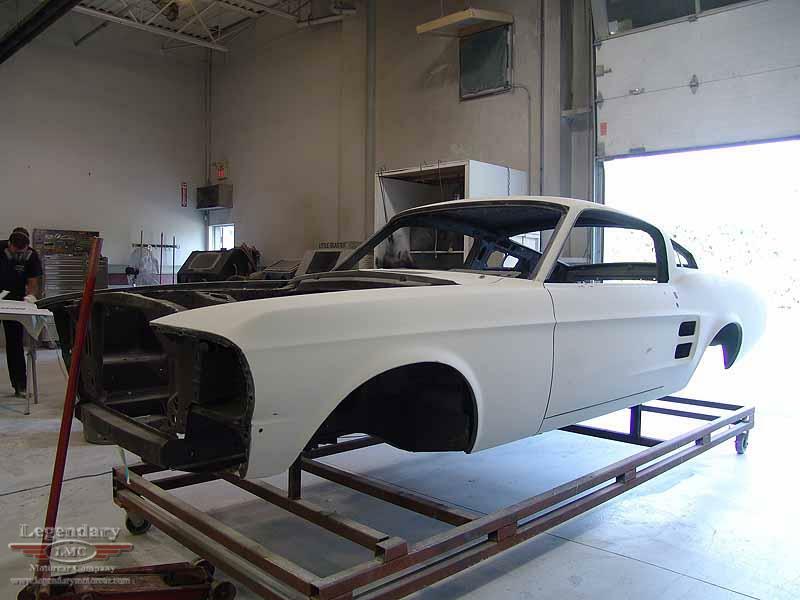 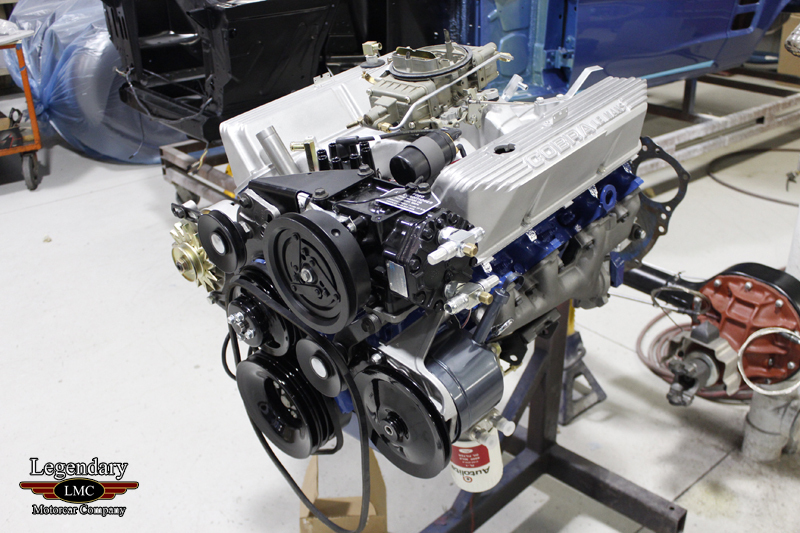 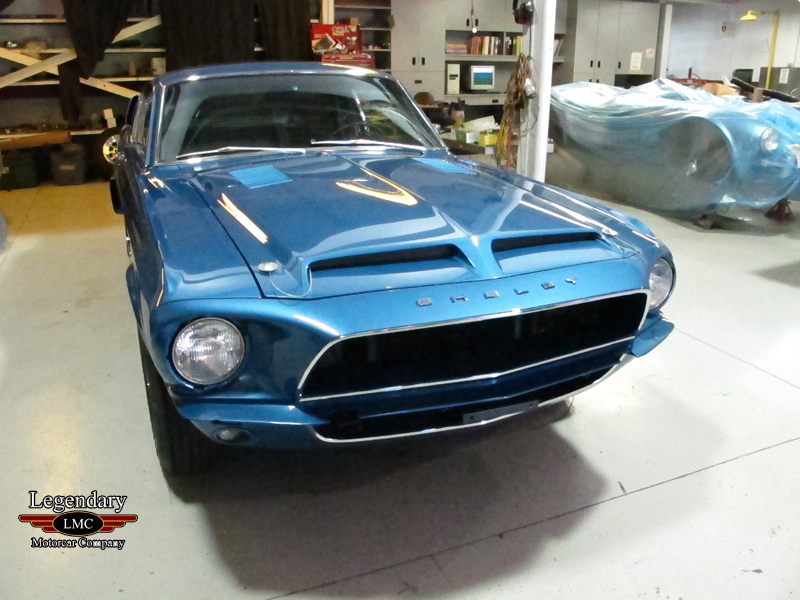 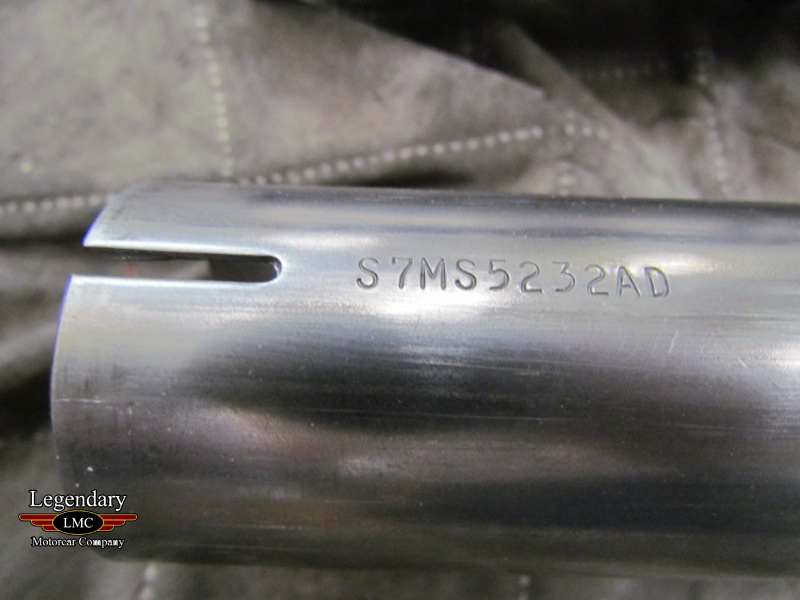 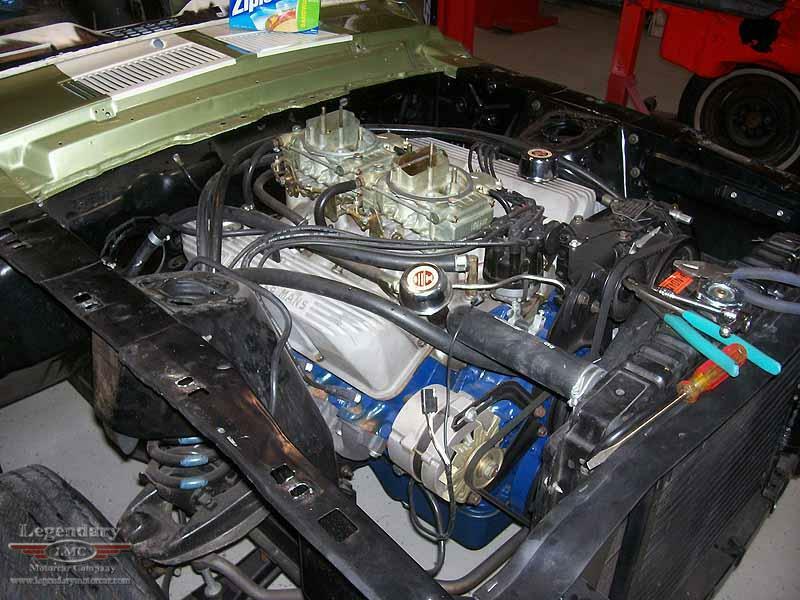 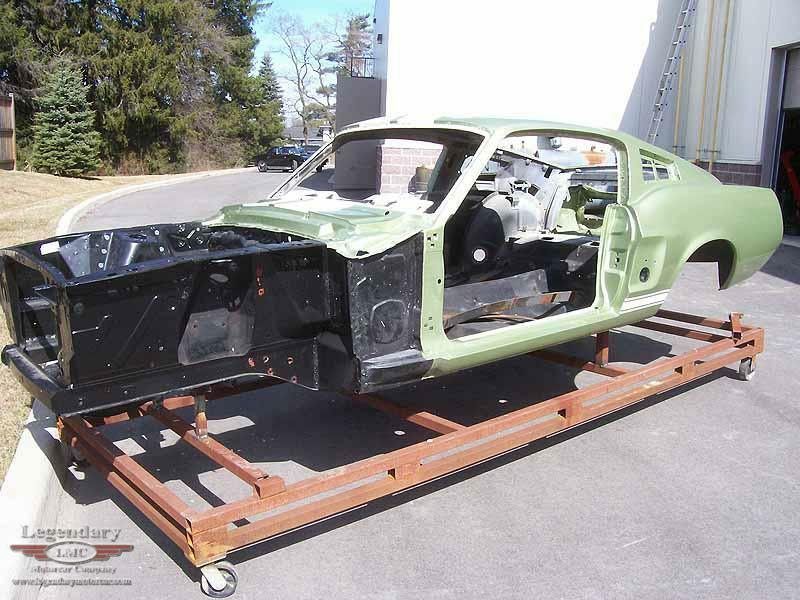 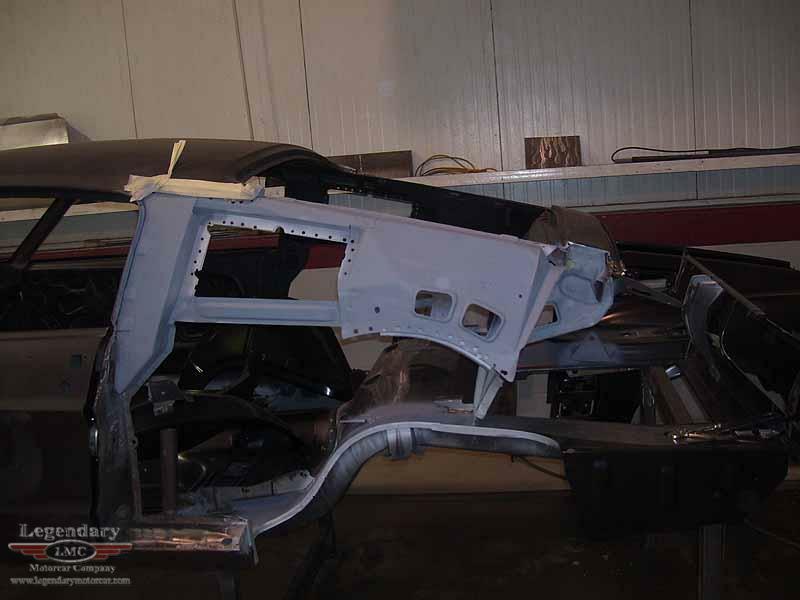 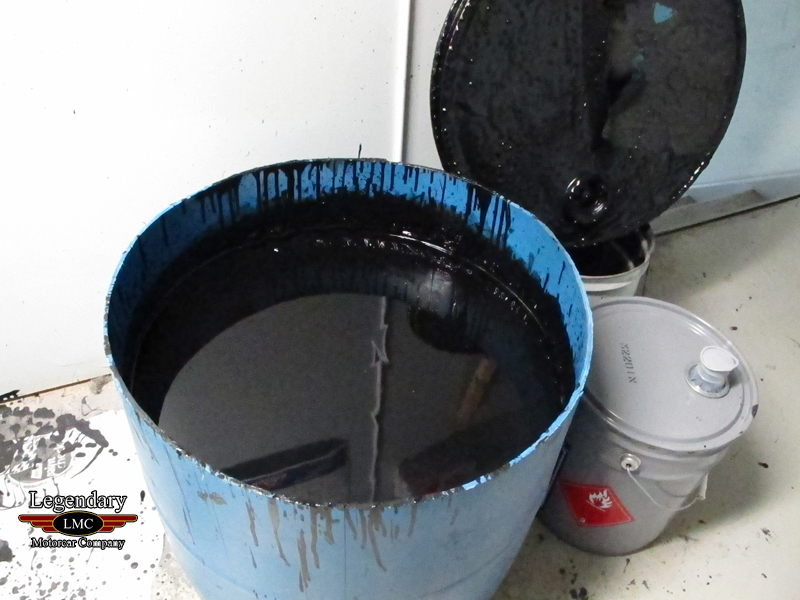 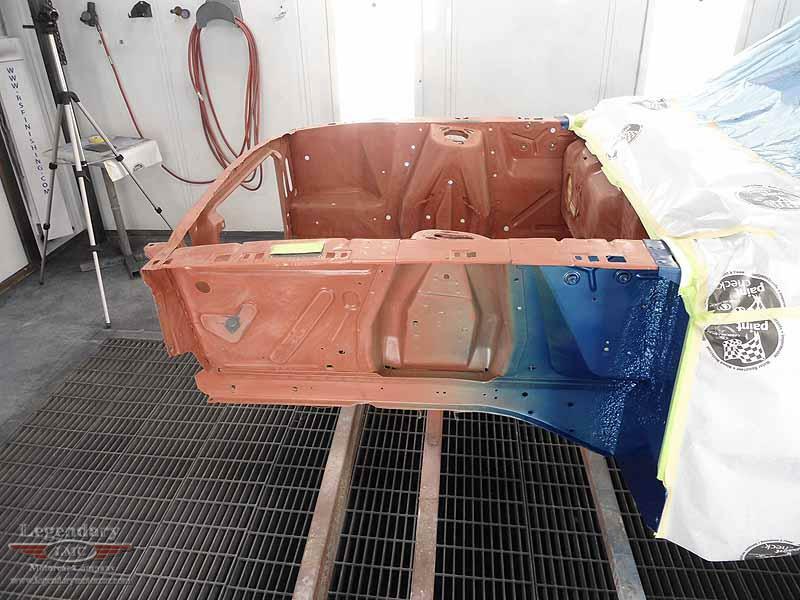 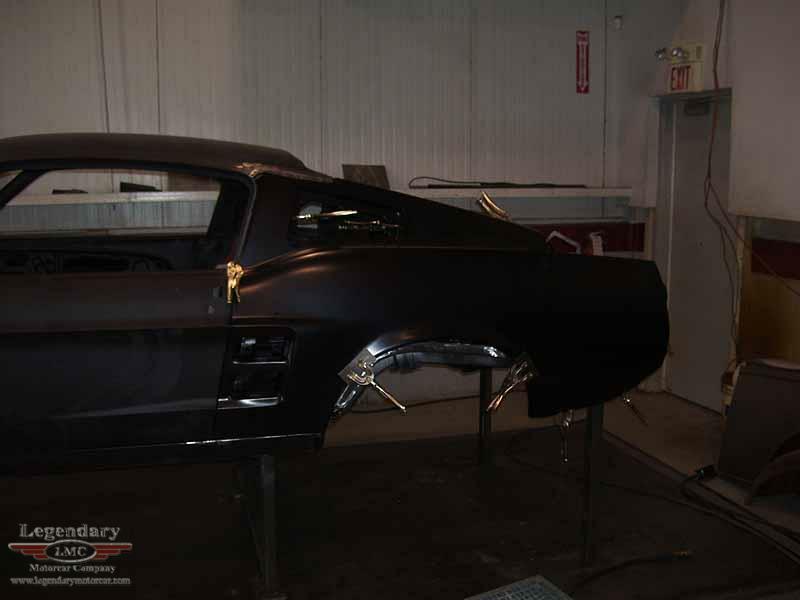 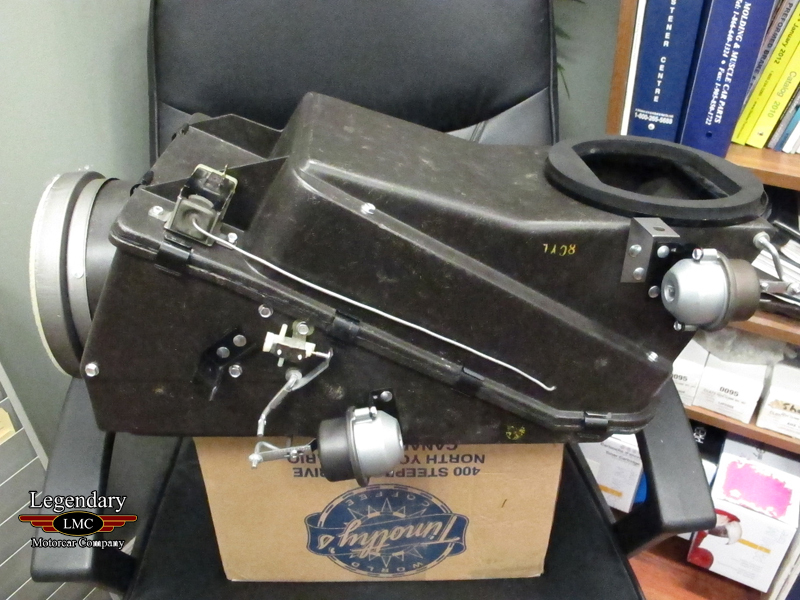 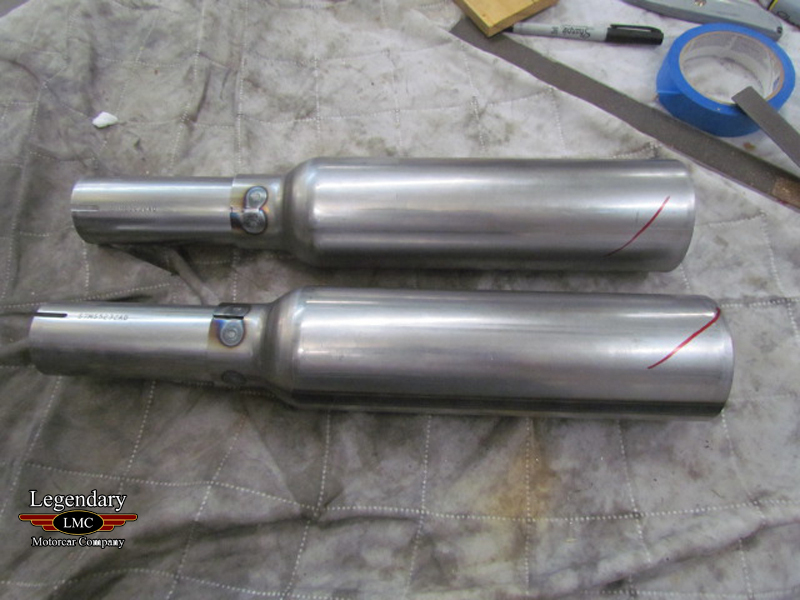 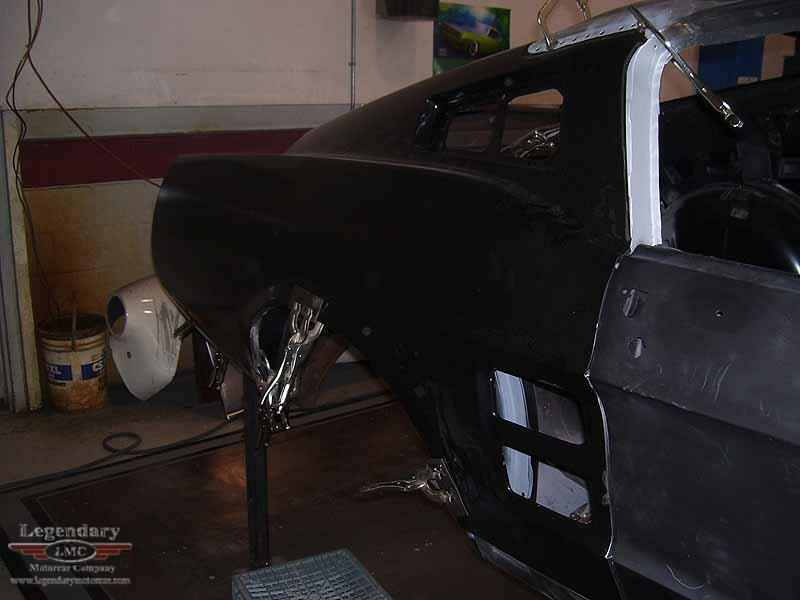 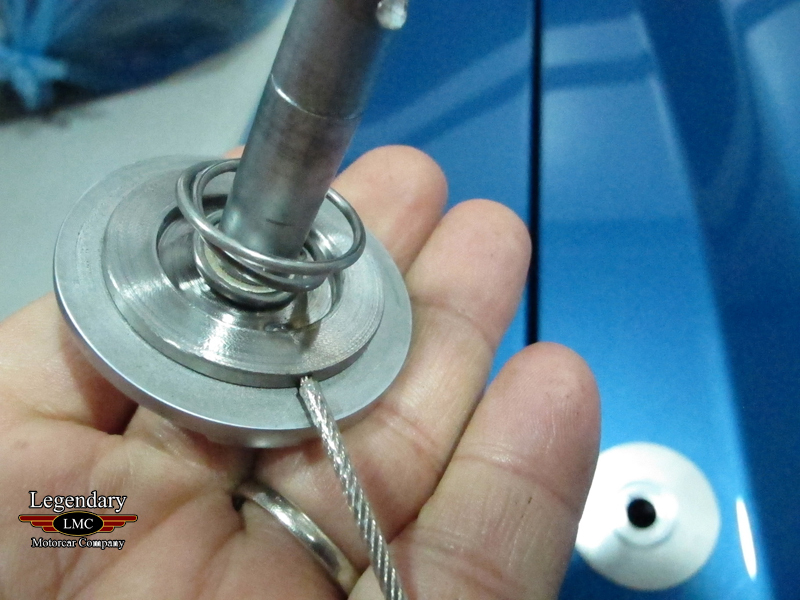 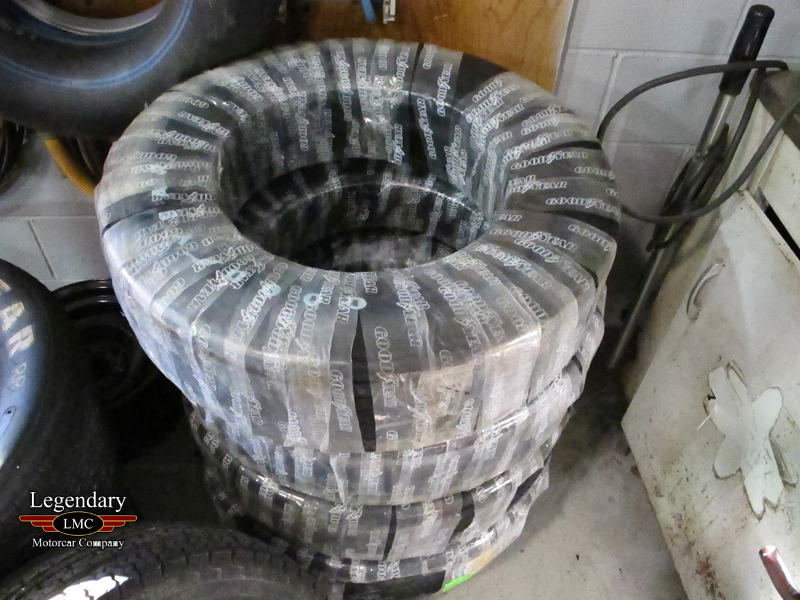 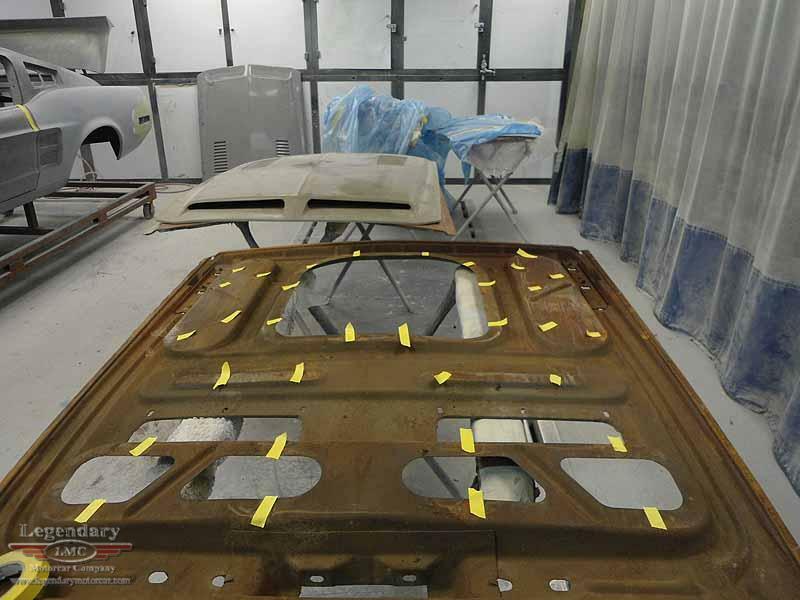 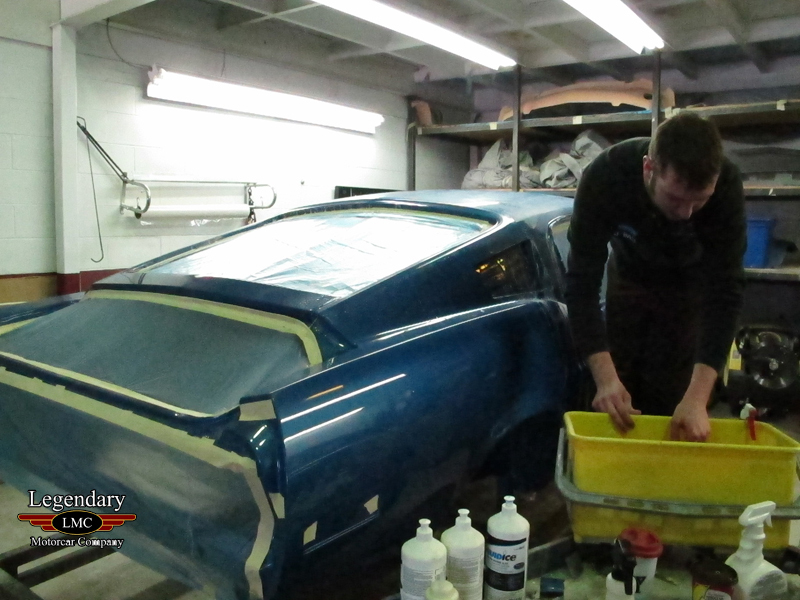 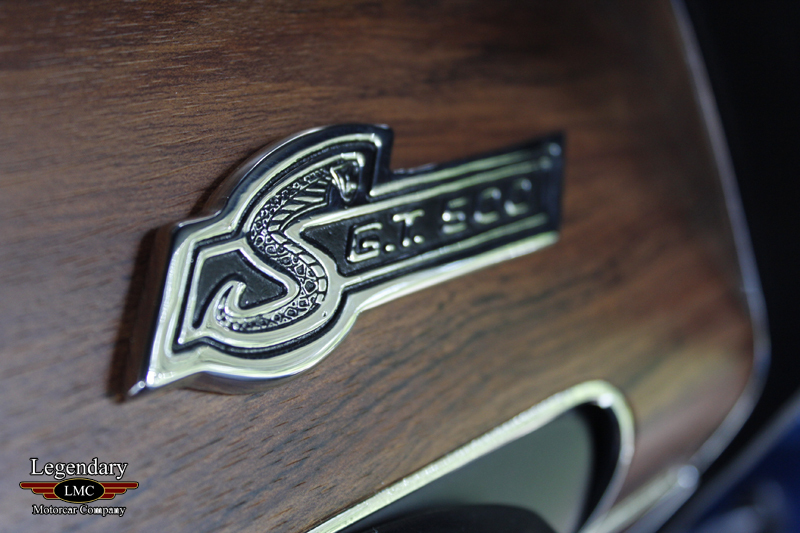 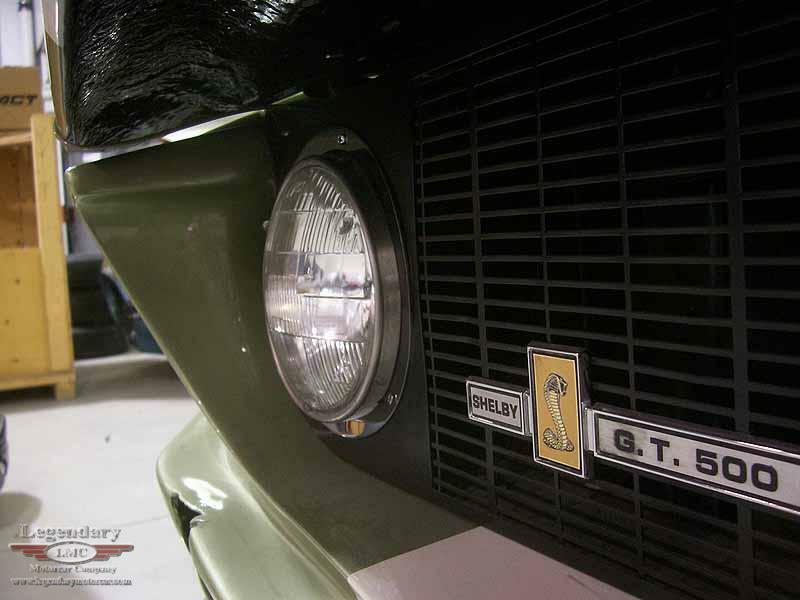 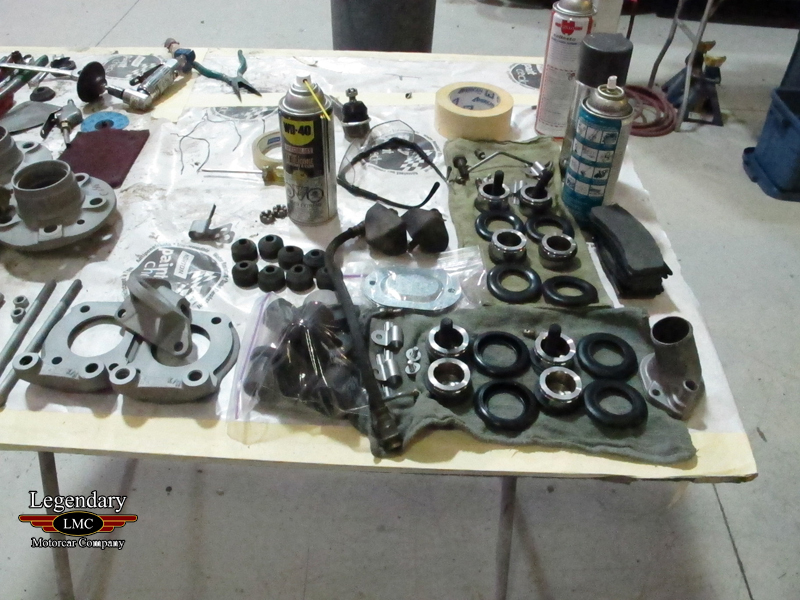 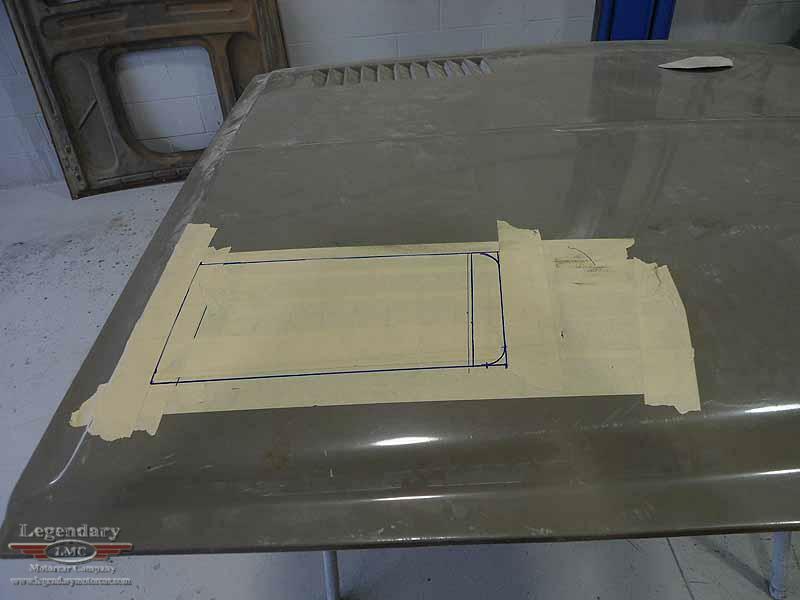 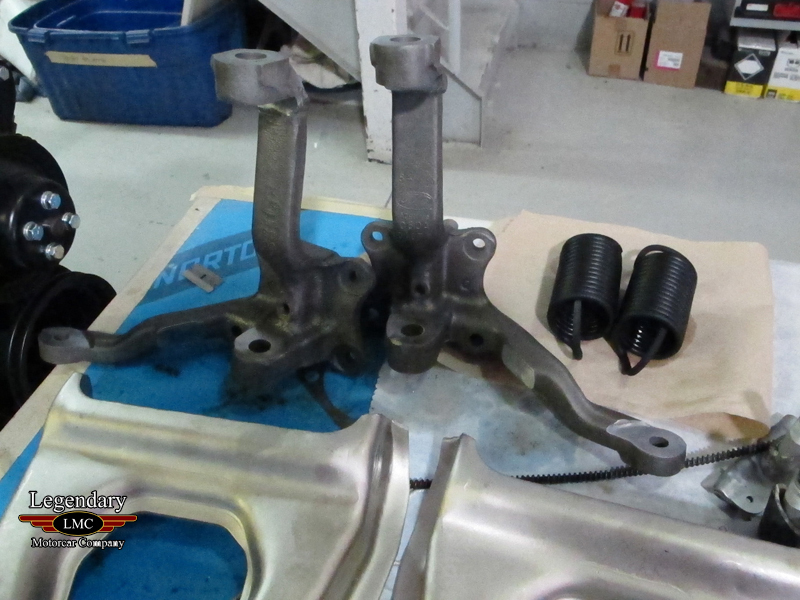 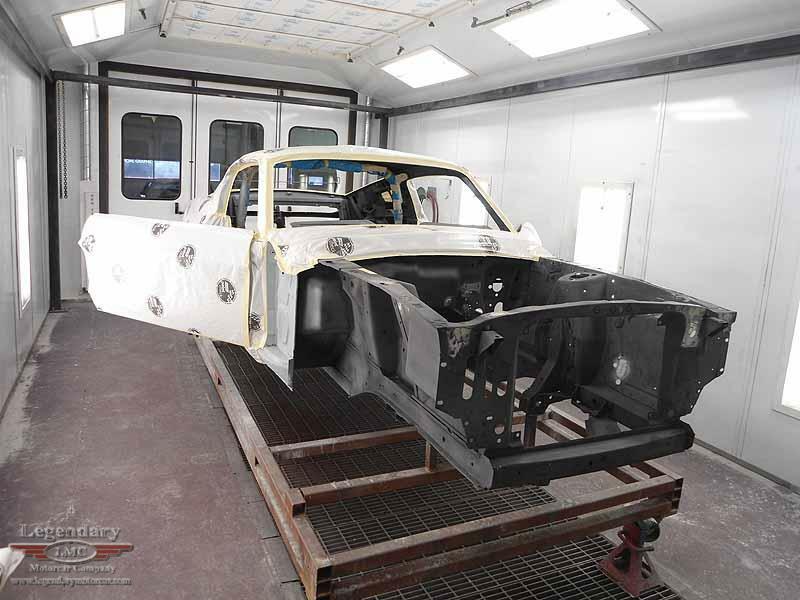 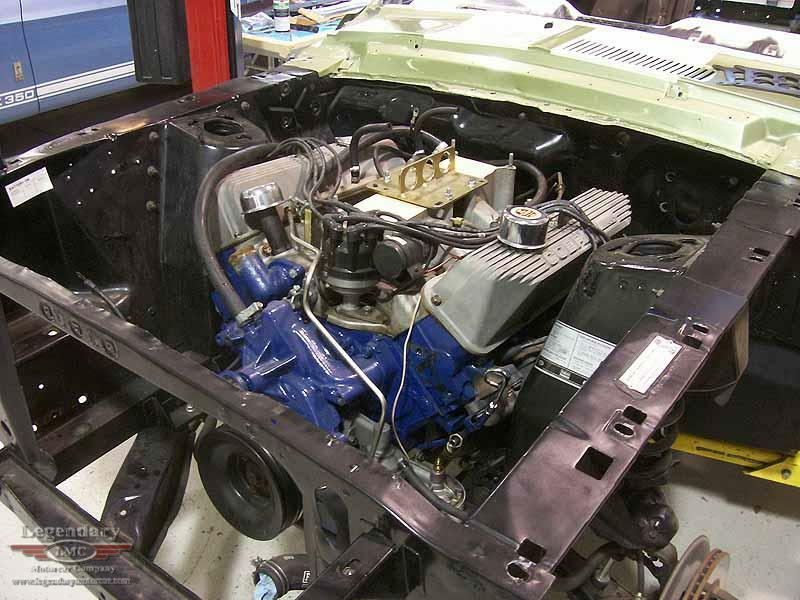 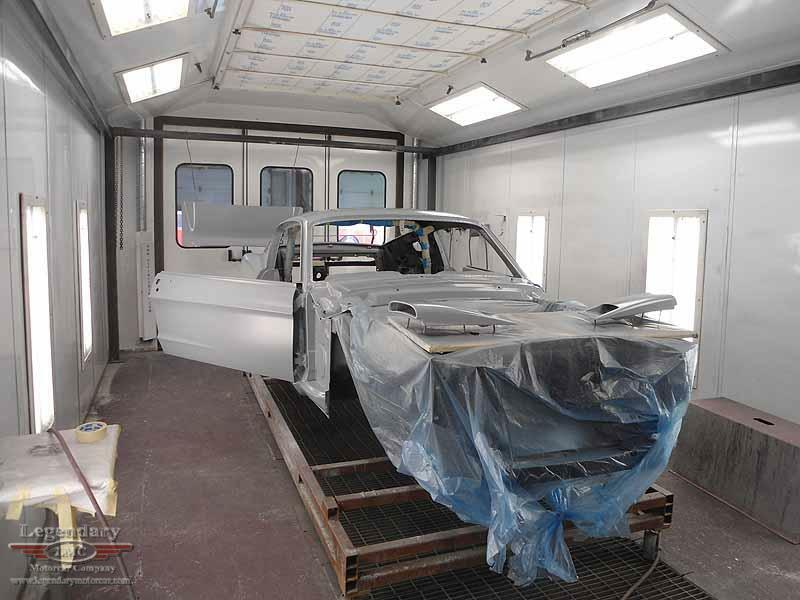 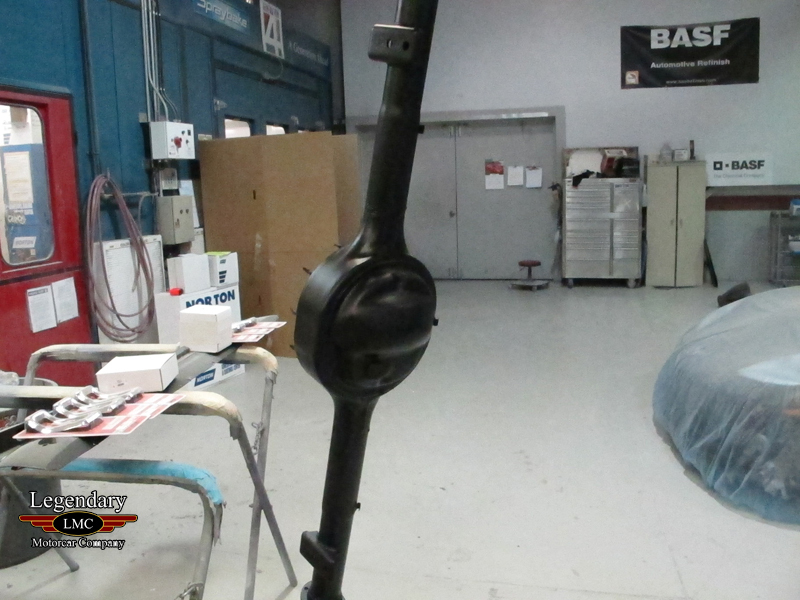 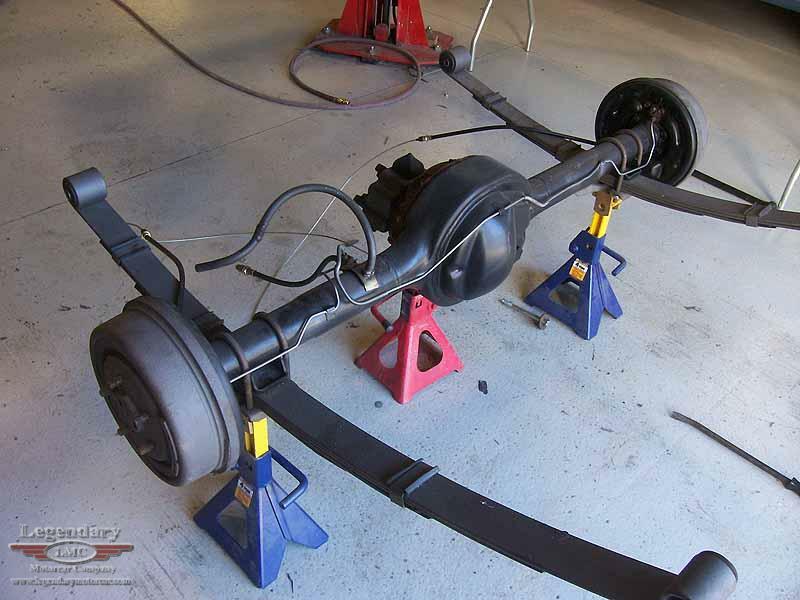 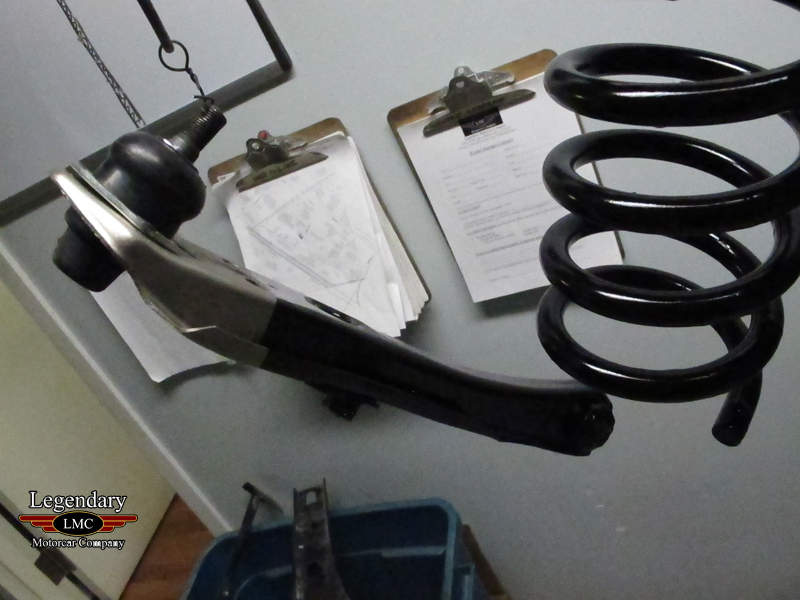 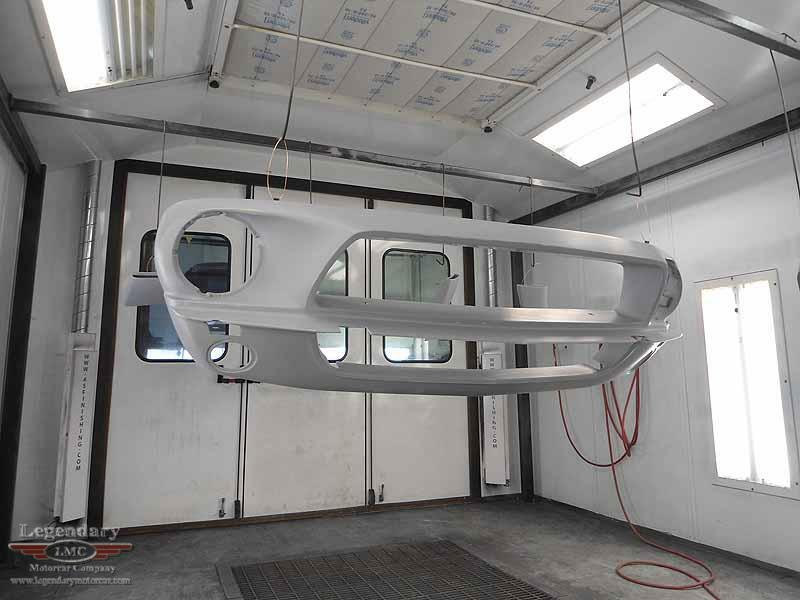 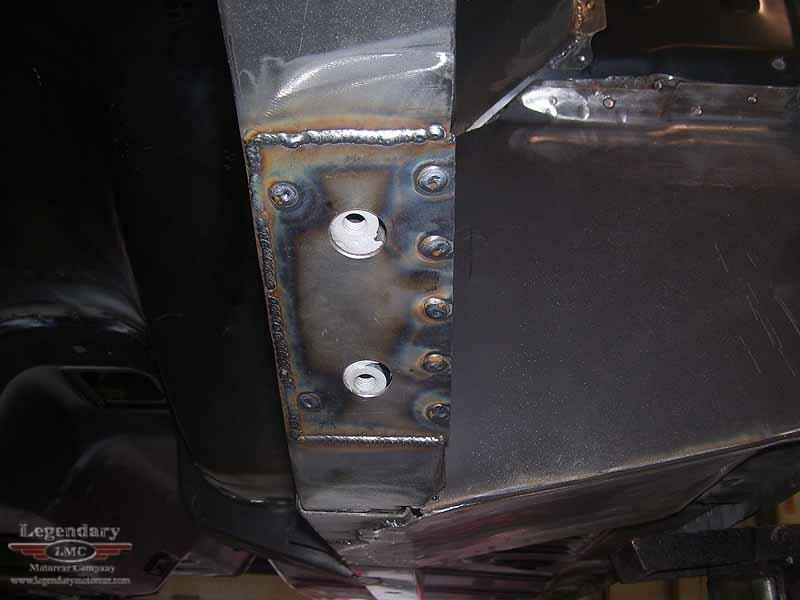 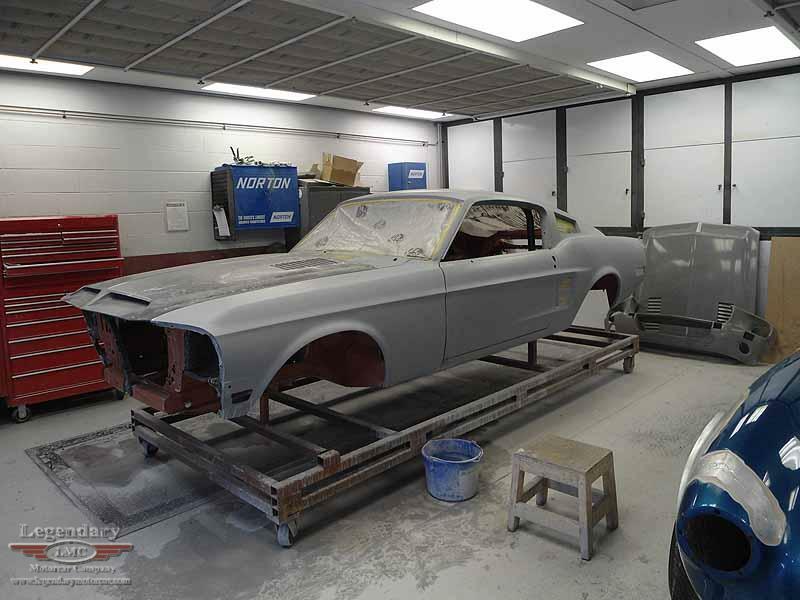 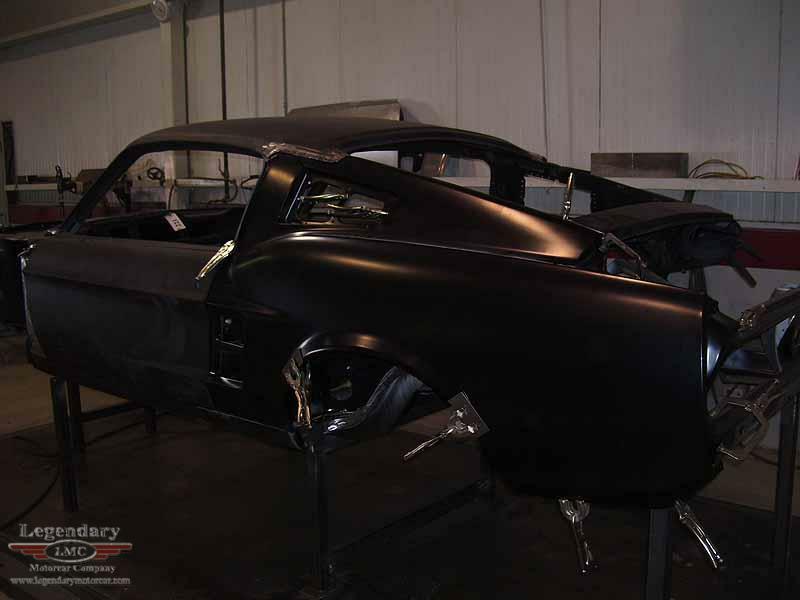 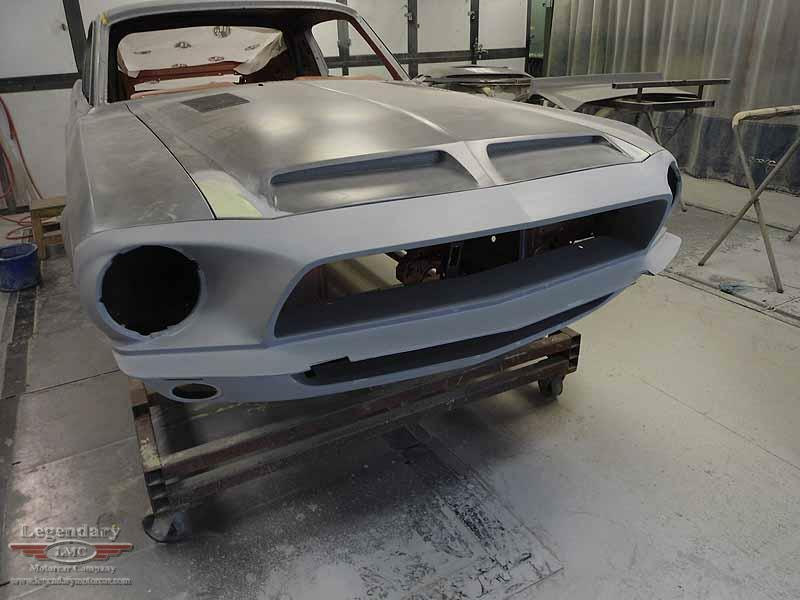 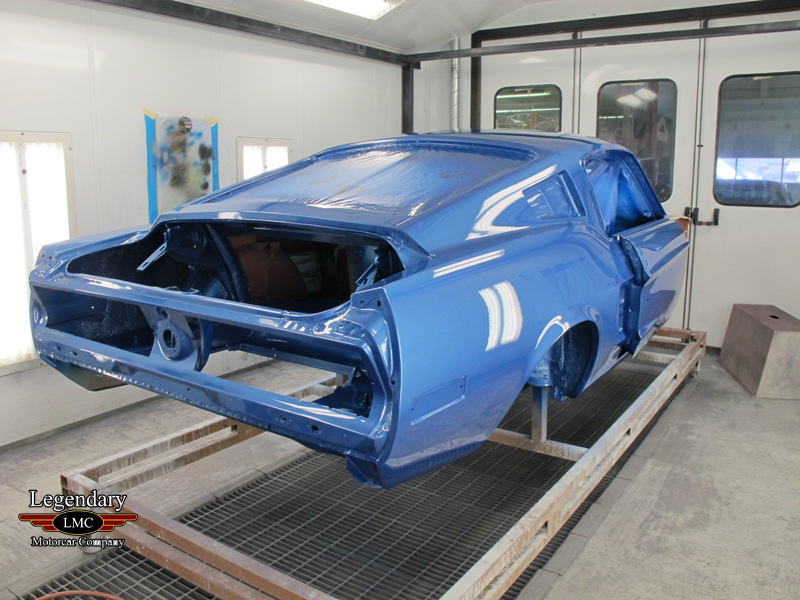 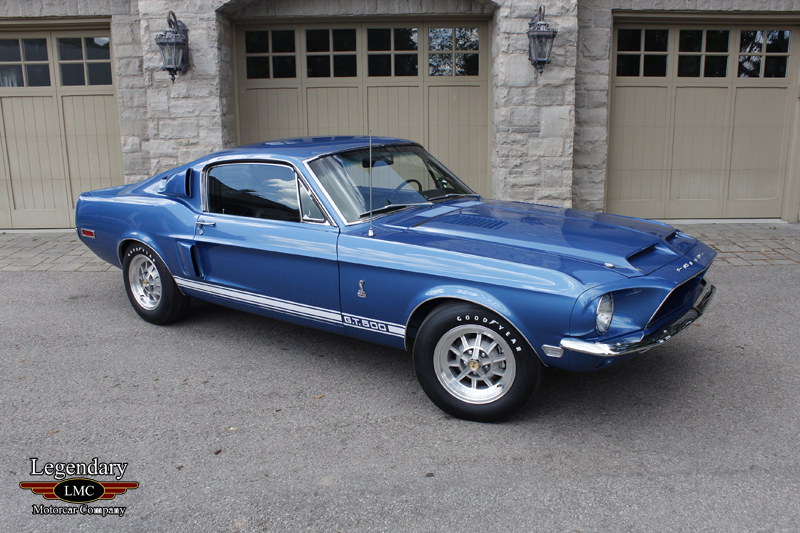 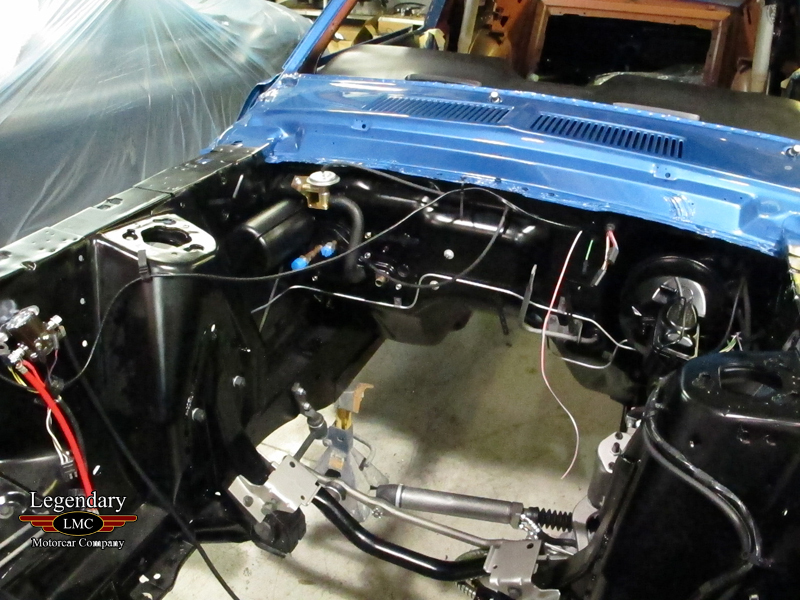 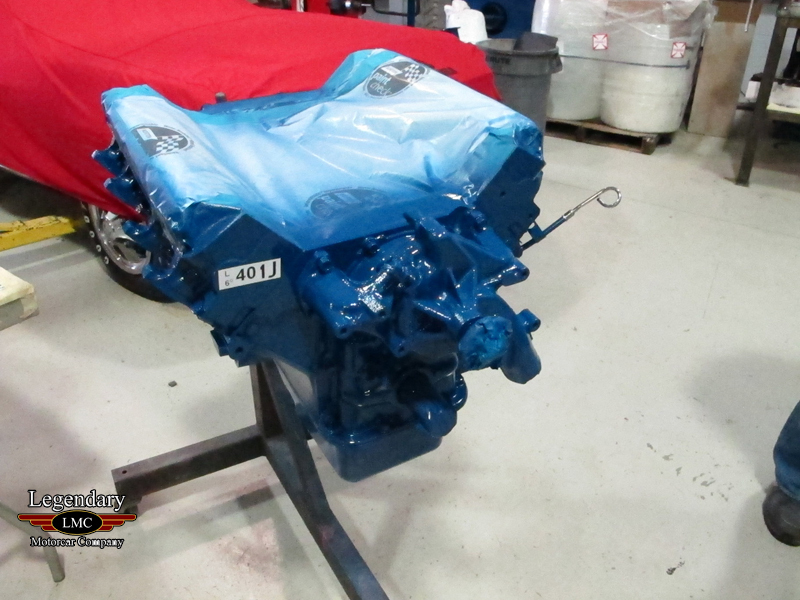 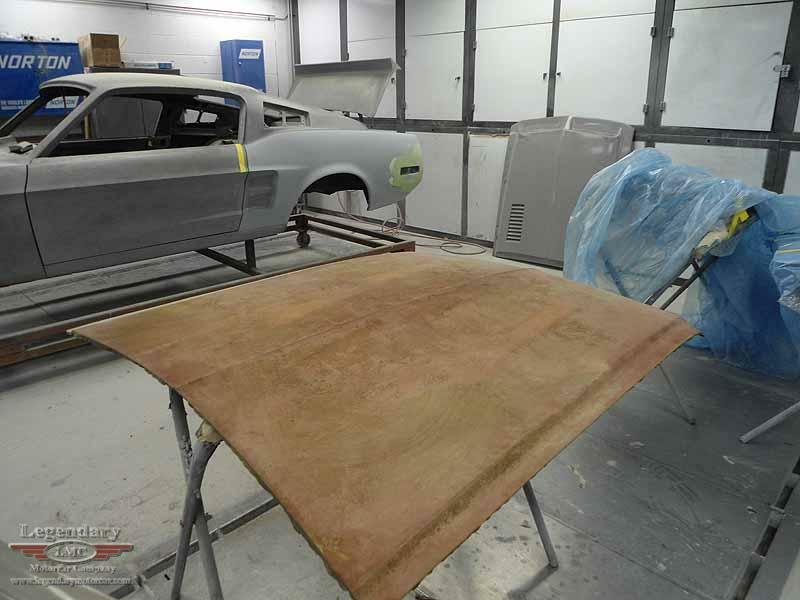 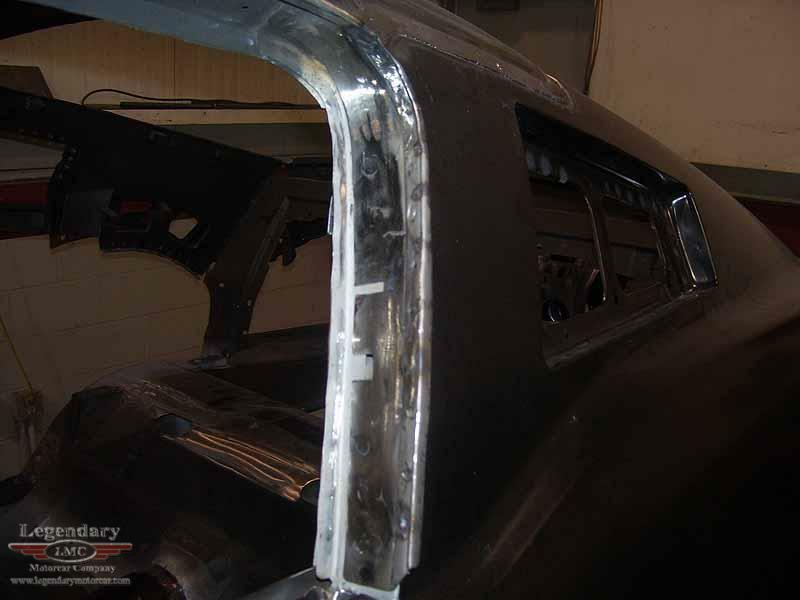 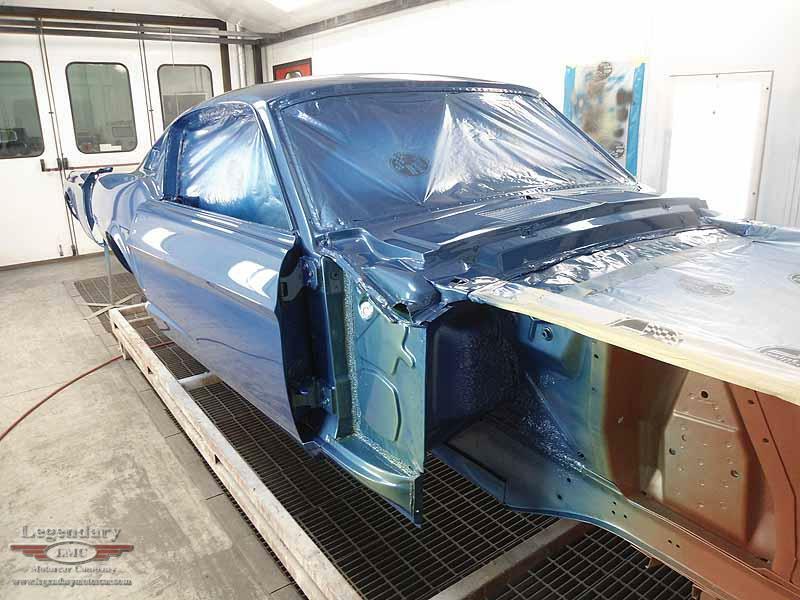 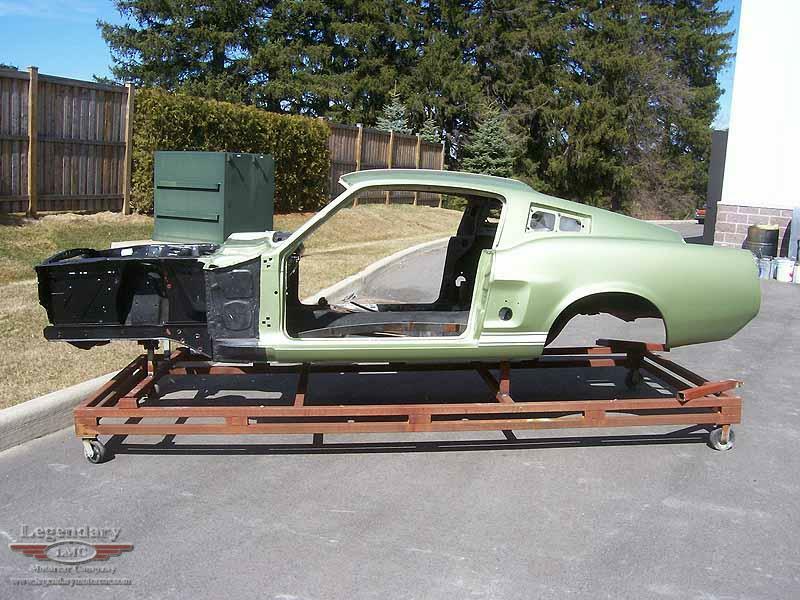 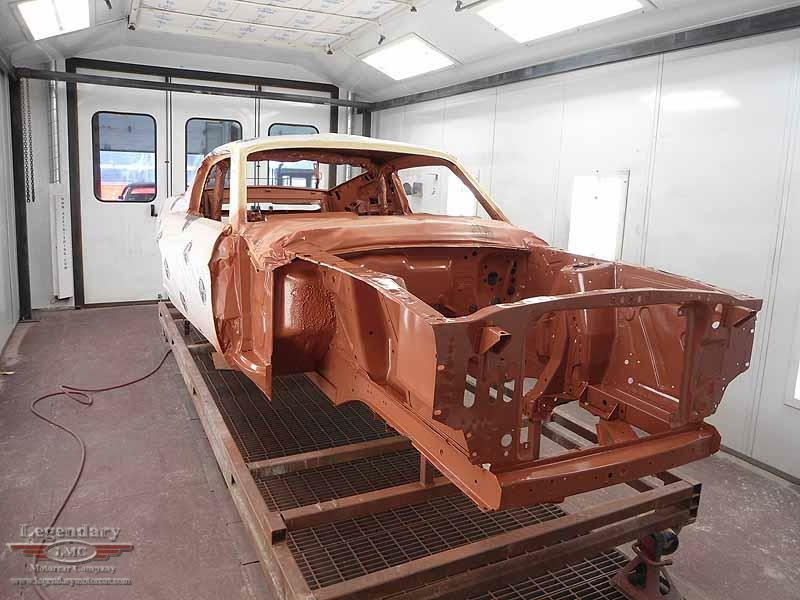 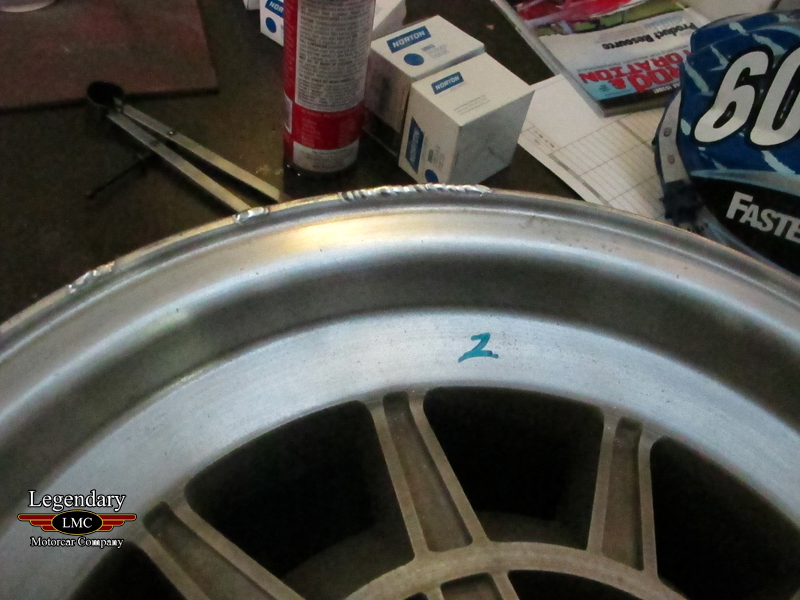 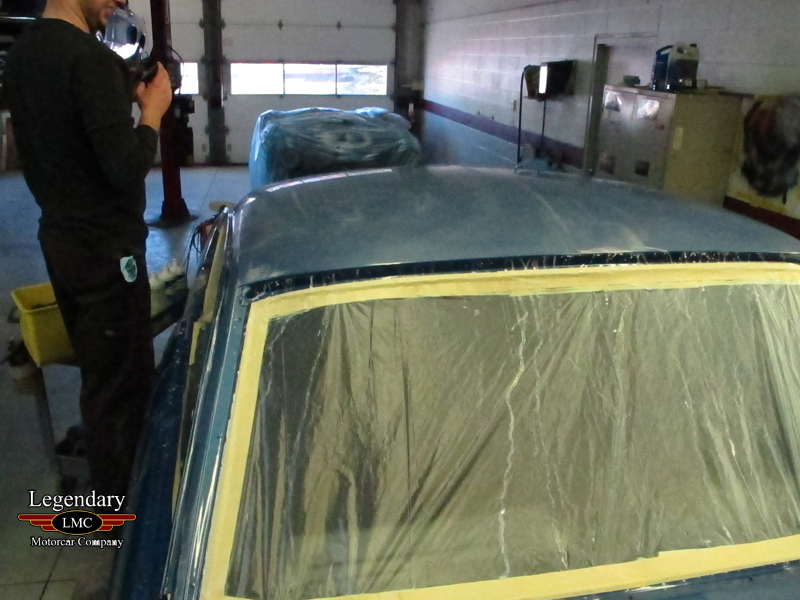 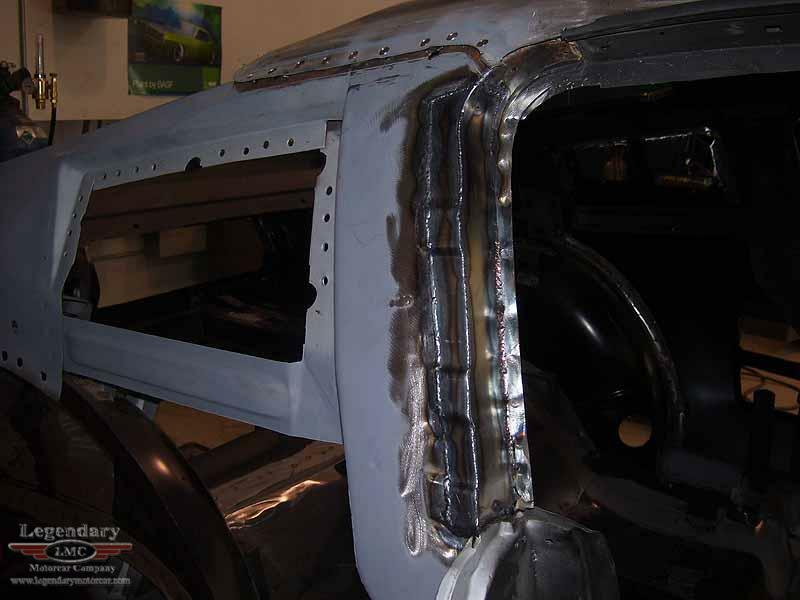 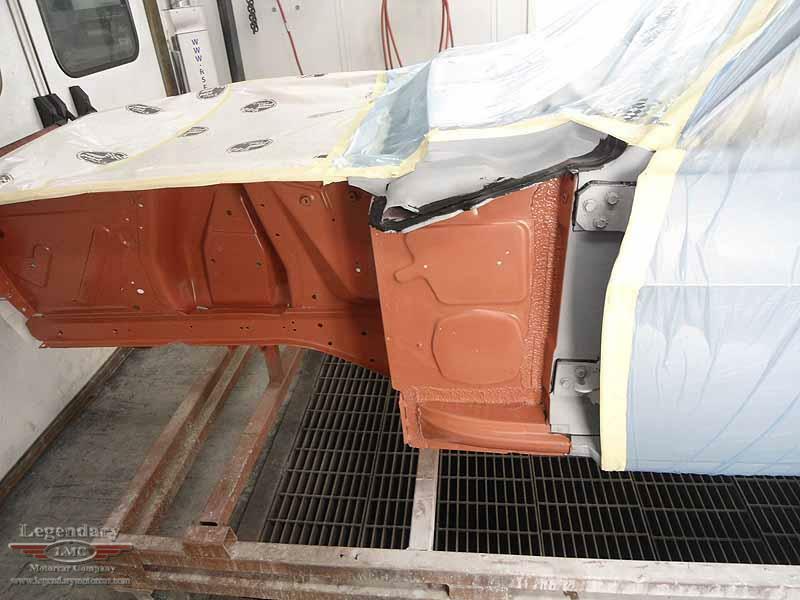 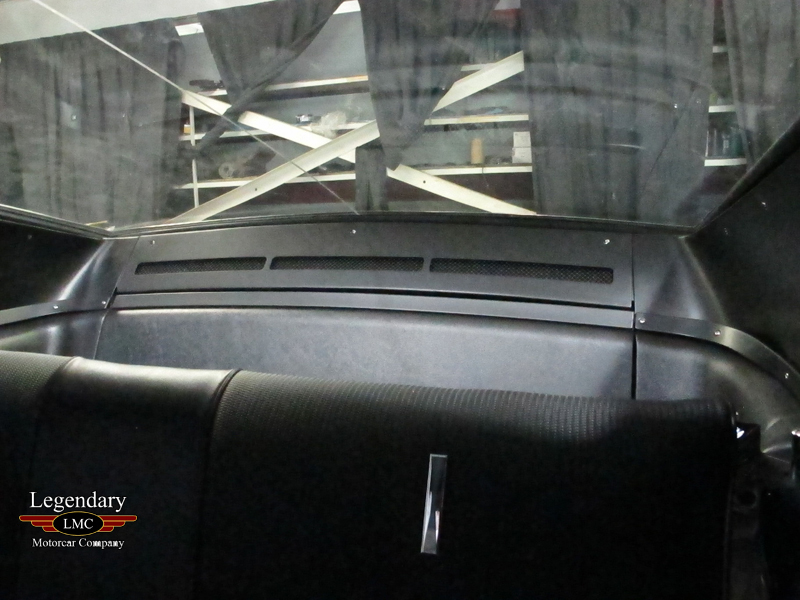 And so began a challenging yet very interesting restoration of this very special Shelby GT500. 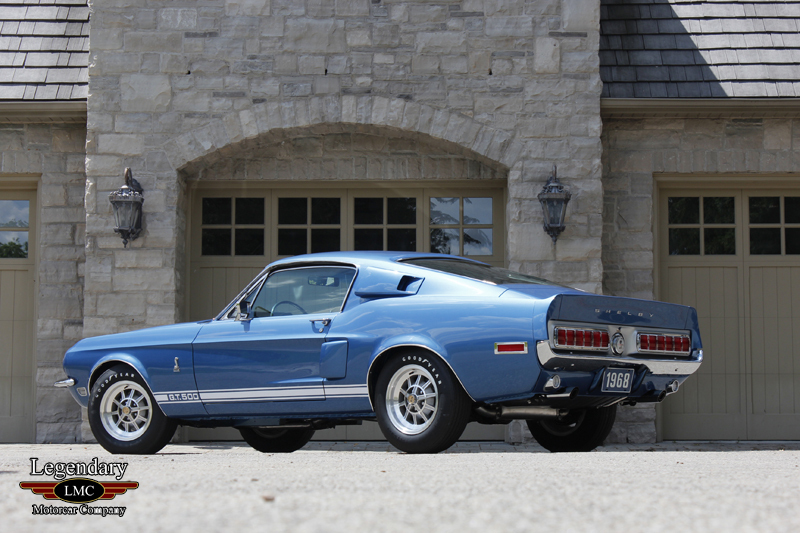 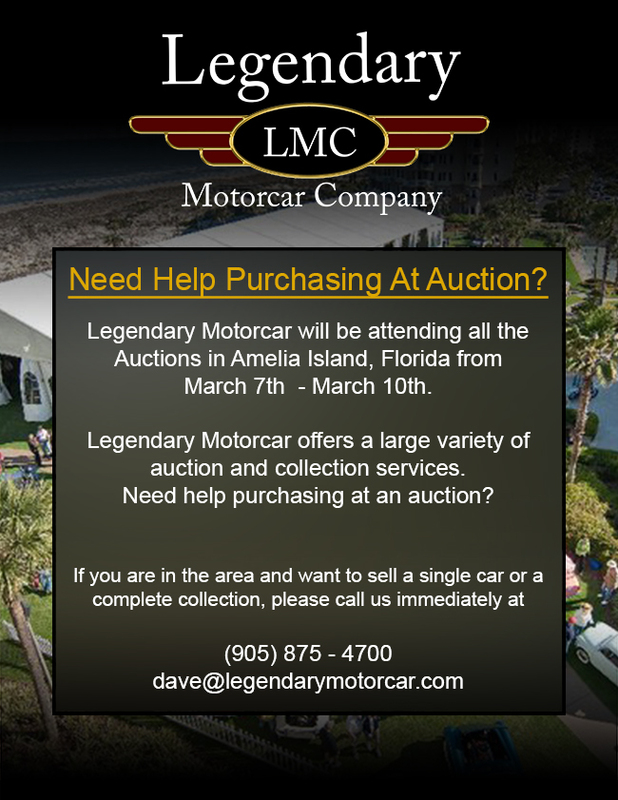 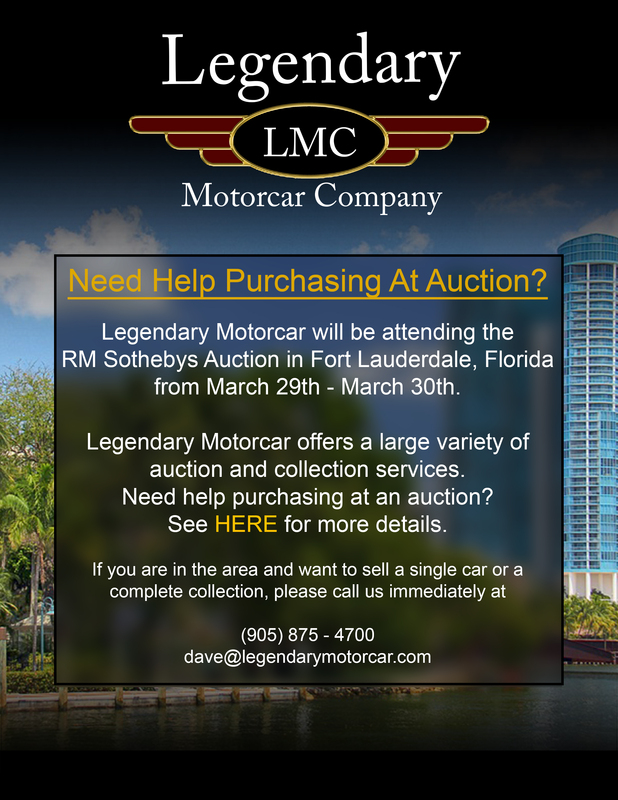 Legendary-Motorcar-Company-Ltd-2012-125 Ford 1968 Ford Mustang Shelby GT500 Prototype 2012-125 0 Legendary Motorcar Company Ltd.